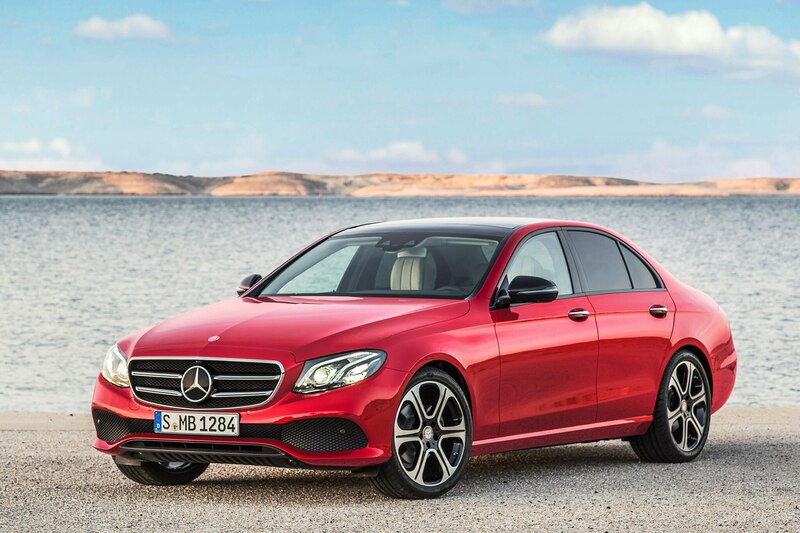 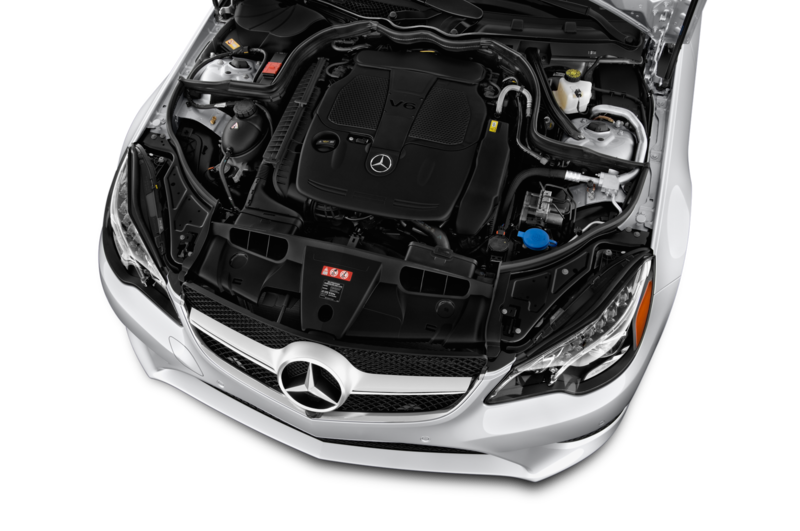 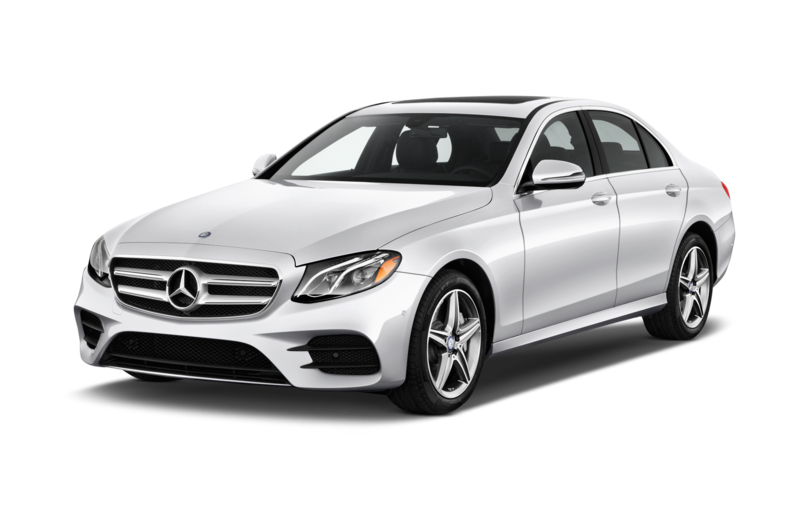 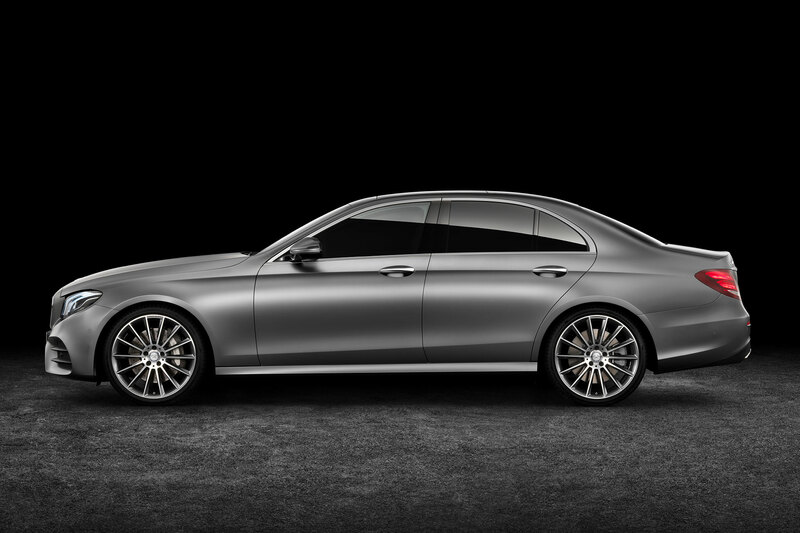 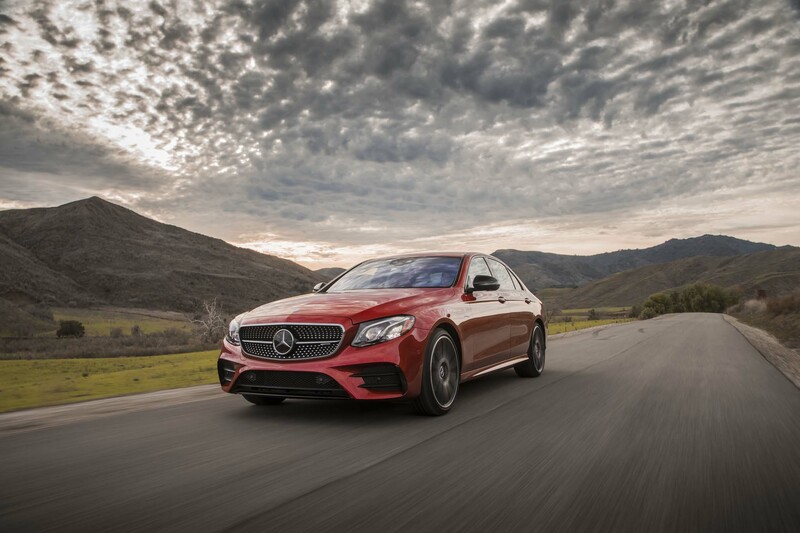 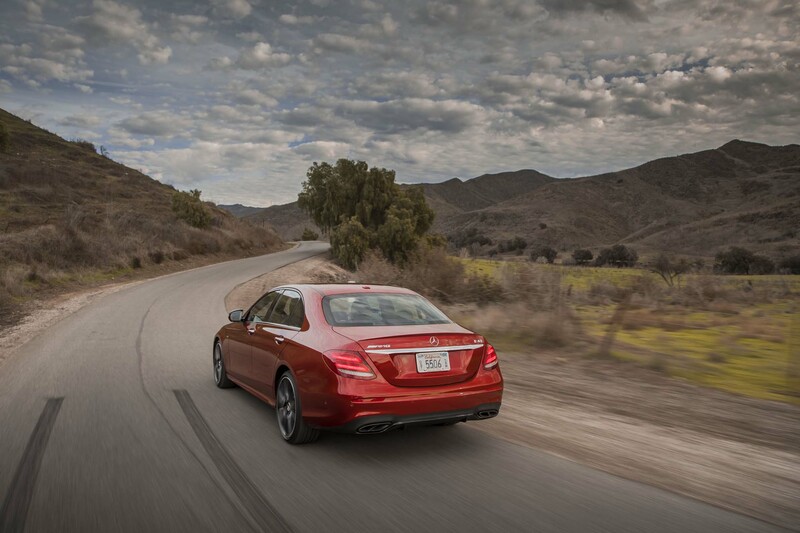 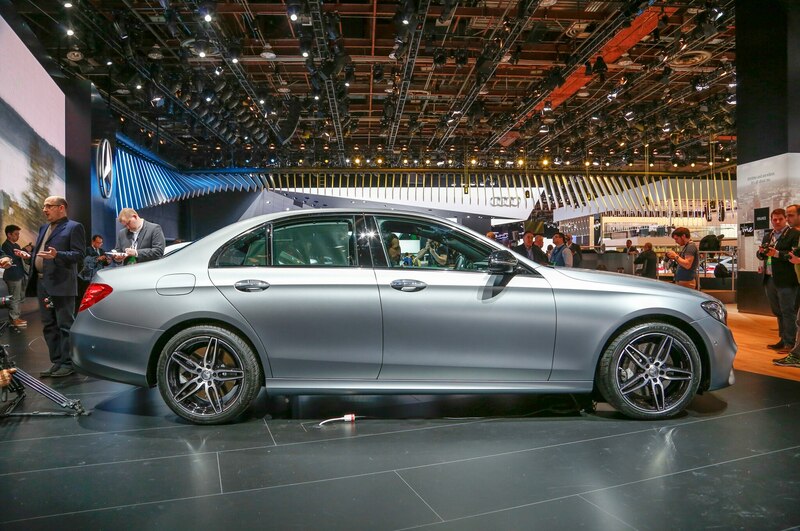 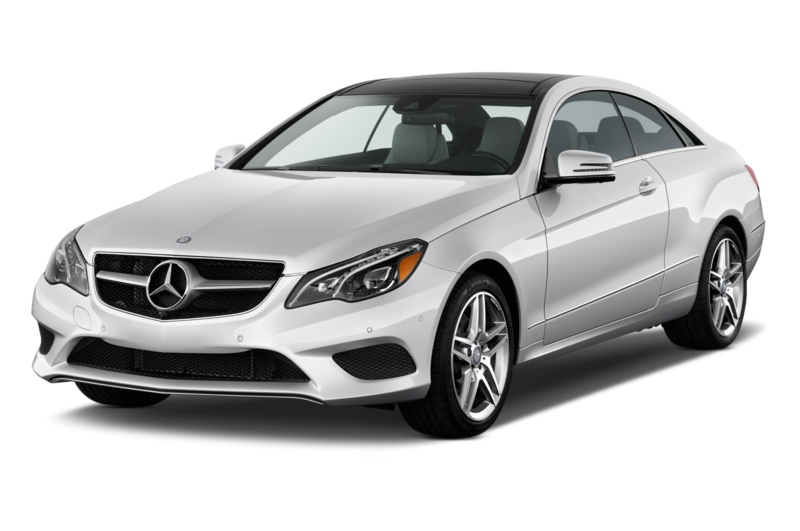 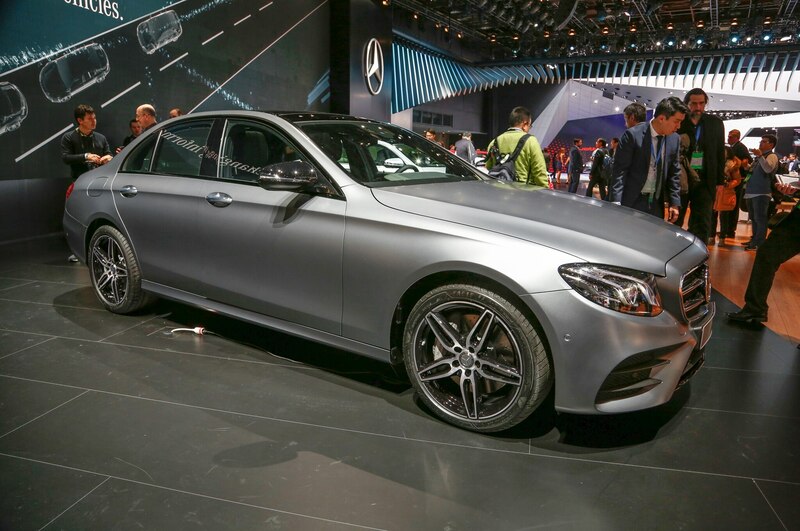 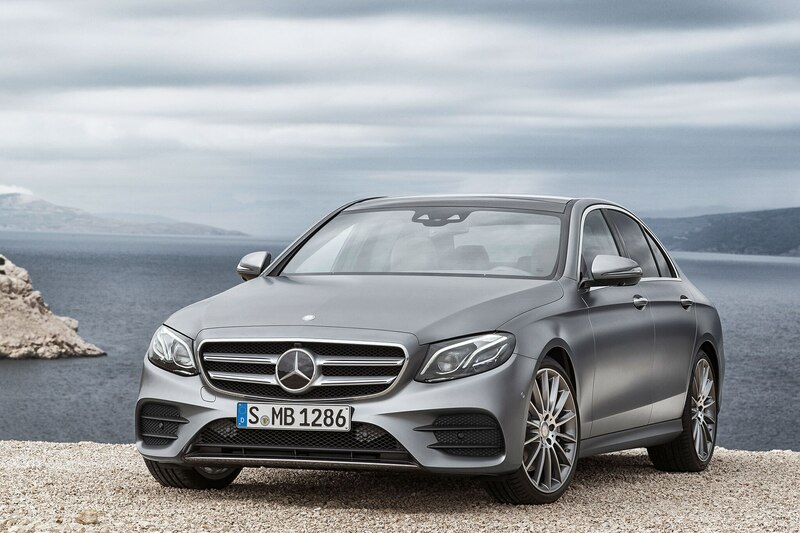 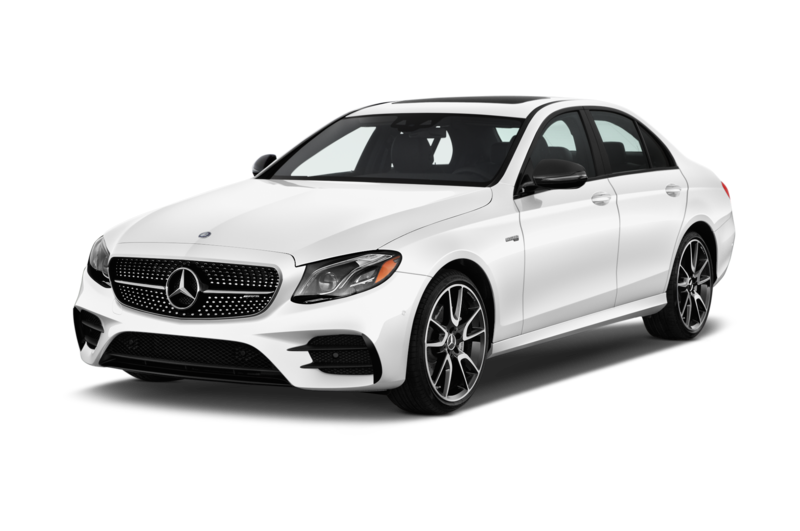 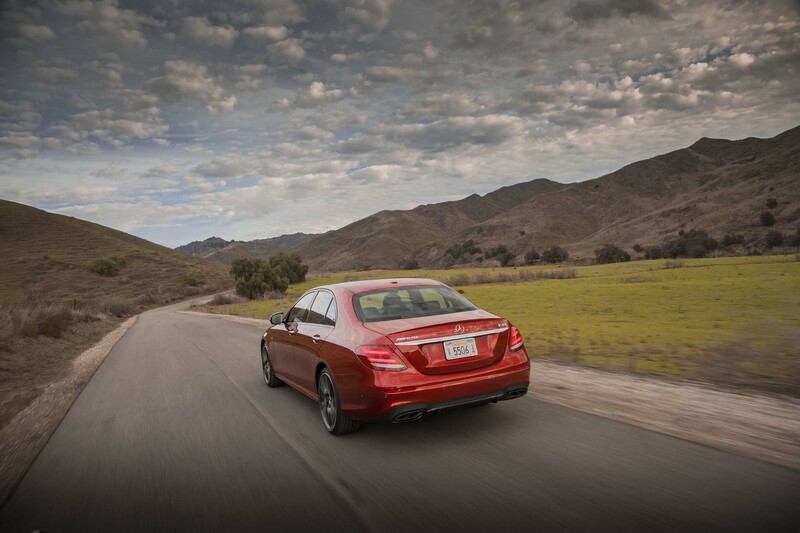 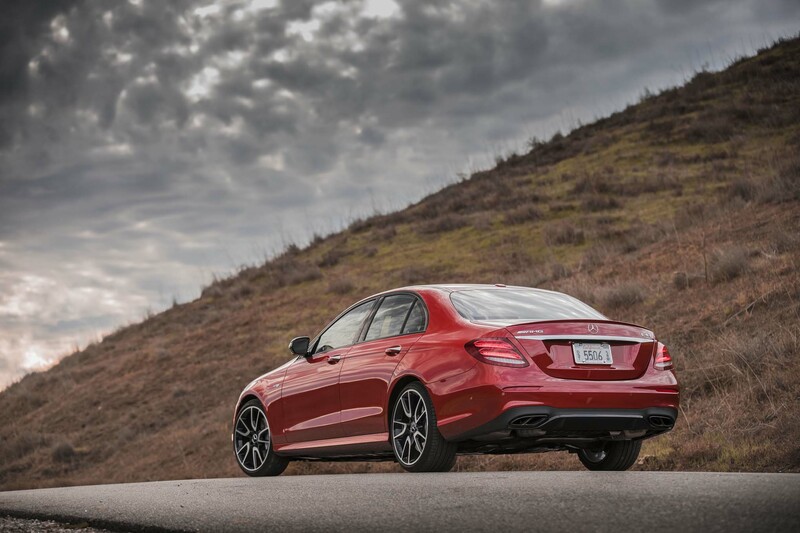 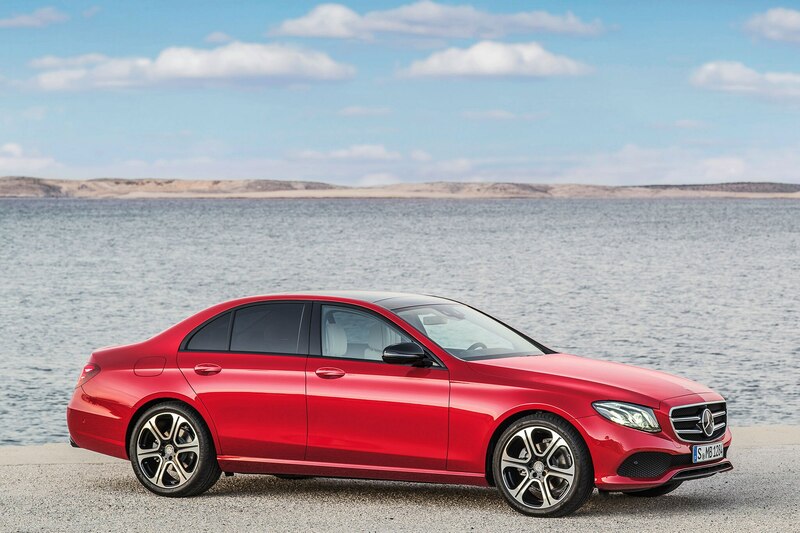 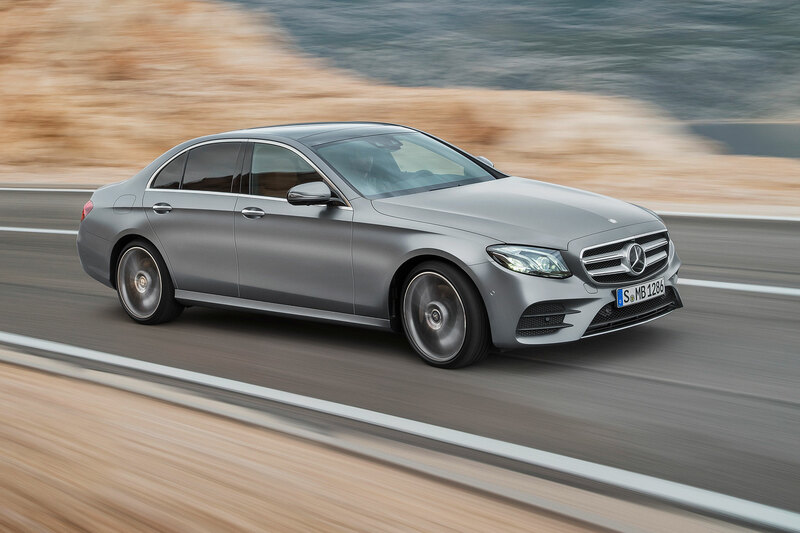 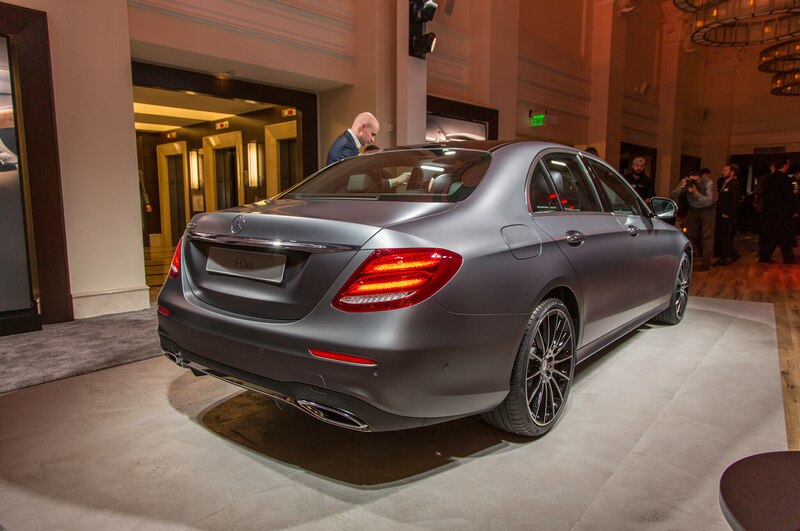 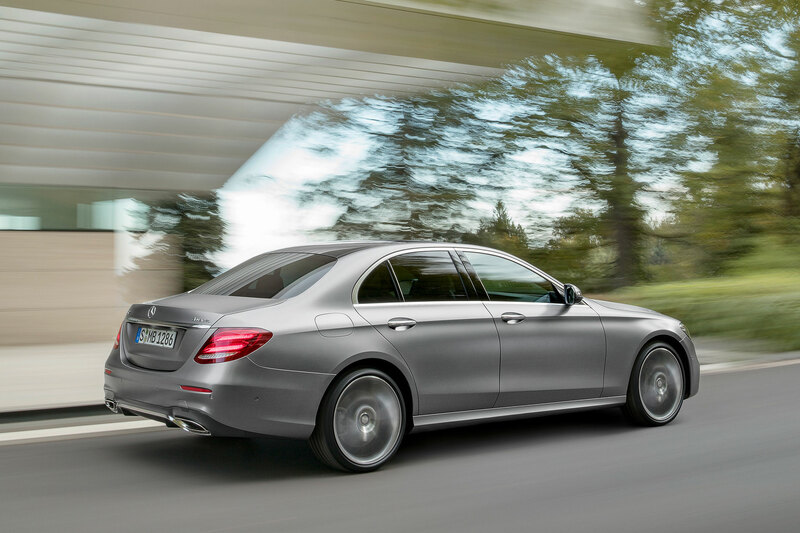 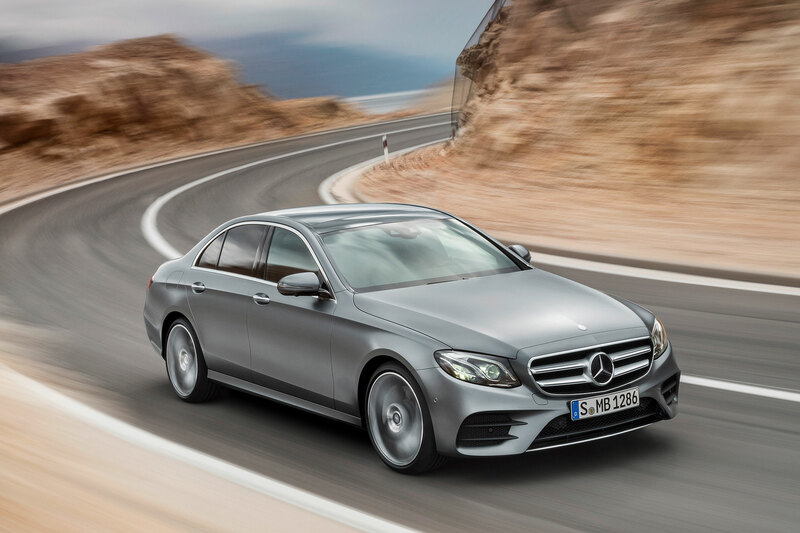 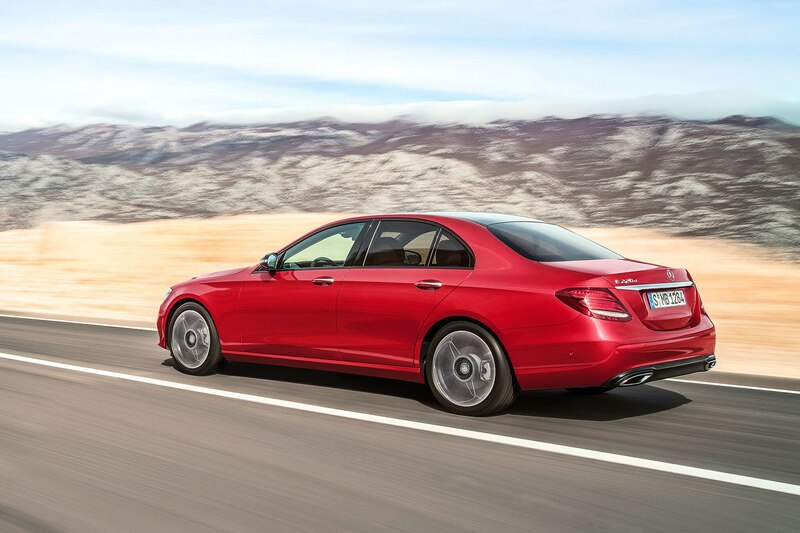 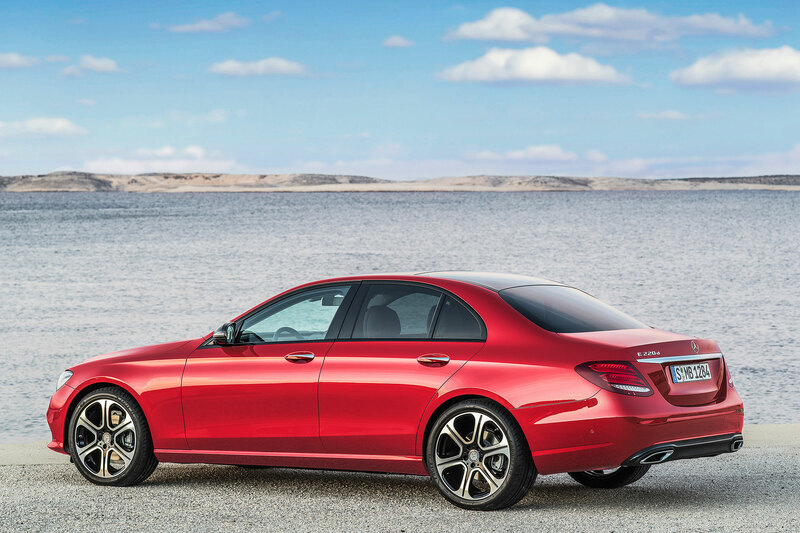 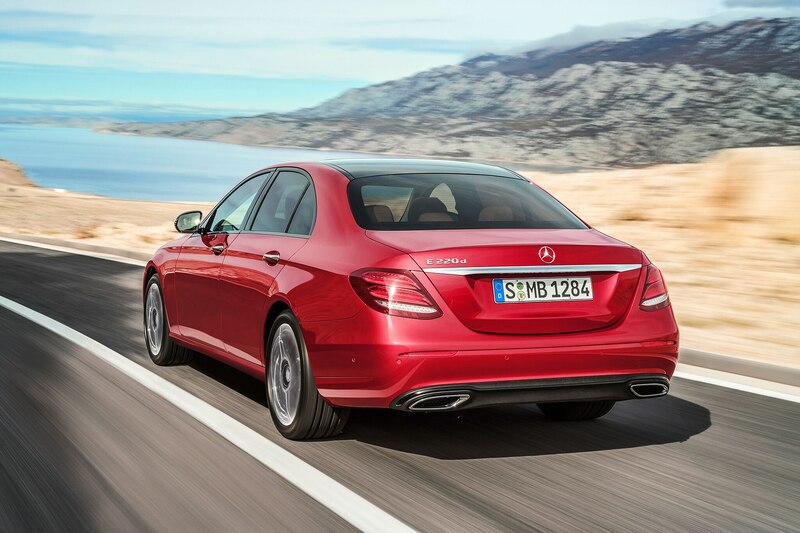 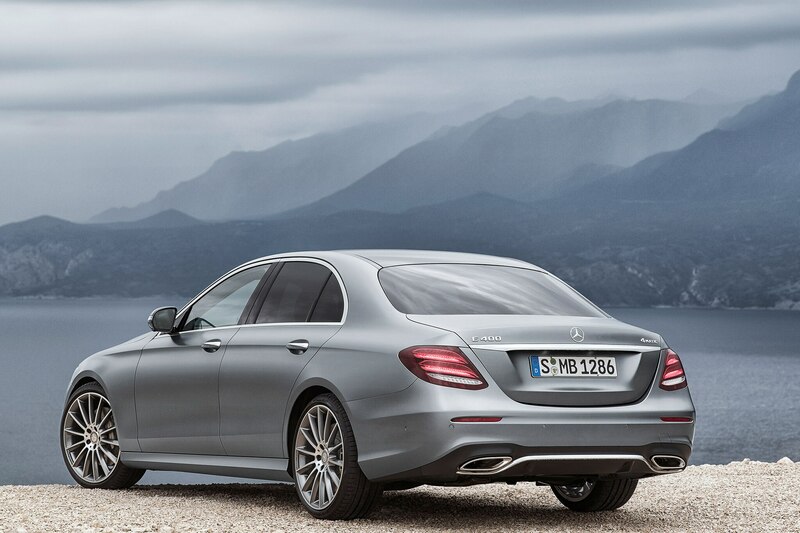 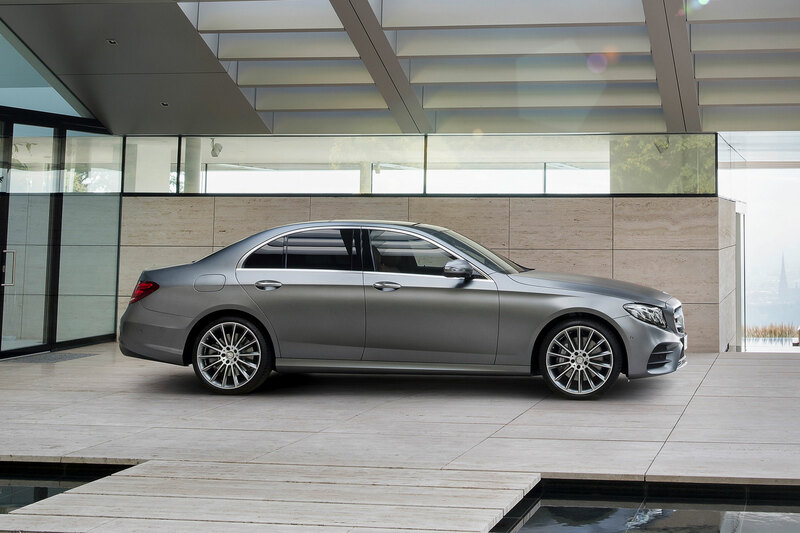 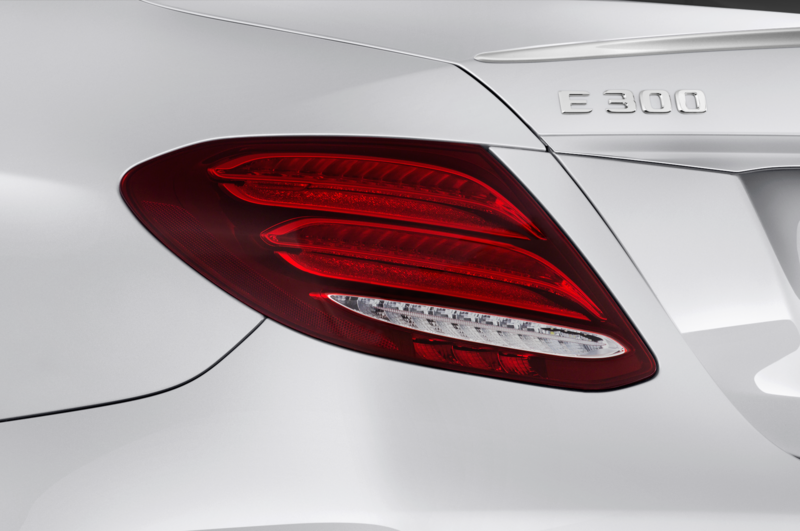 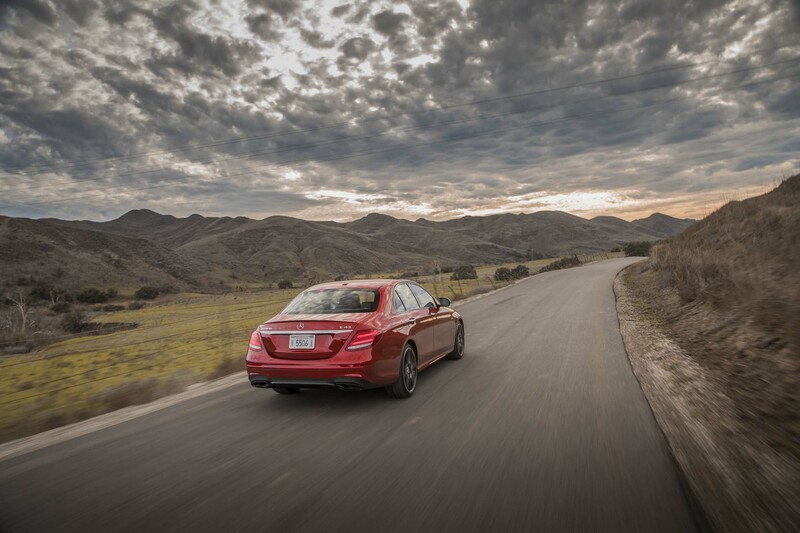 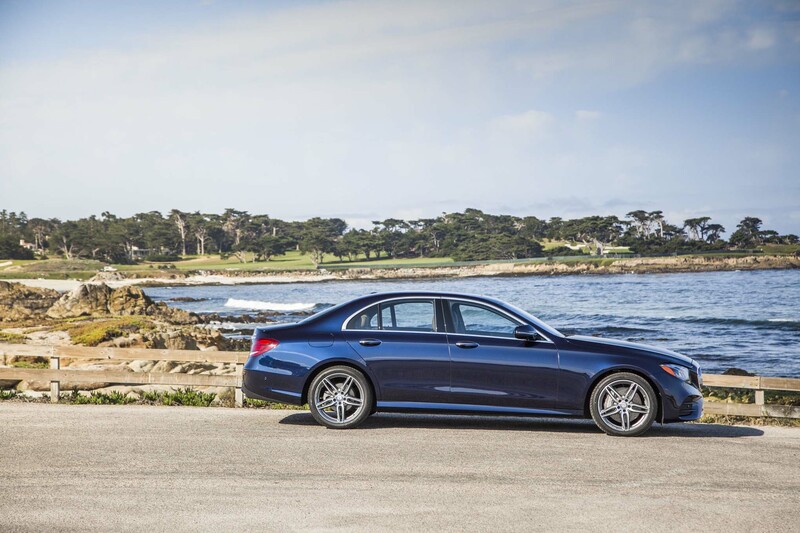 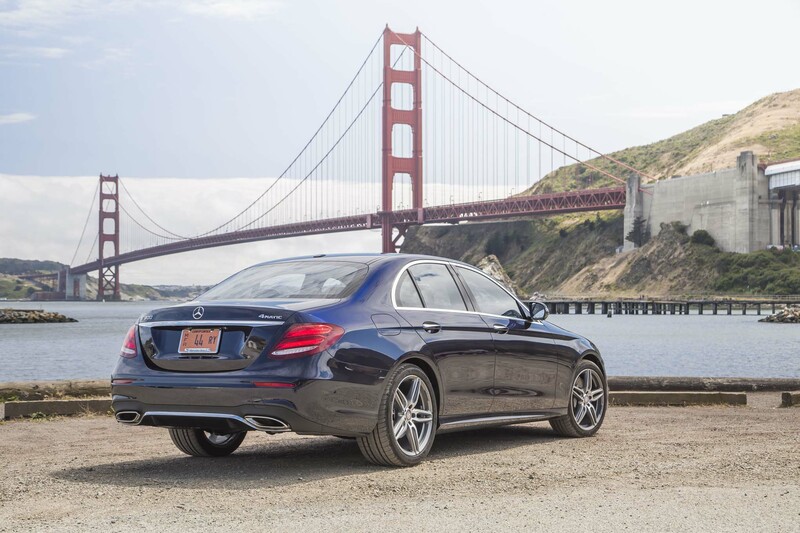 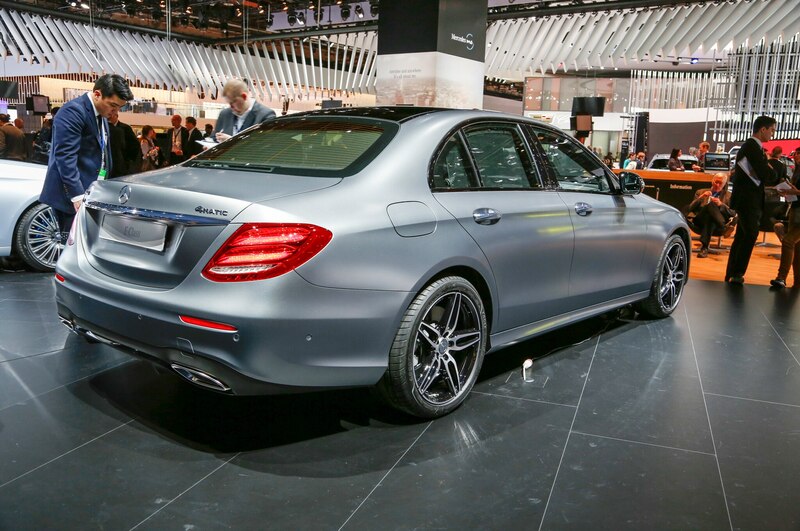 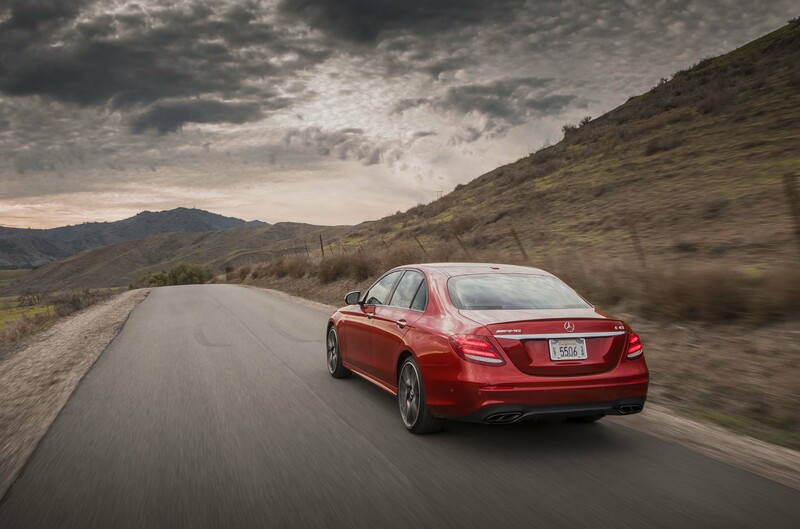 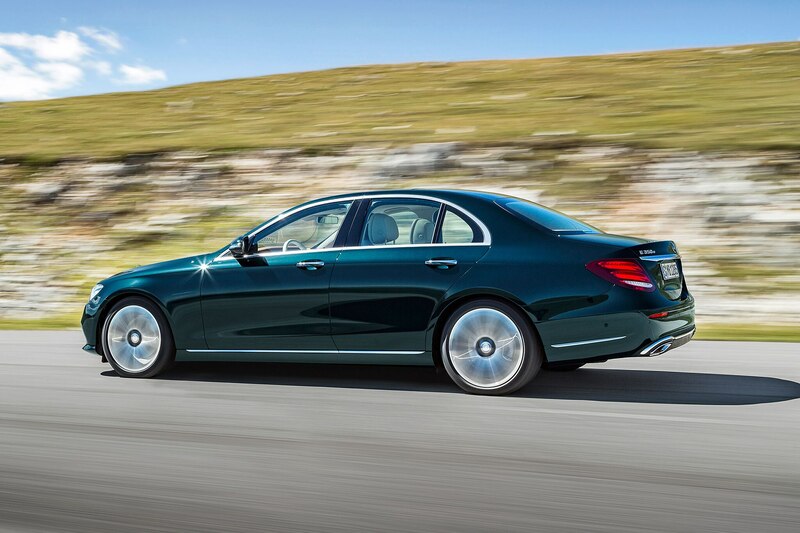 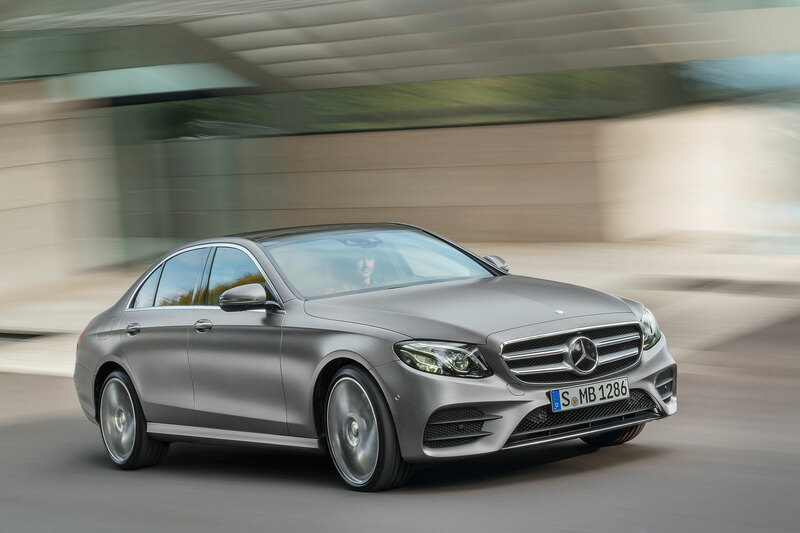 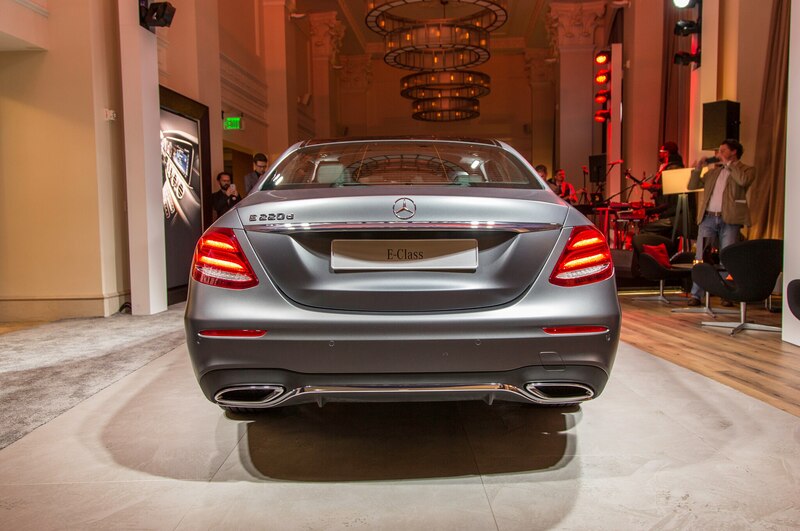 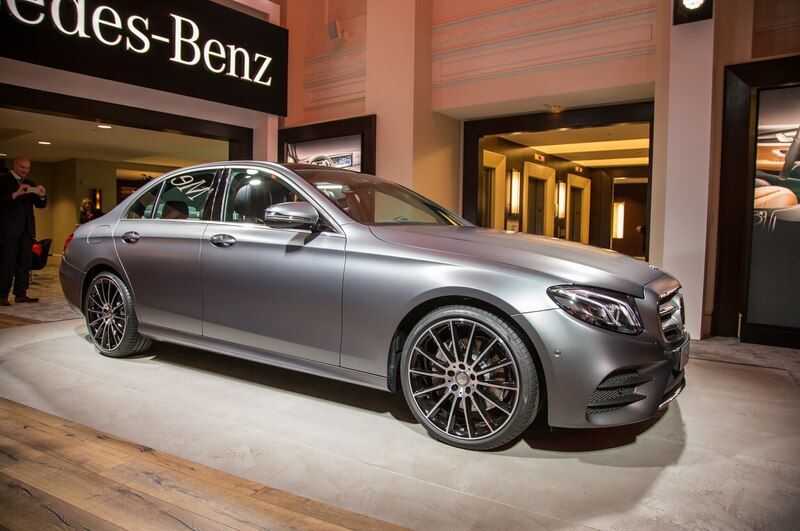 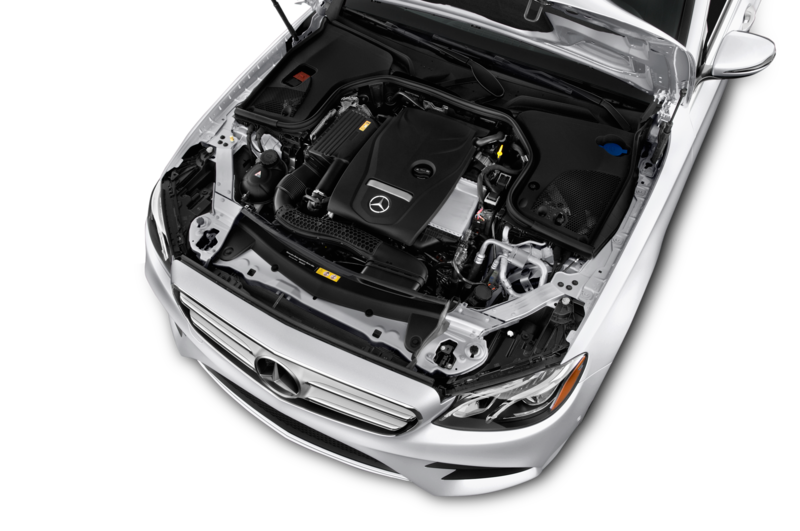 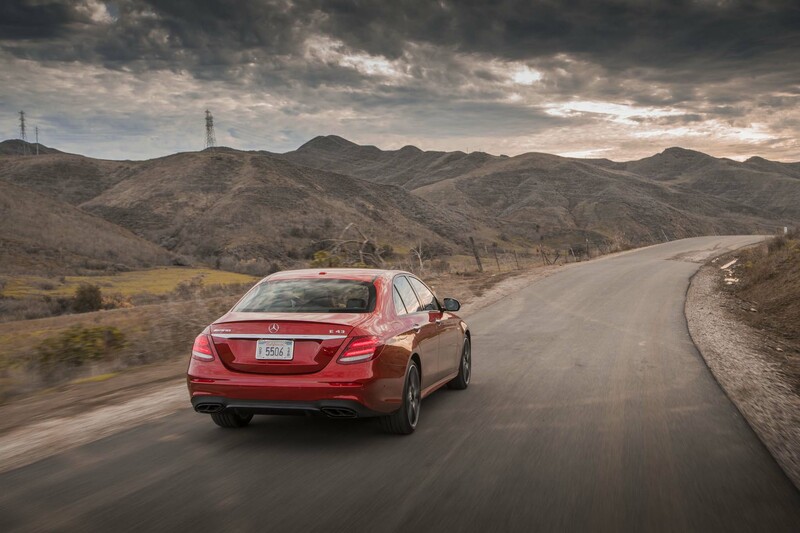 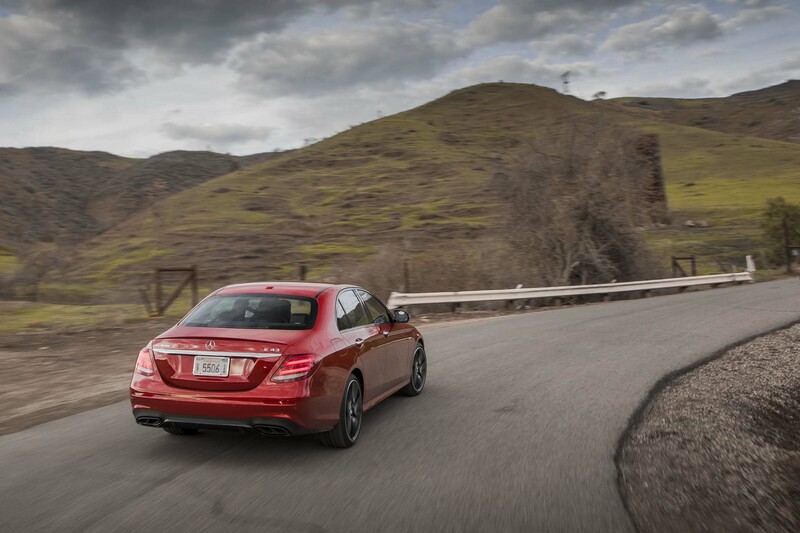 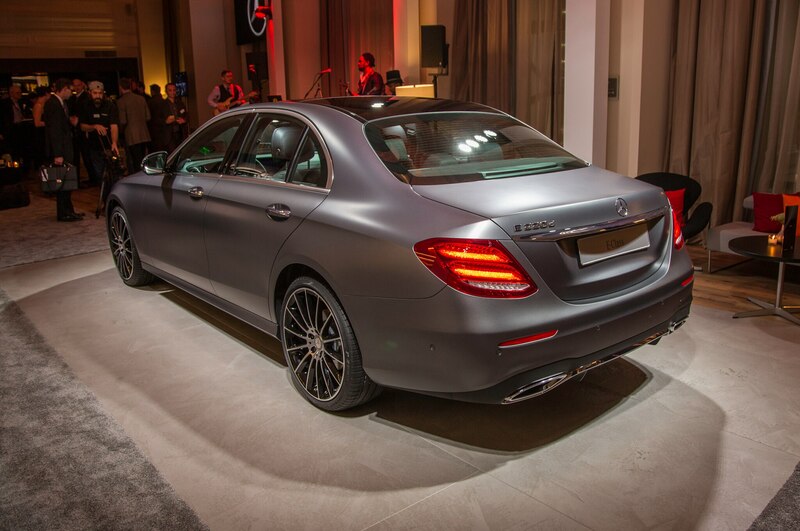 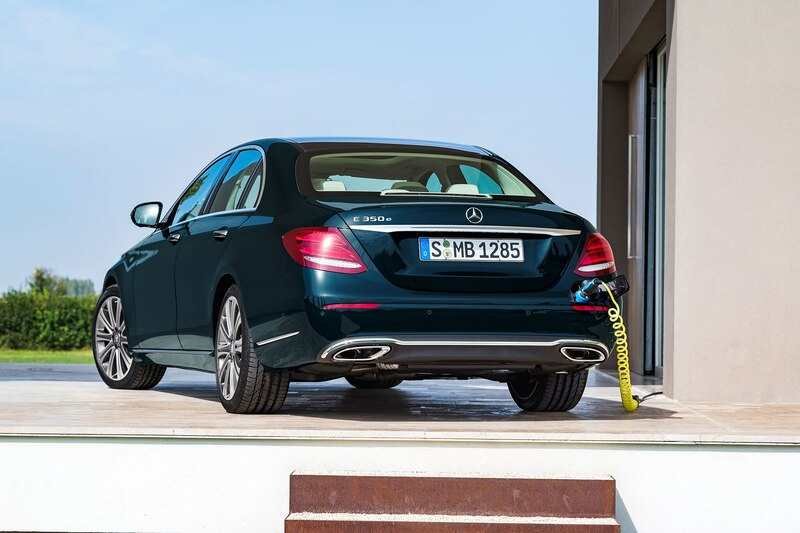 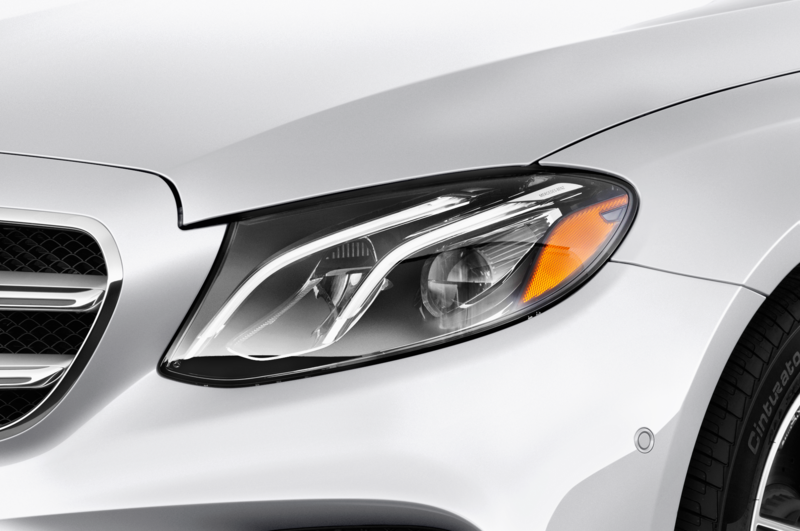 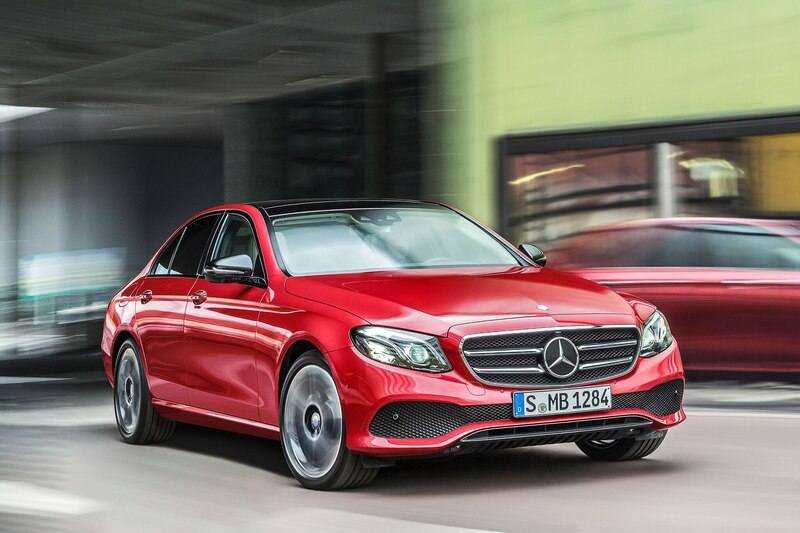 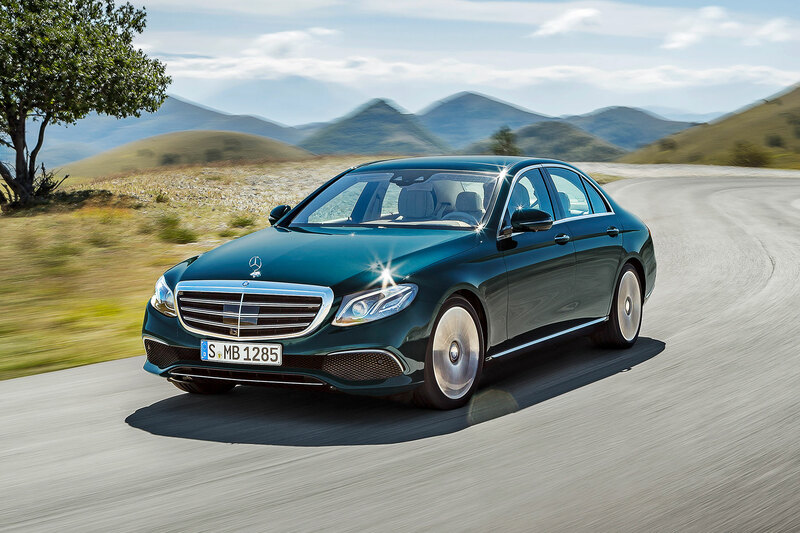 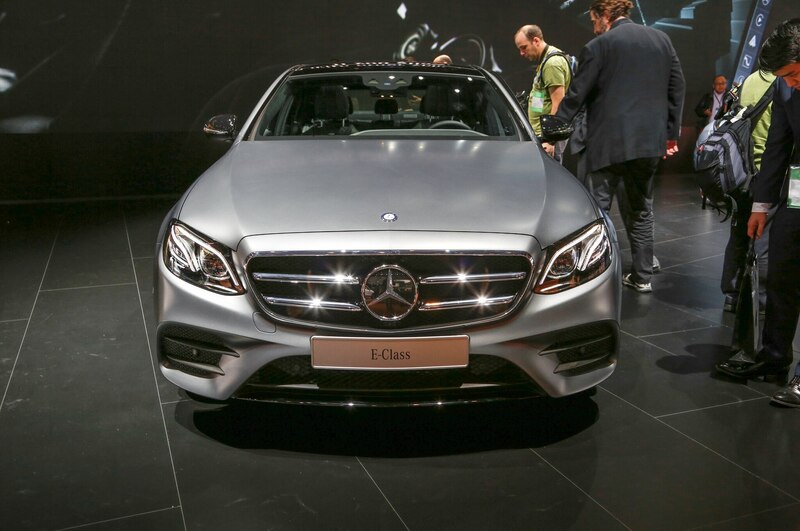 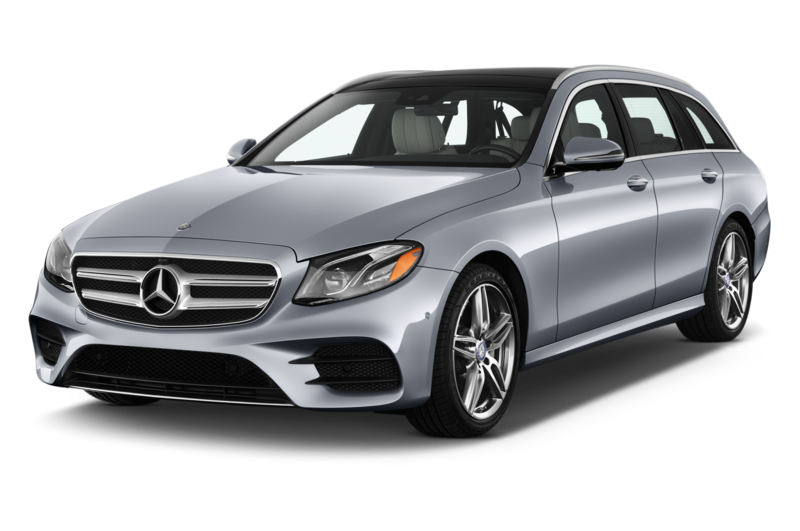 Four-cylinder E300 model comes to the U.S. first. 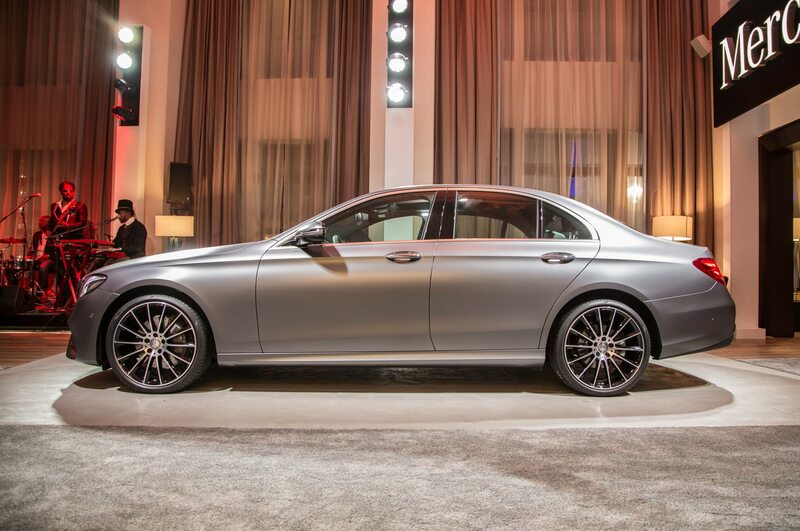 After months of teasers, previews, and technical tidbits, the 2017 Mercedes-Benz E-Class is finally making its world debut at the Detroit auto show. 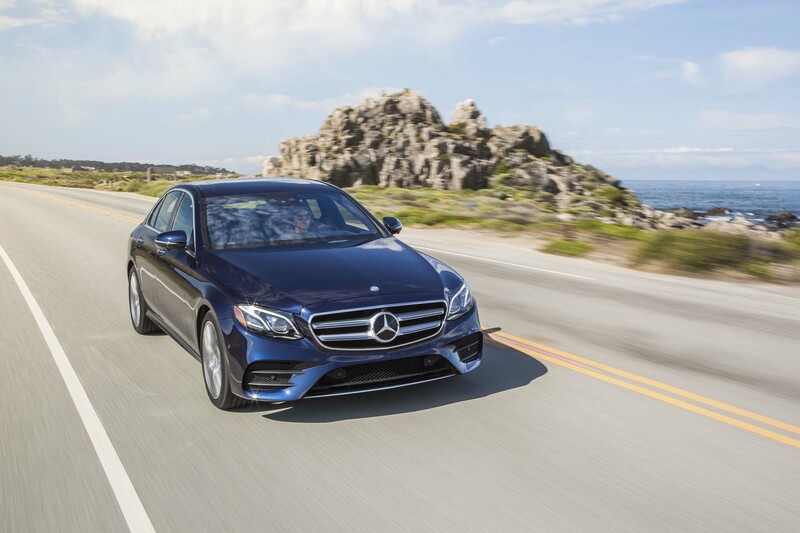 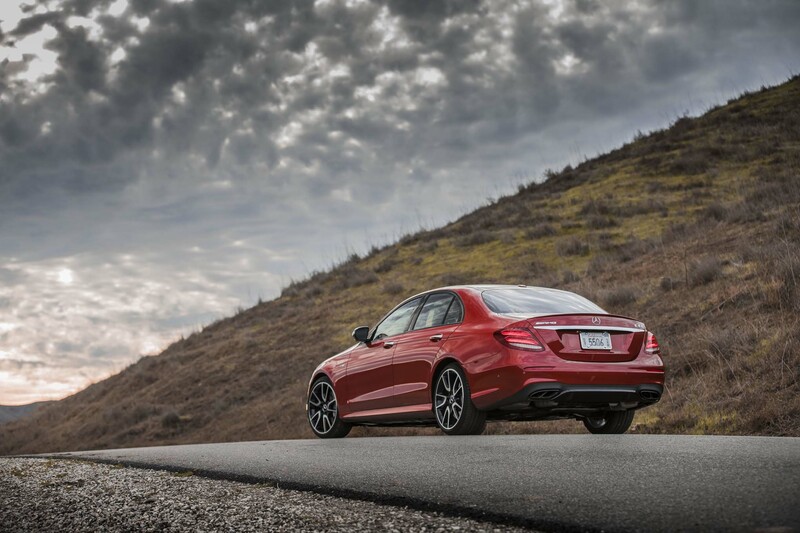 The new midsize luxury sedan, which is packed with novel technology features, will initially go on sale this summer in the U.S. as a four-cylinder E300 model before other variants join the lineup later on. 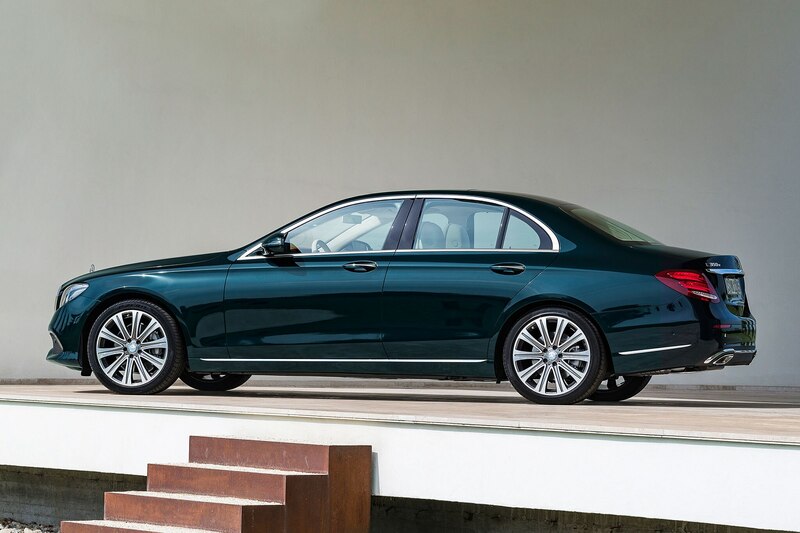 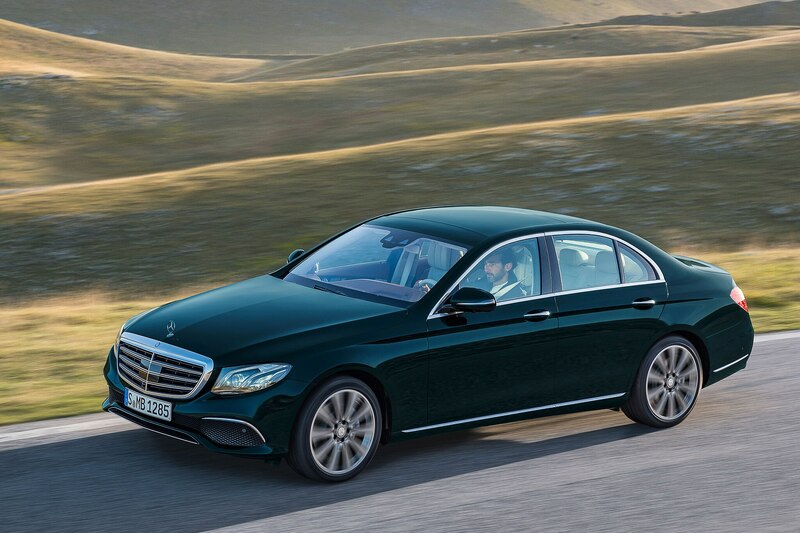 The sleek, rounded styling of the new, W213-generation E-Class doesn’t come as too much of a surprise given earlier spy photos and prototype videos, but it nonetheless looks clean and elegant in the flesh. 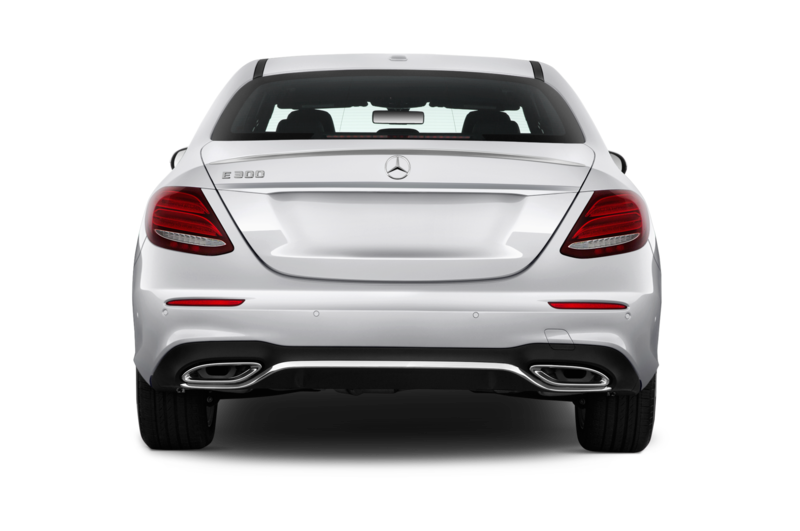 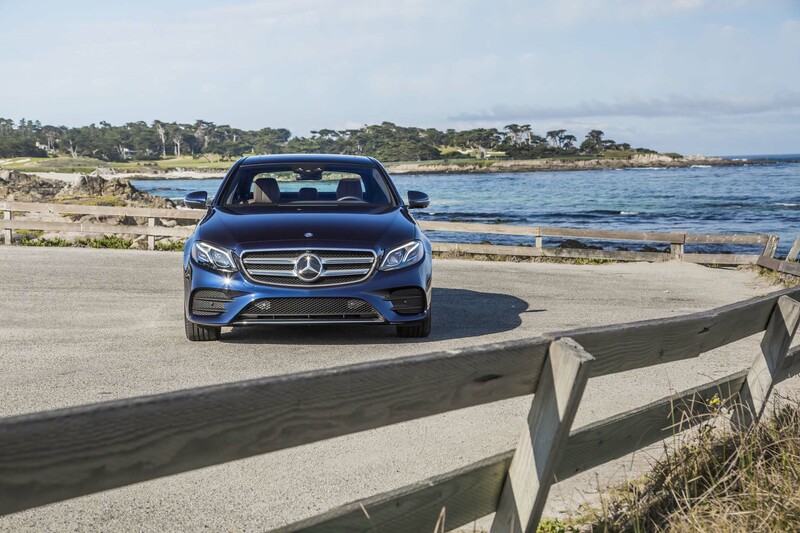 The family resemblance to the C-Class and S-Class sedans is clear, with similarly shaped headlights and taillights, a gently sloping character line, and a rounded greenhouse. 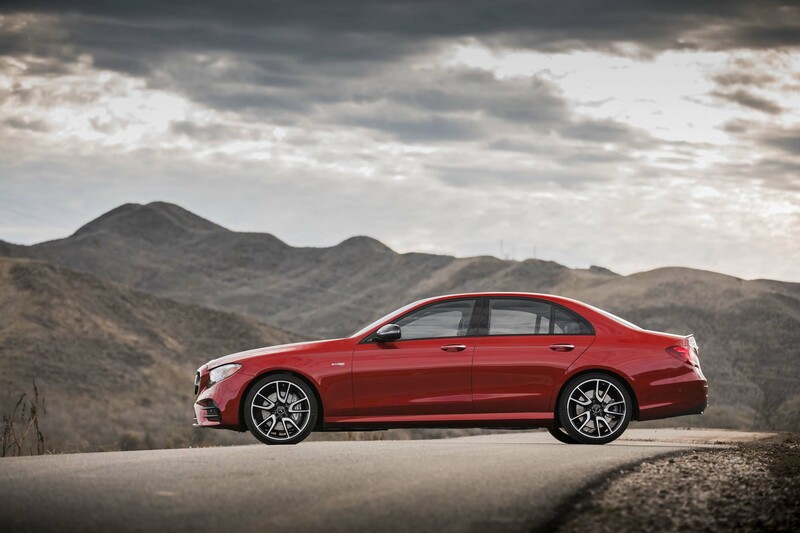 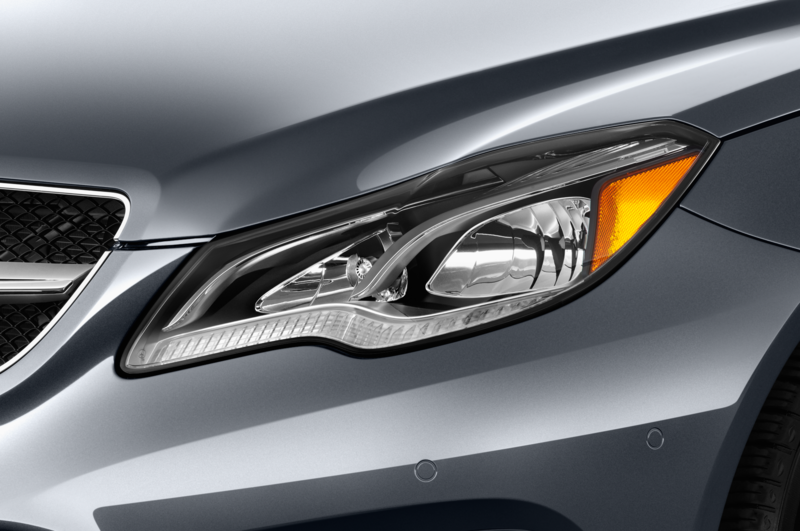 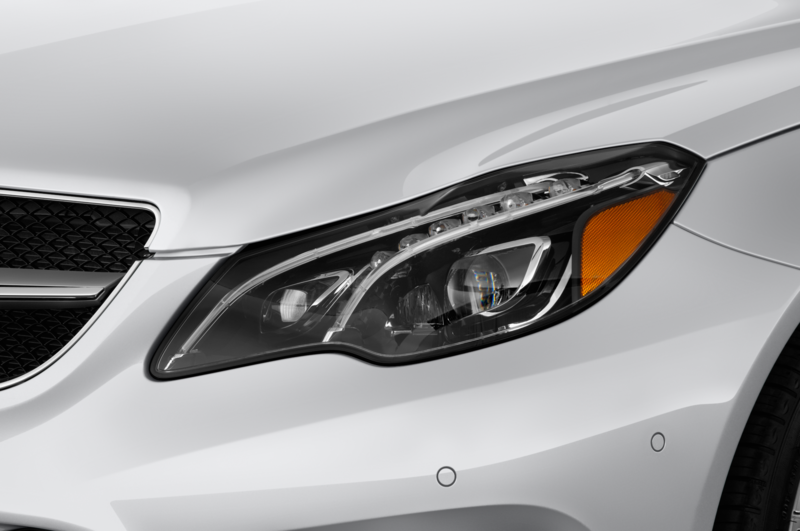 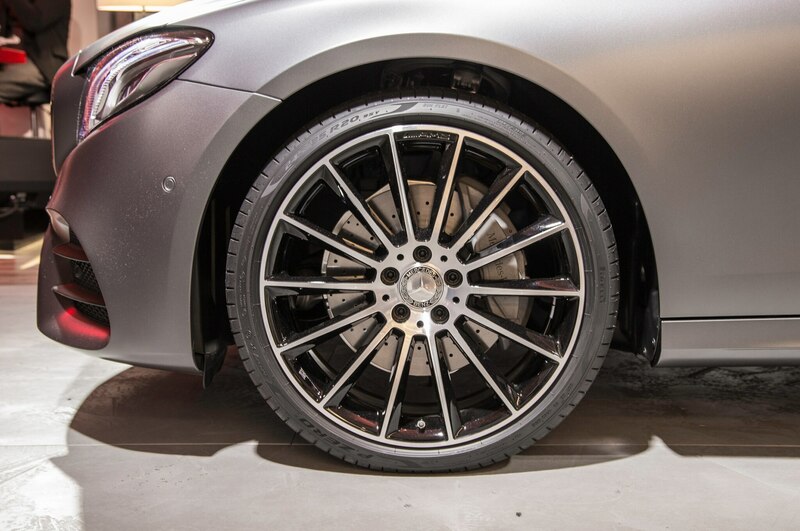 As shown on the different European-spec models pictured here, “Sport” and “Luxury” models will feature different grille and fascia treatments, and both standard steel-spring and air suspension setups will be offered. 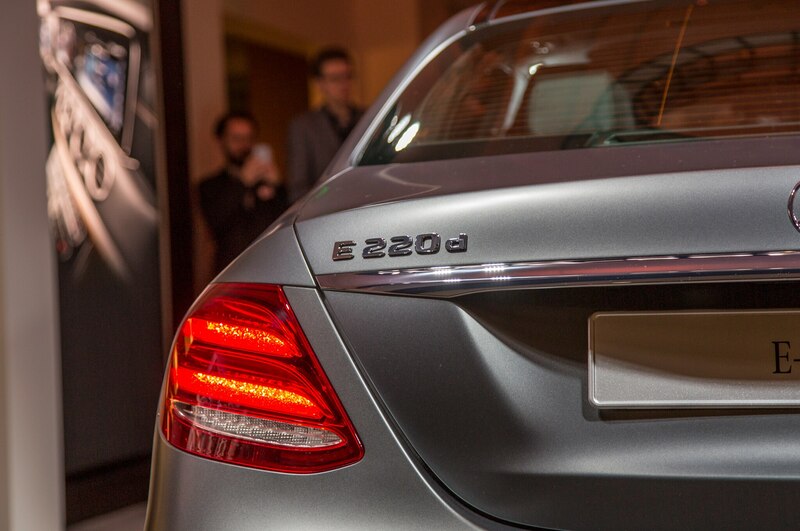 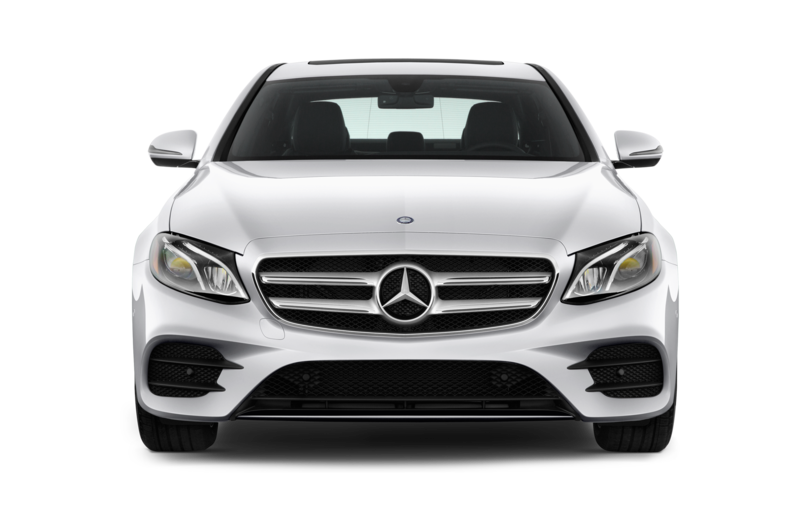 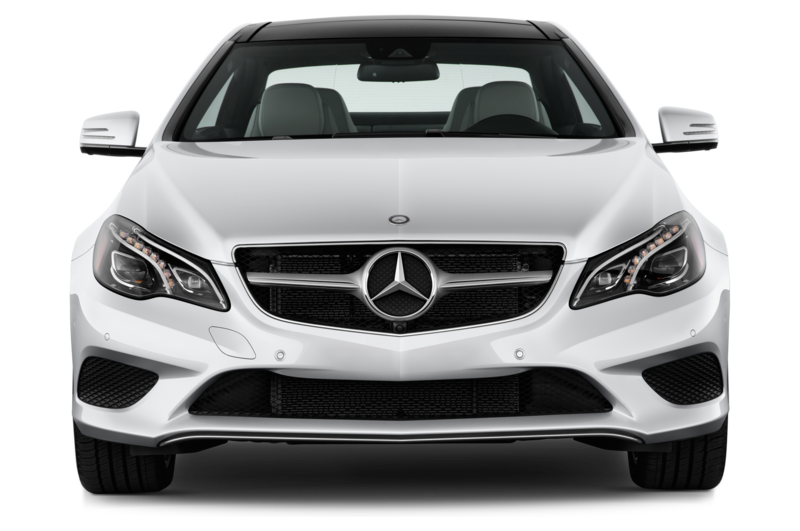 So far Mercedes is only releasing information on the U.S.-market 2017 E300 model, which comes standard with the same 2.0-liter turbo-four engine found in the C-Class. 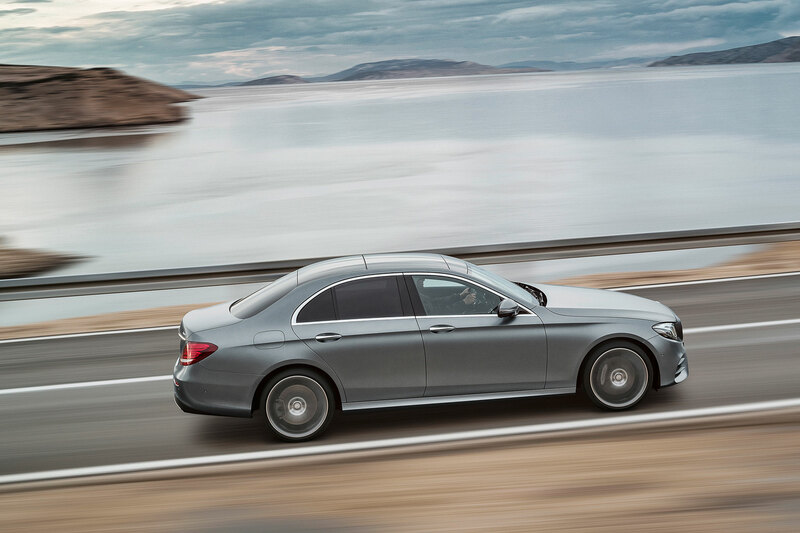 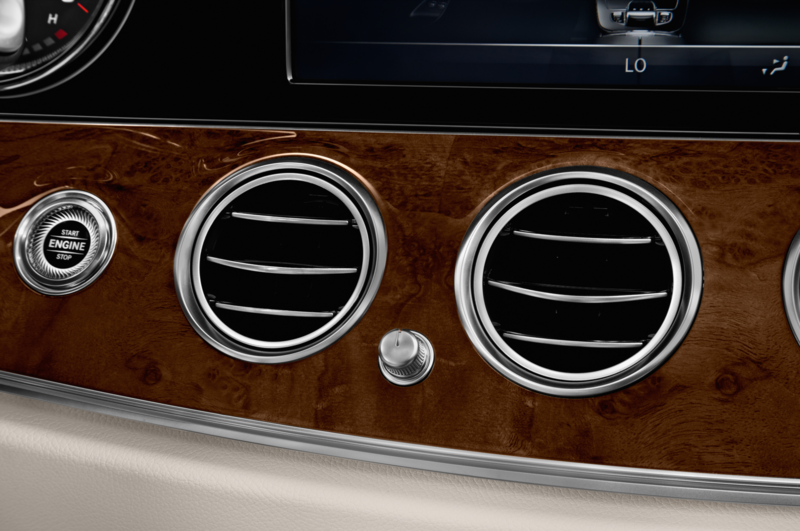 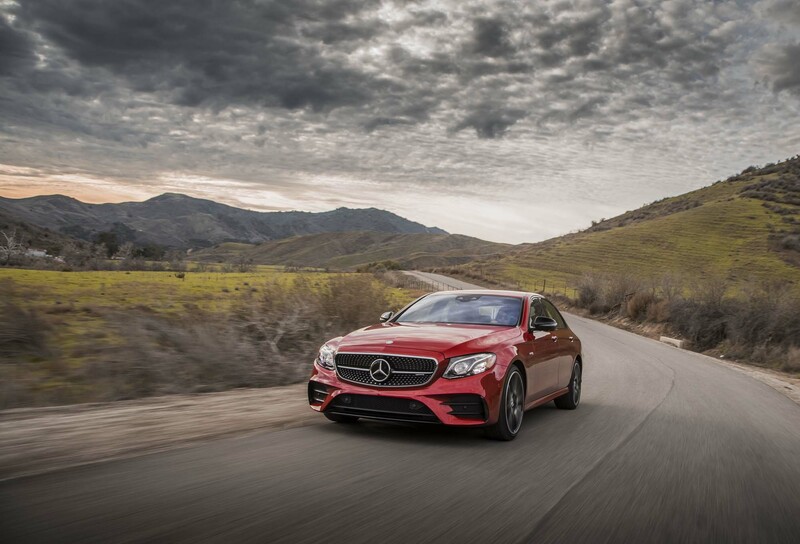 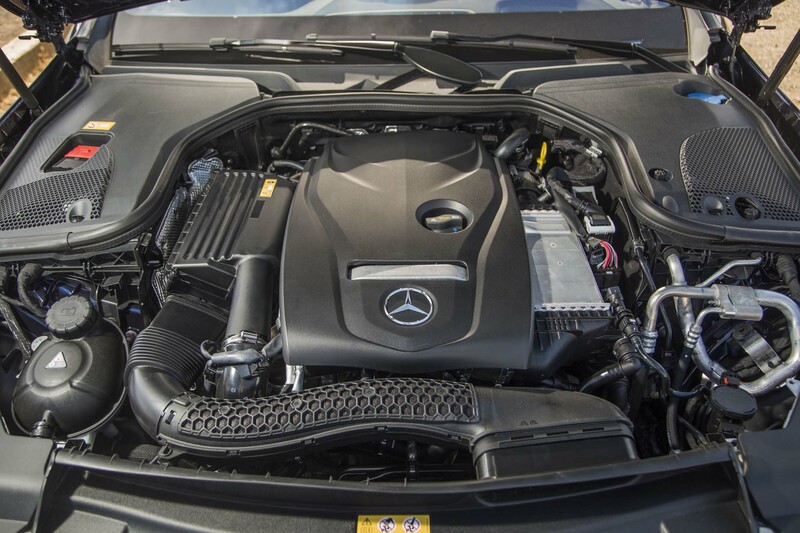 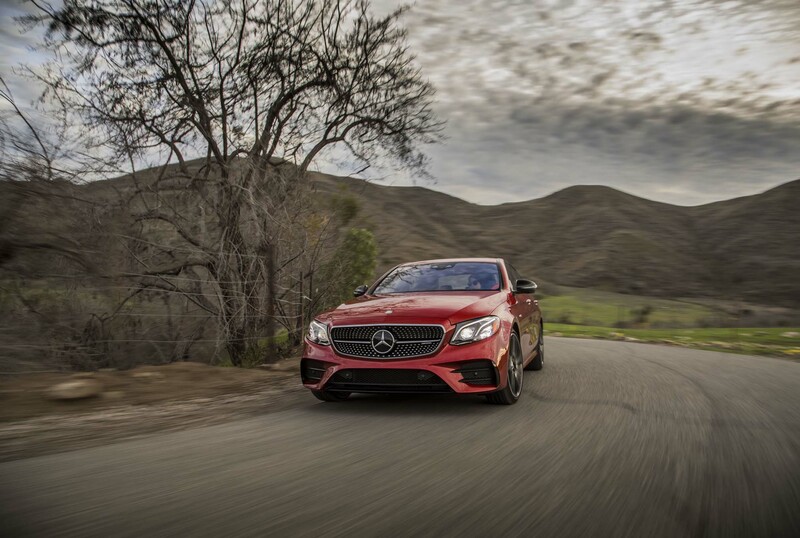 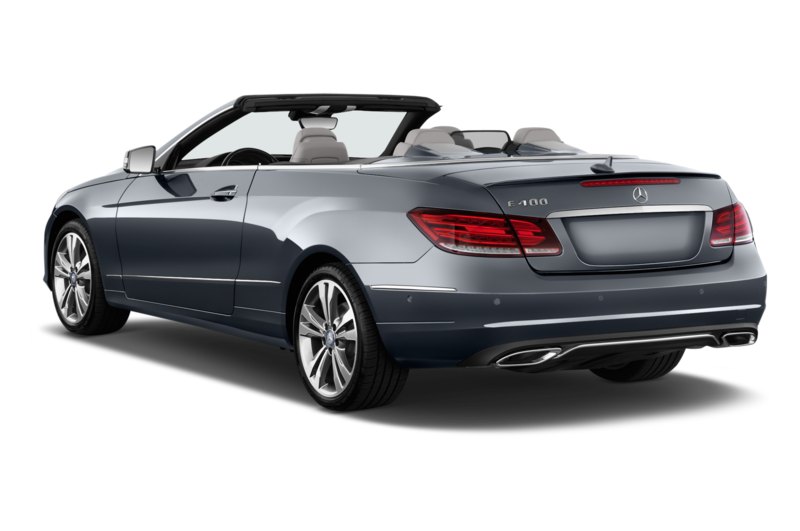 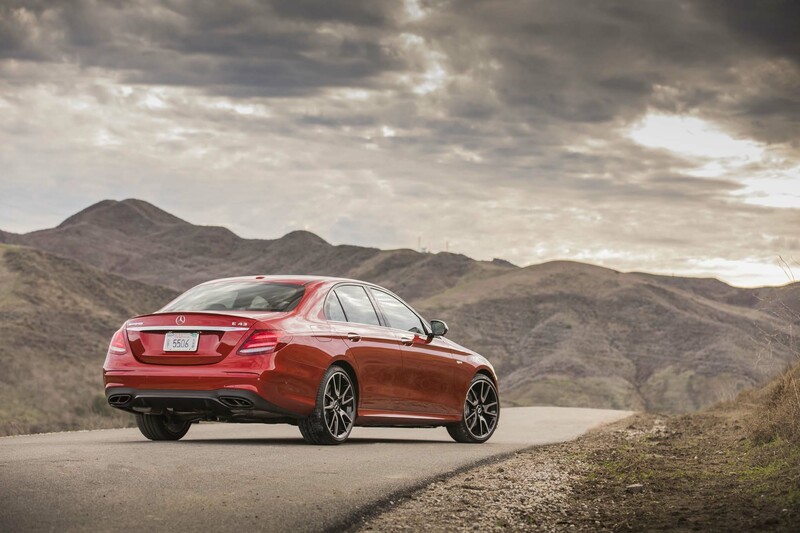 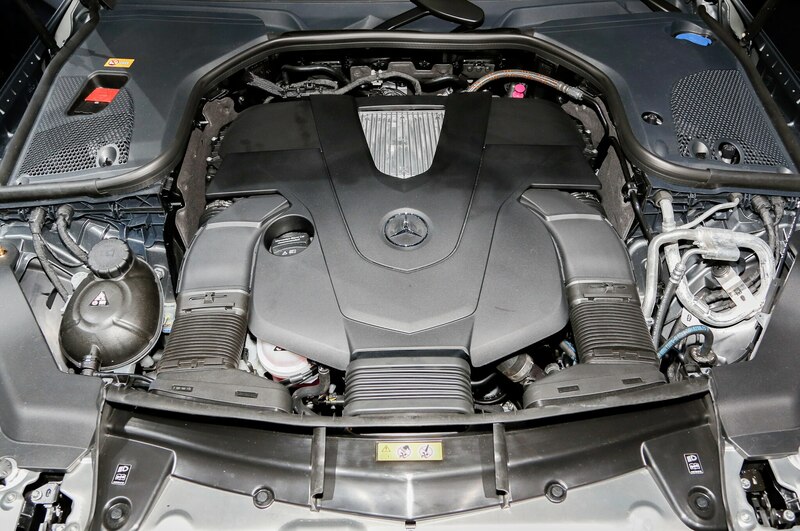 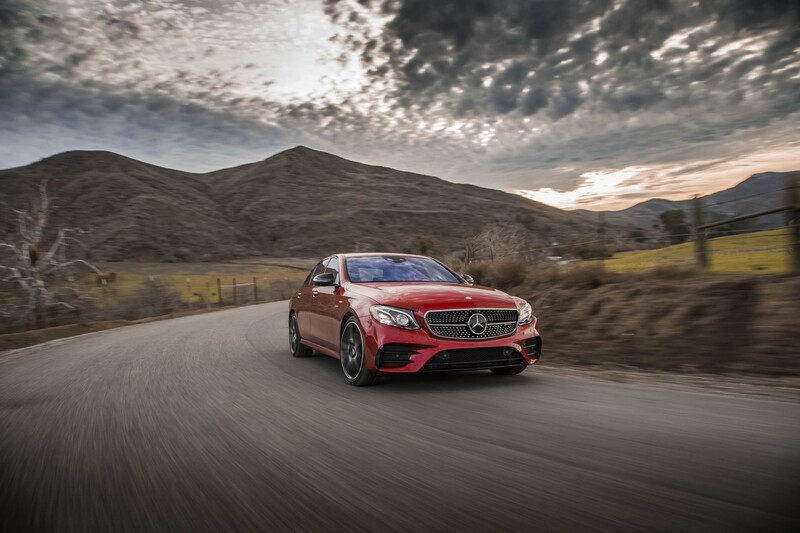 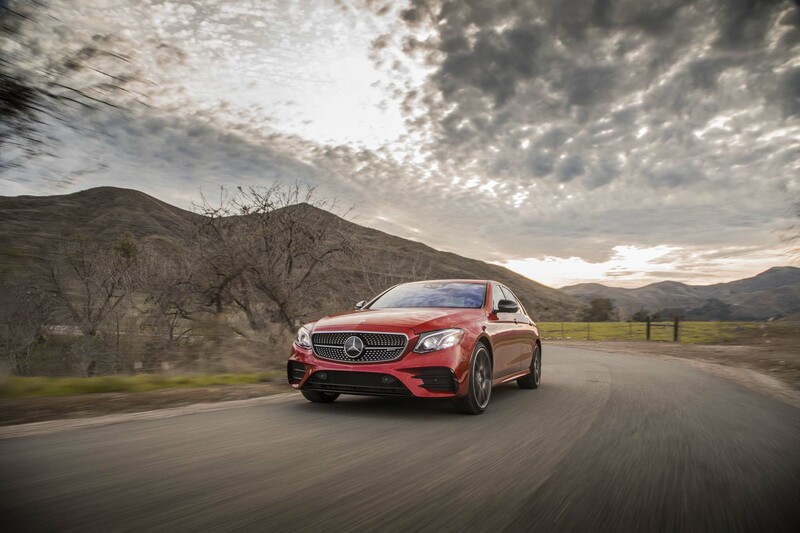 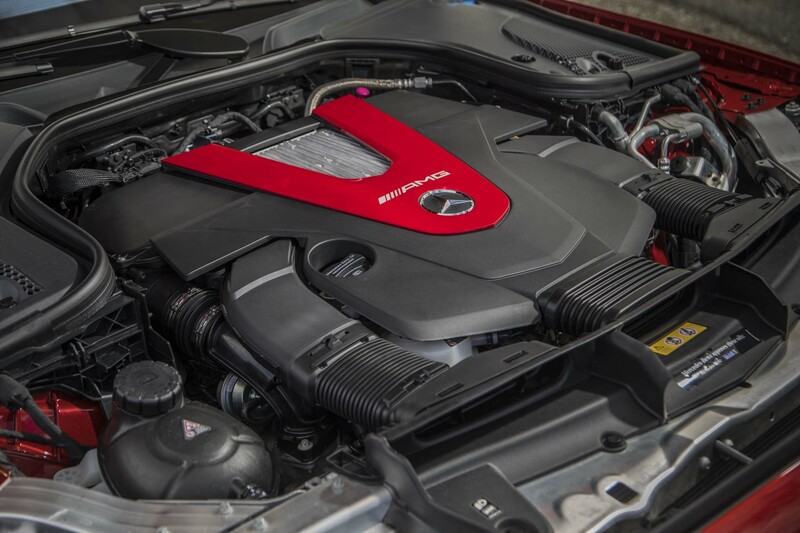 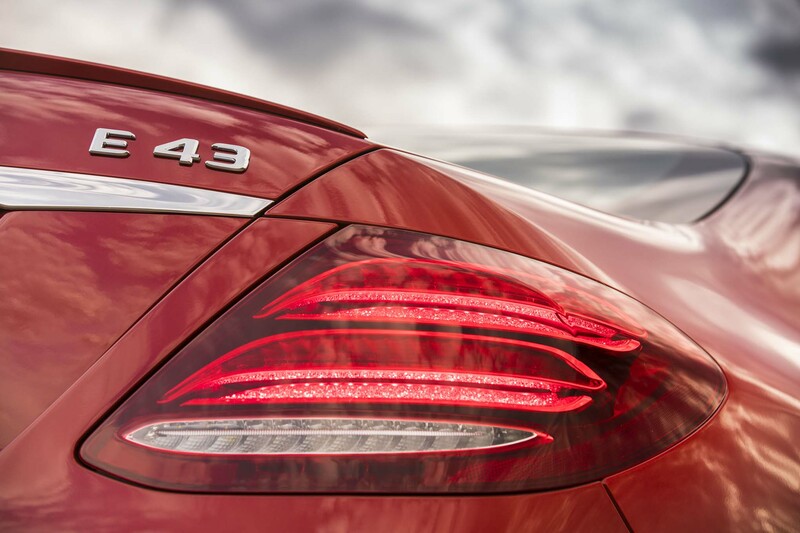 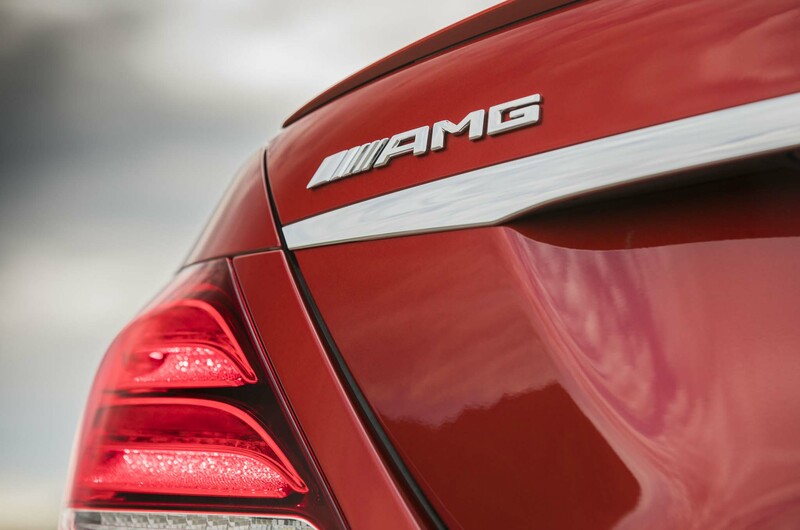 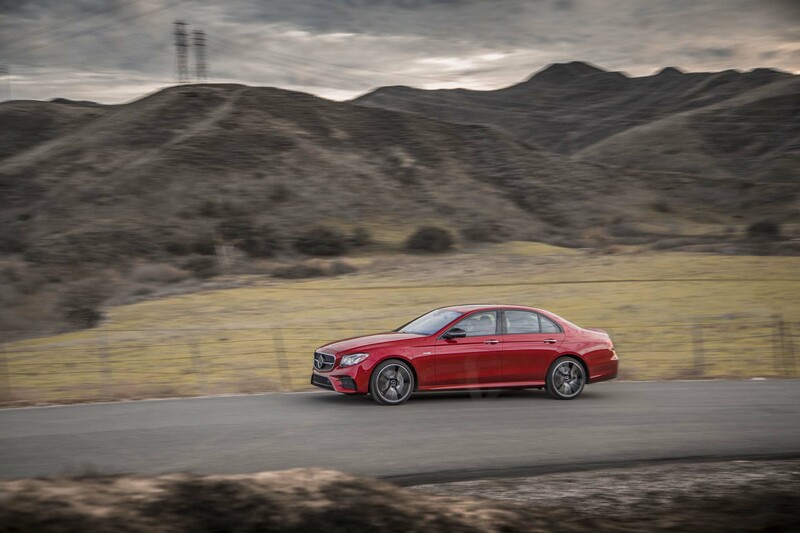 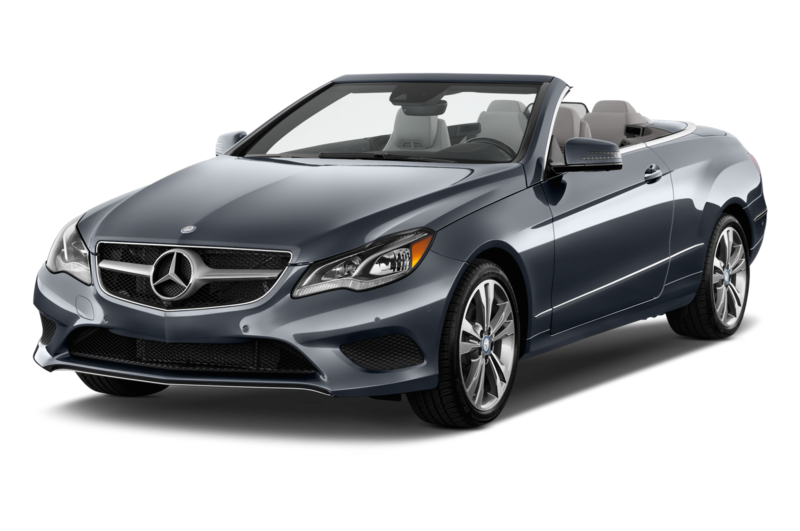 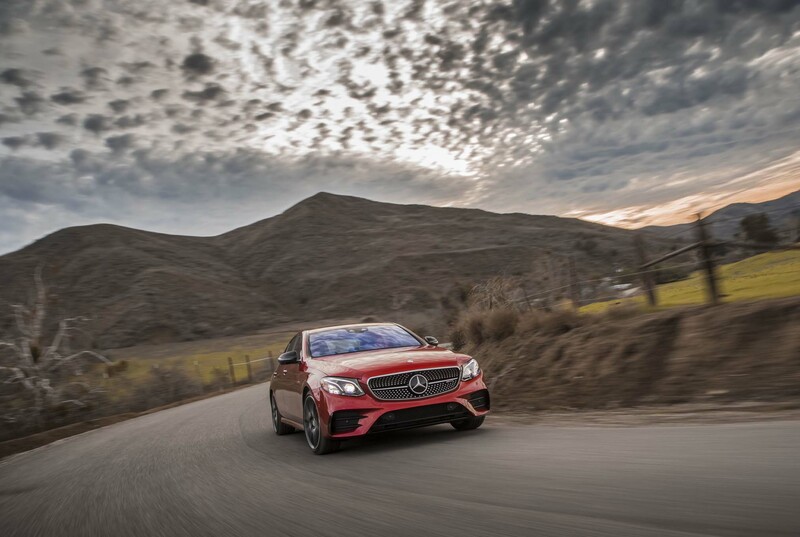 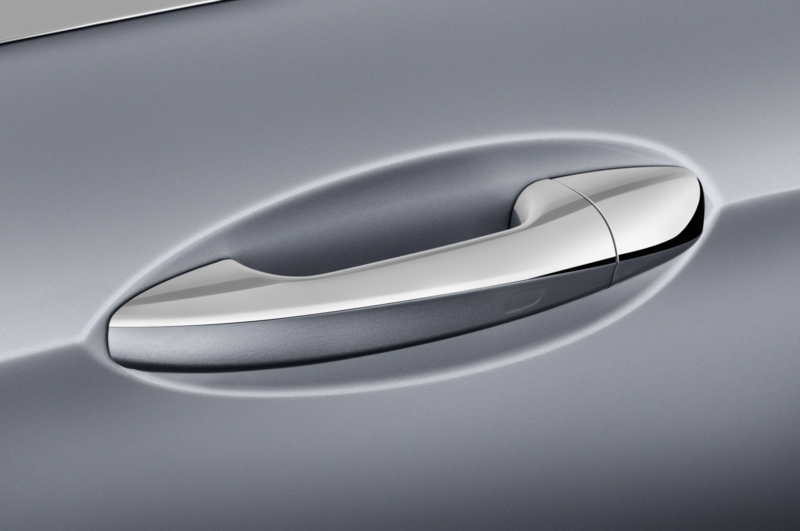 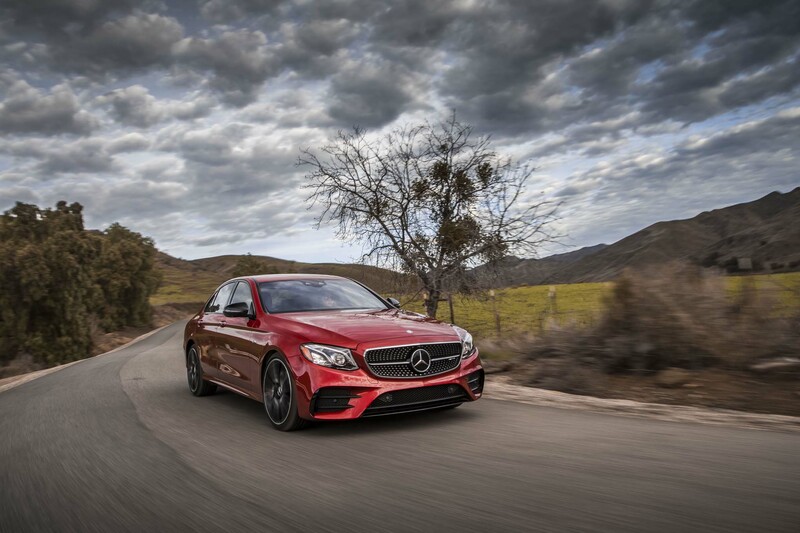 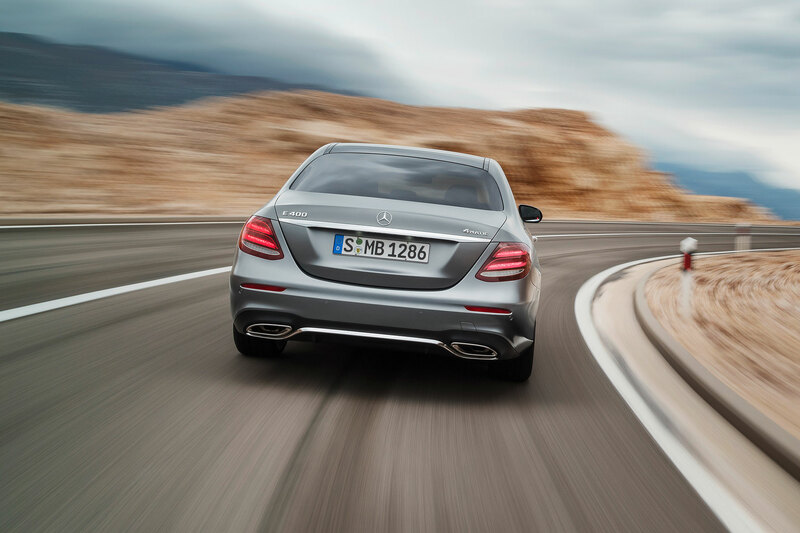 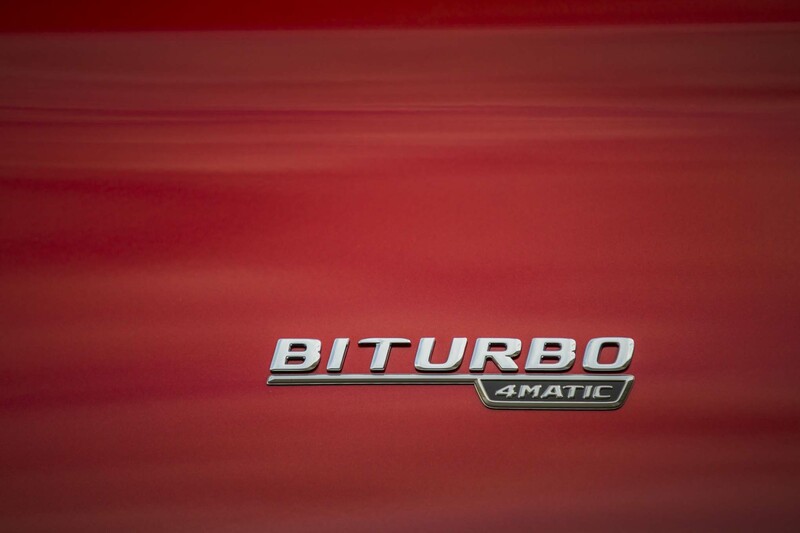 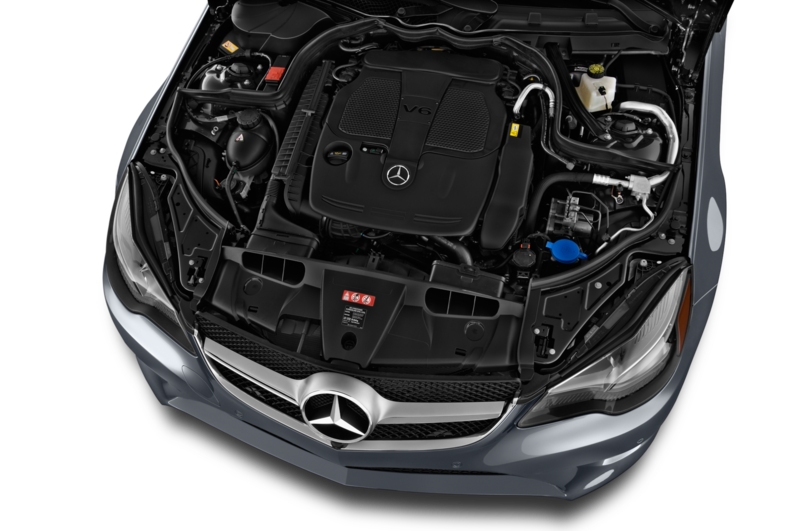 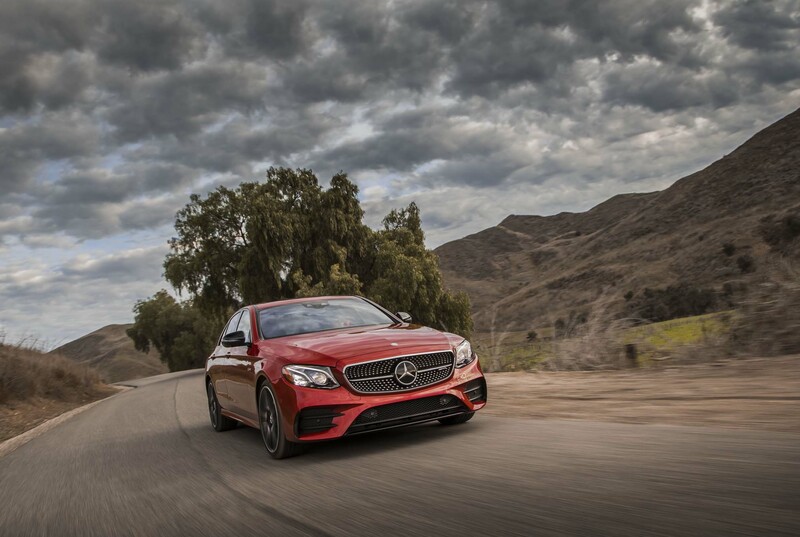 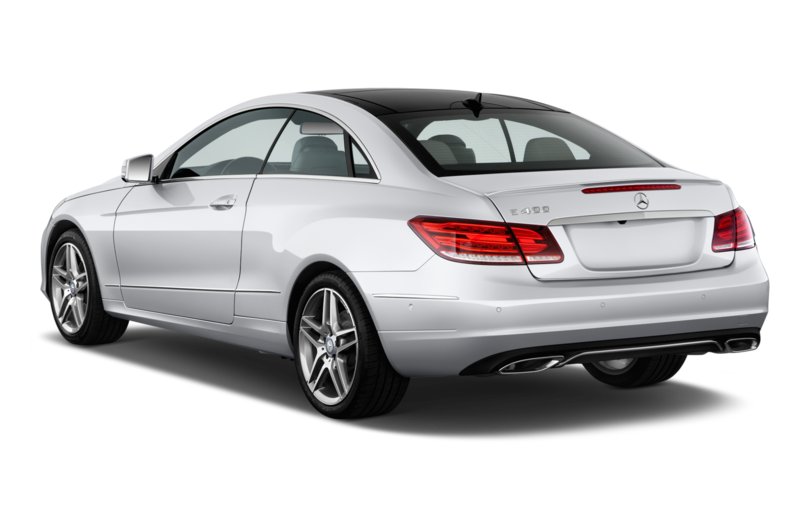 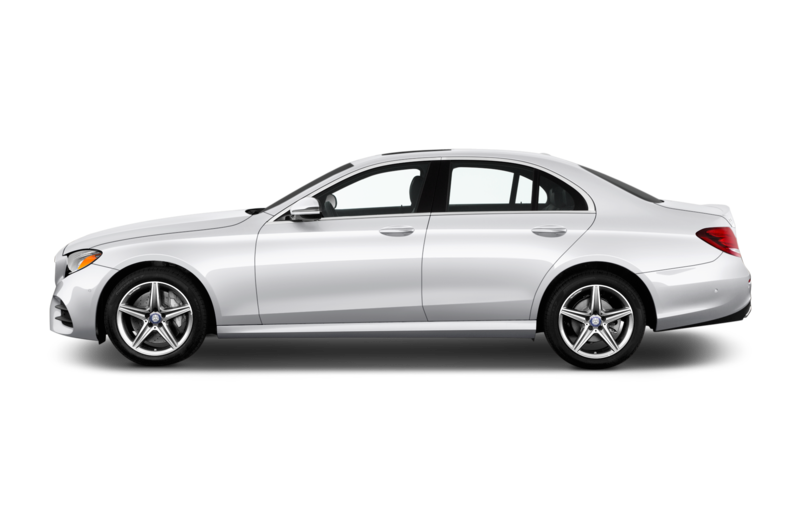 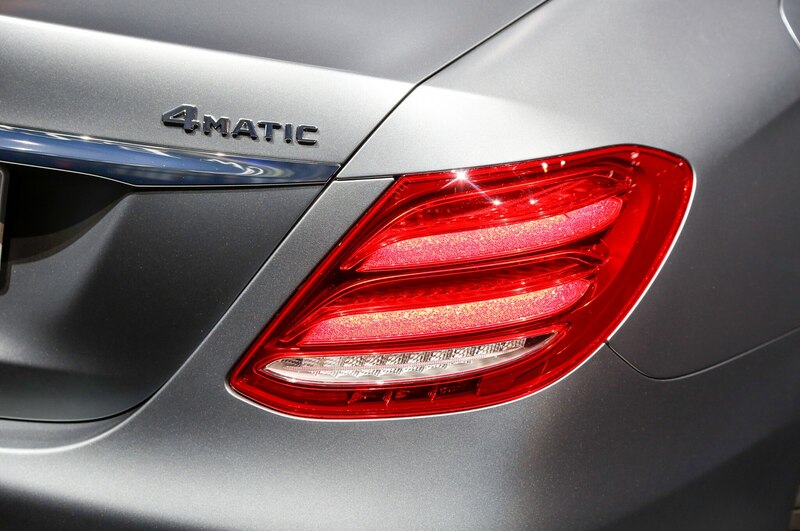 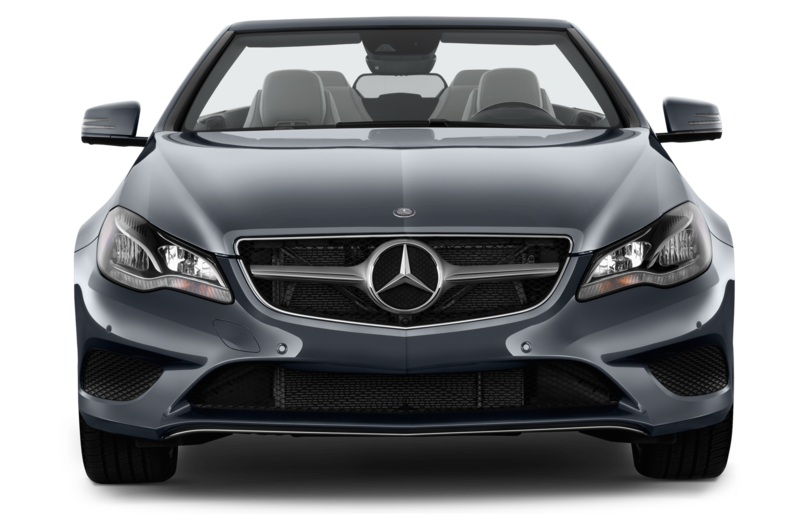 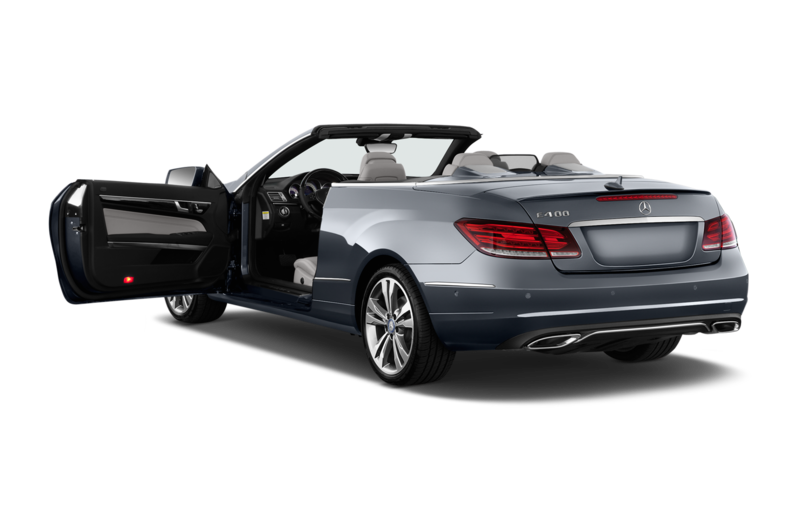 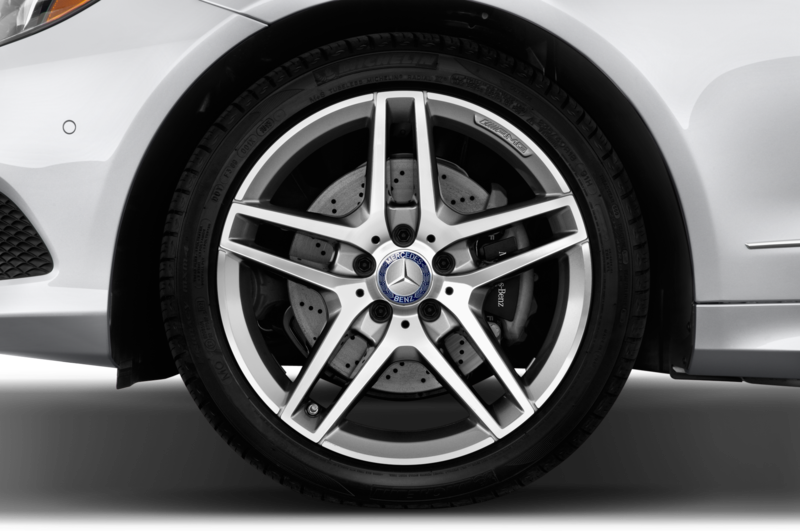 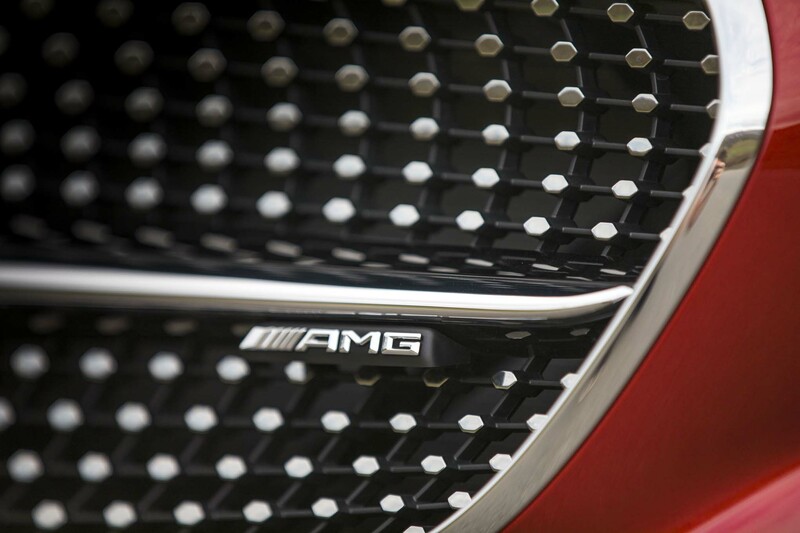 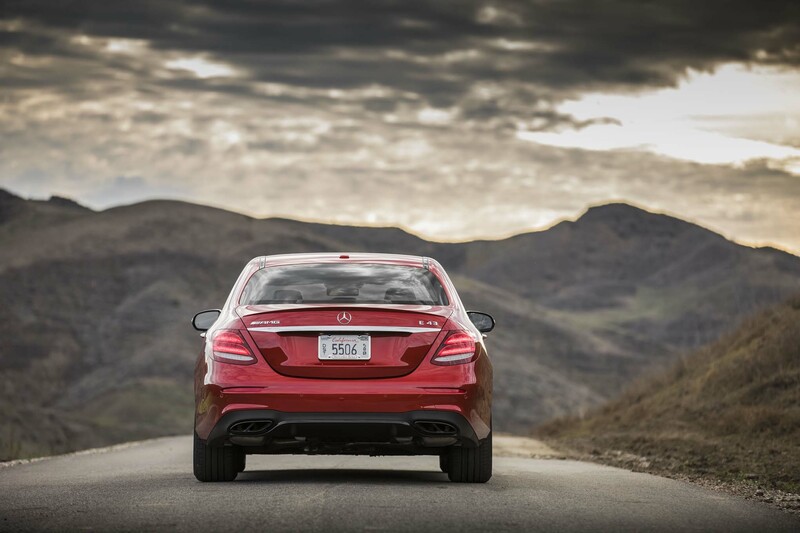 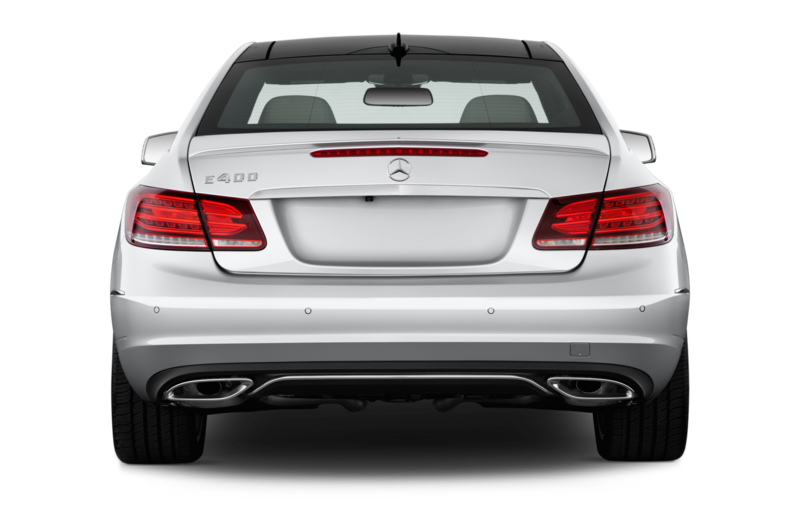 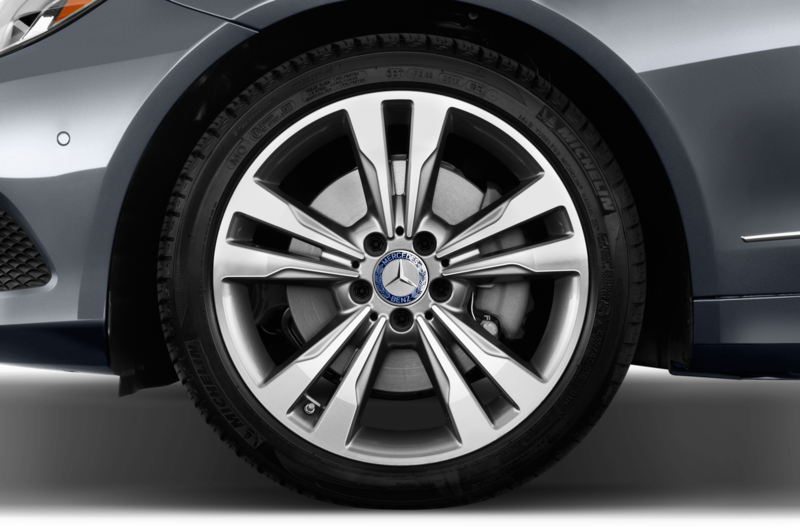 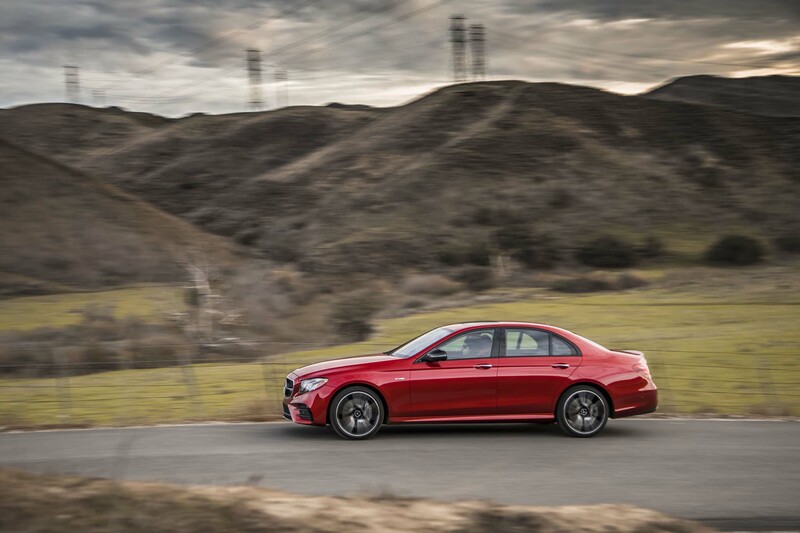 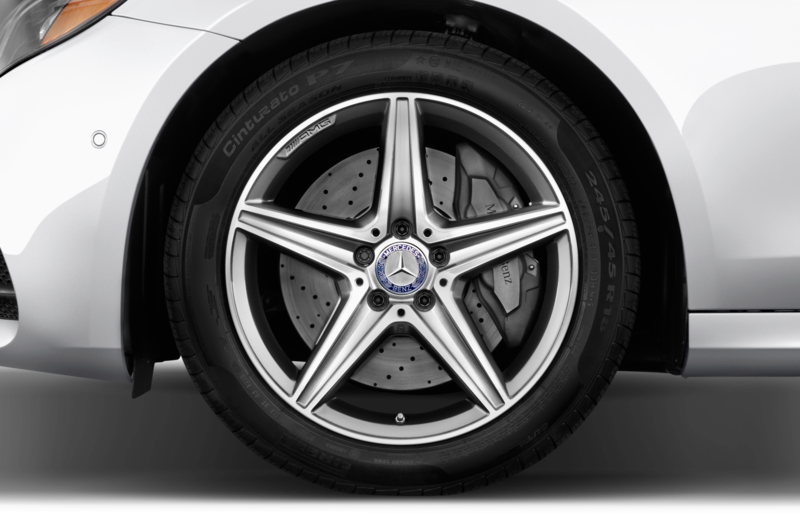 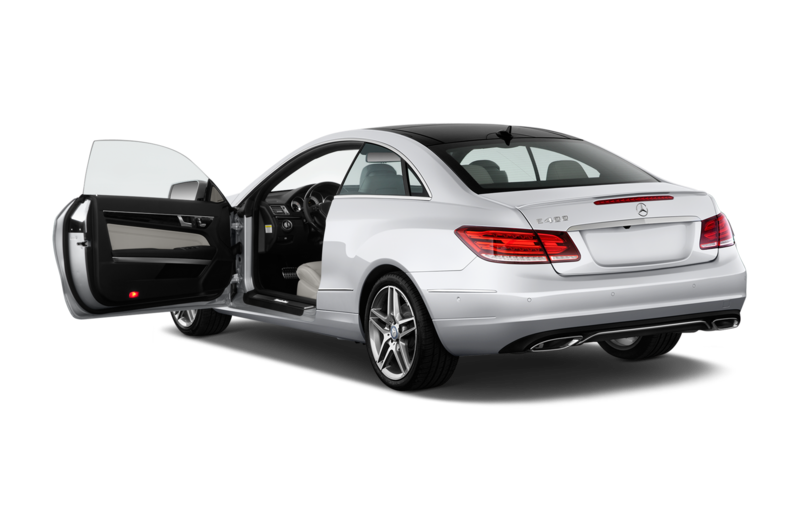 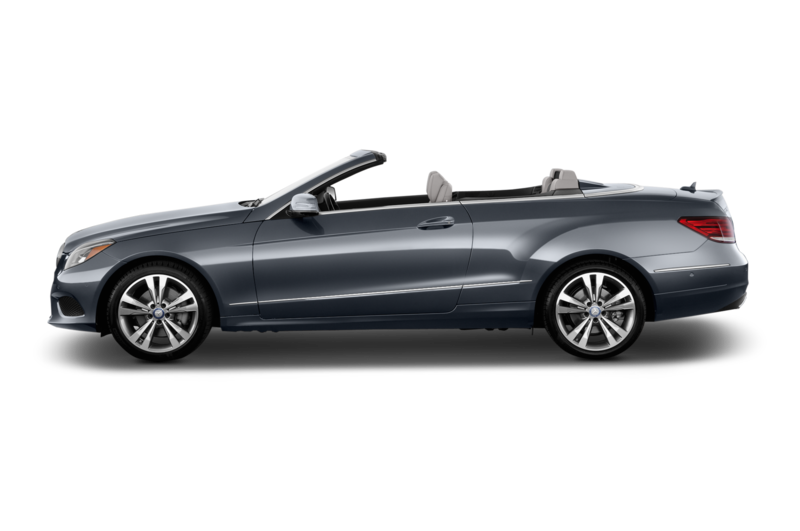 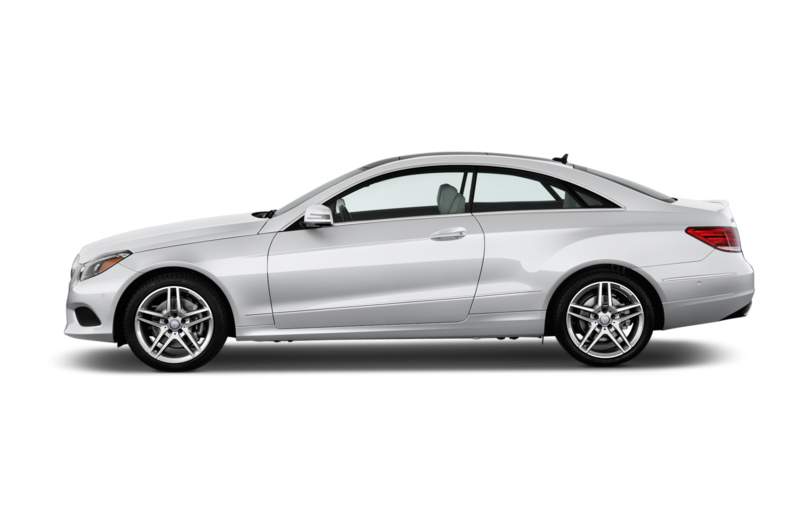 It mates with a standard nine-speed automatic in the E-Class, and provides 241 hp and 273 lb-ft of torque. 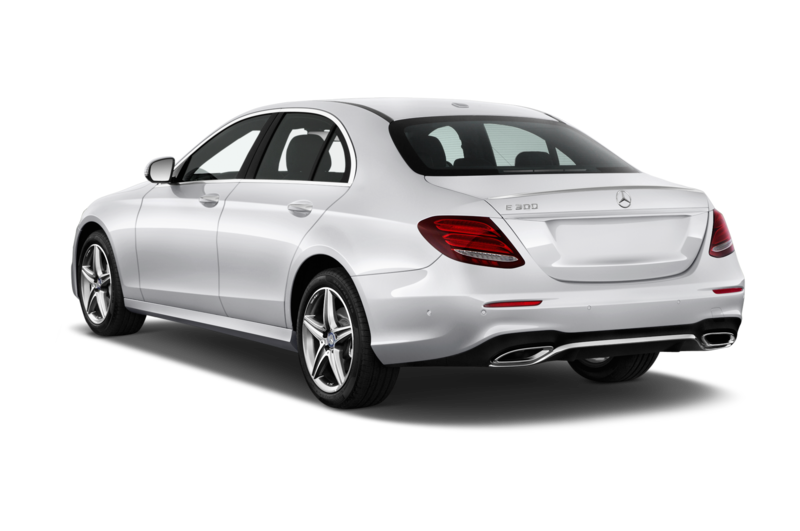 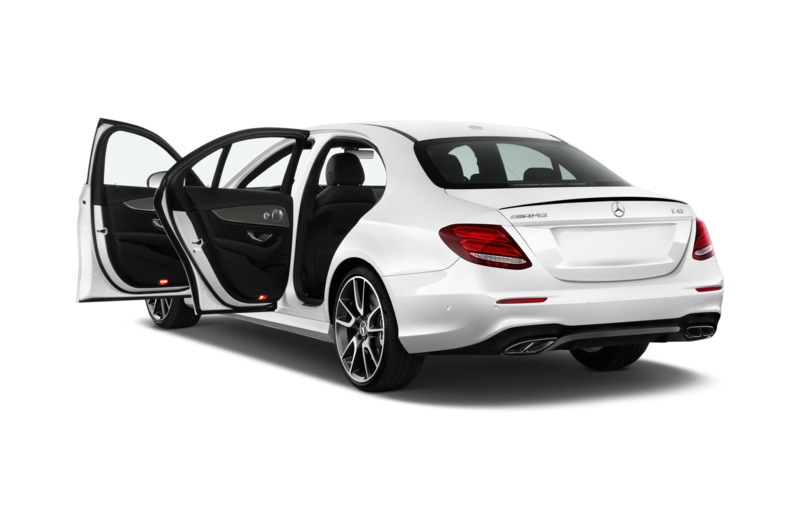 But if you’re wondering about the rest of the lineup, look no further than the provided Euro-spec photos, which give away a few more 2017 Mercedes-Benz E-Class variants: a diesel-powered E220d, a plug-in hybrid E350e, and a six-cylinder E400. 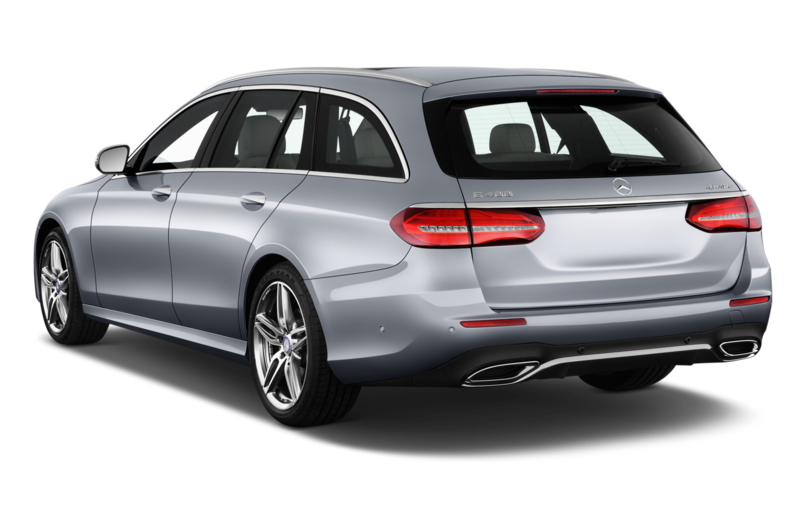 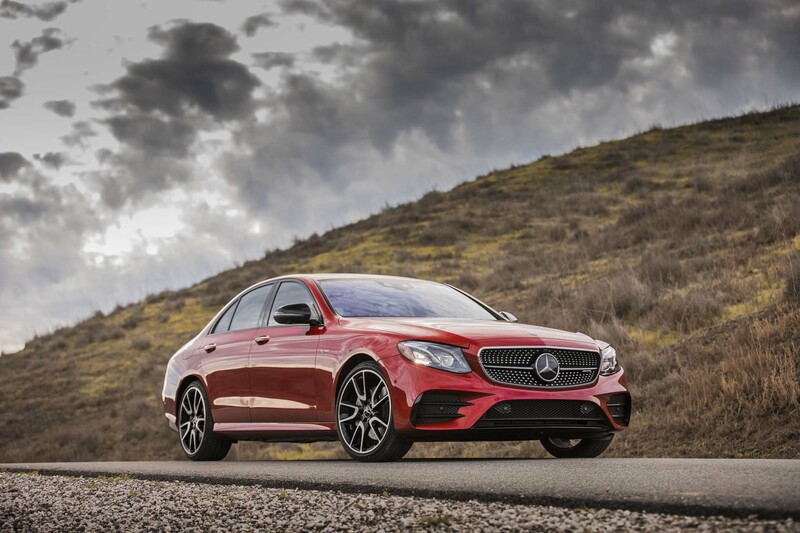 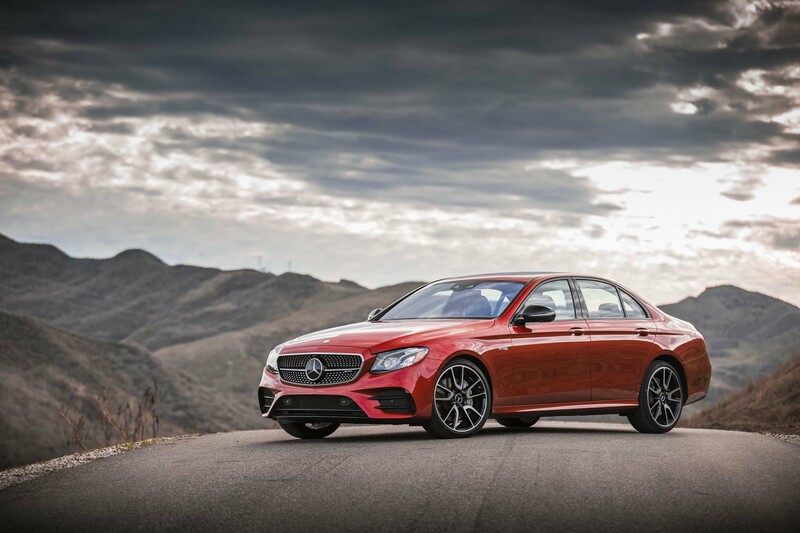 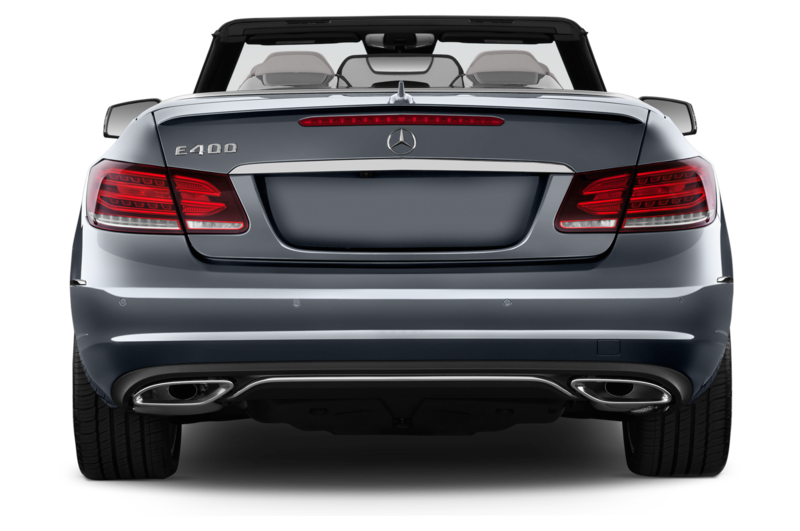 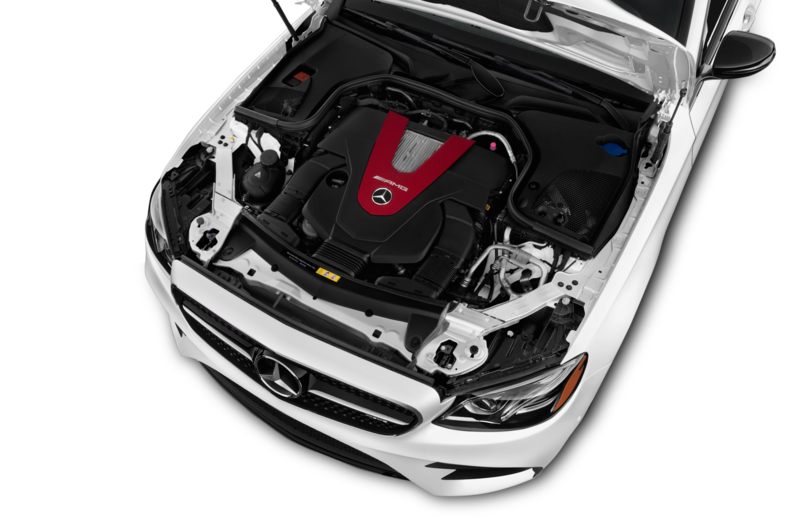 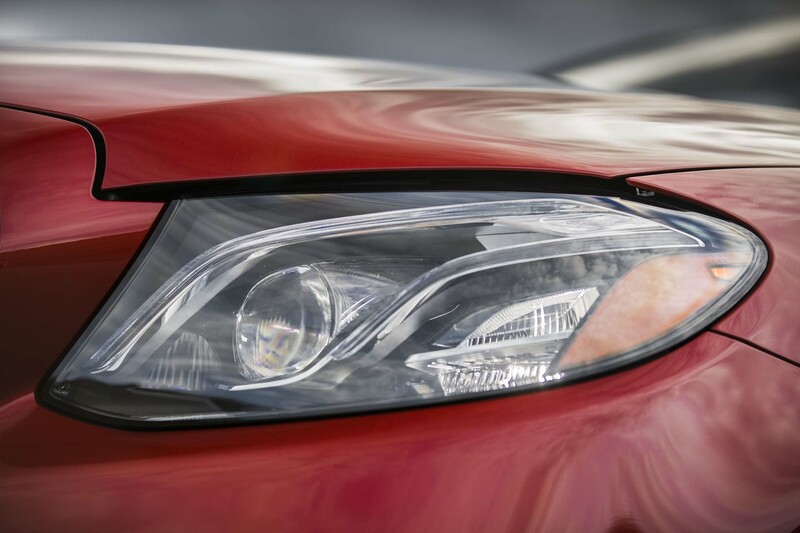 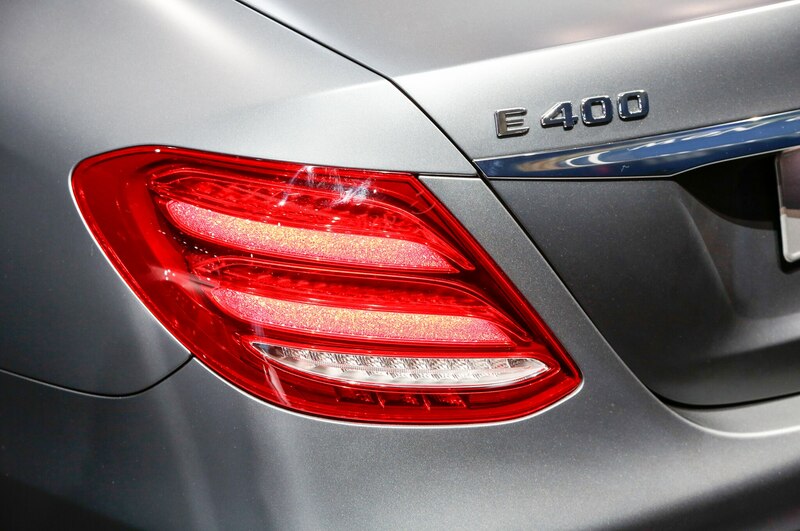 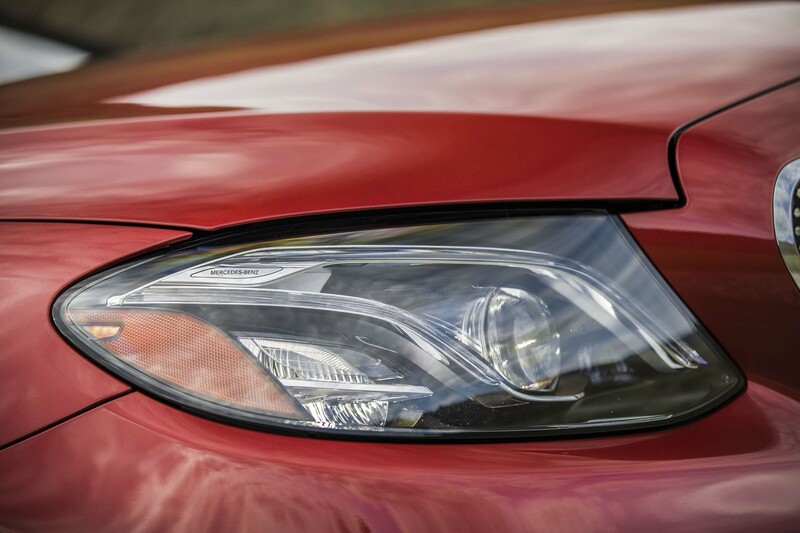 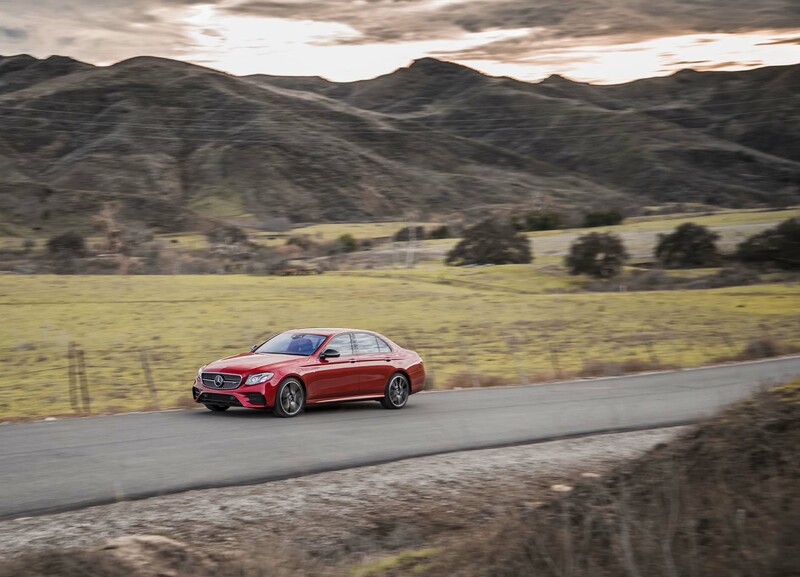 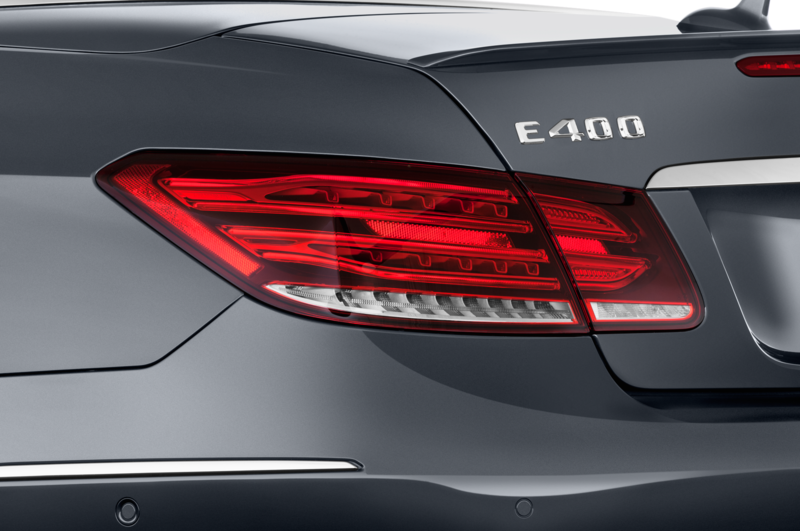 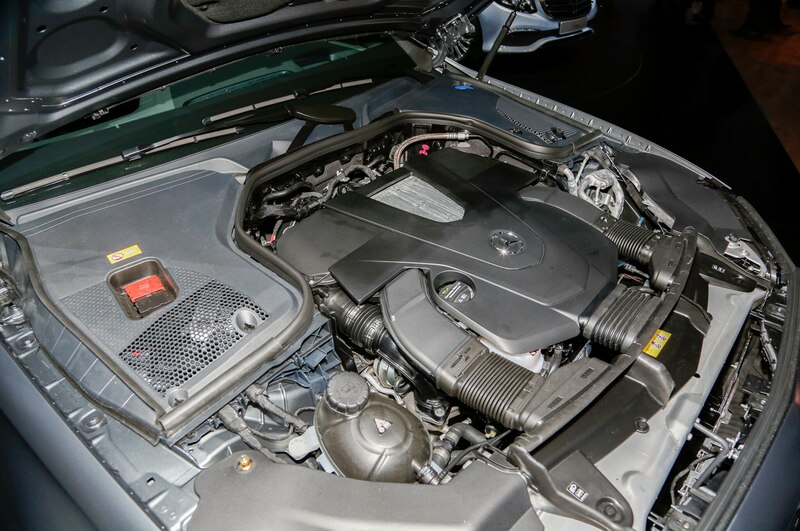 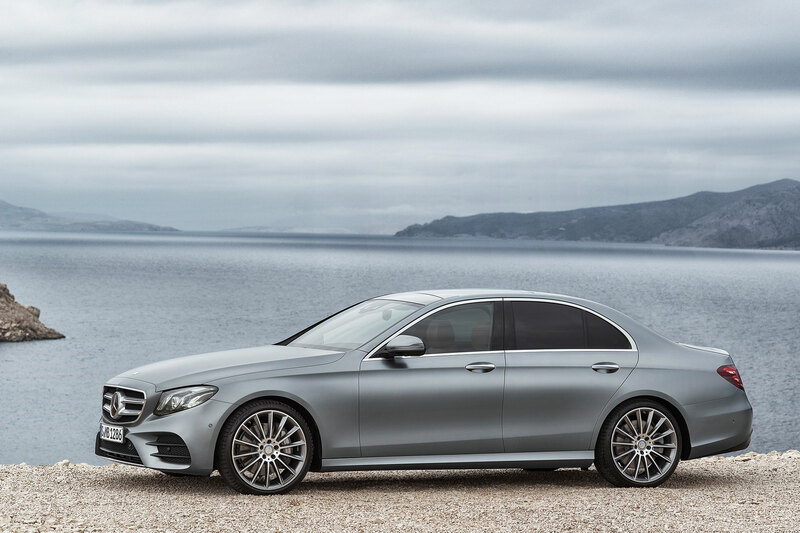 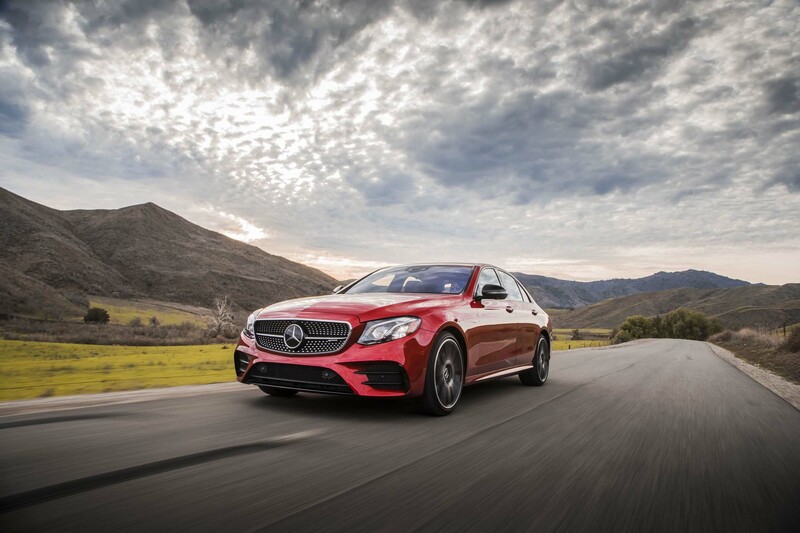 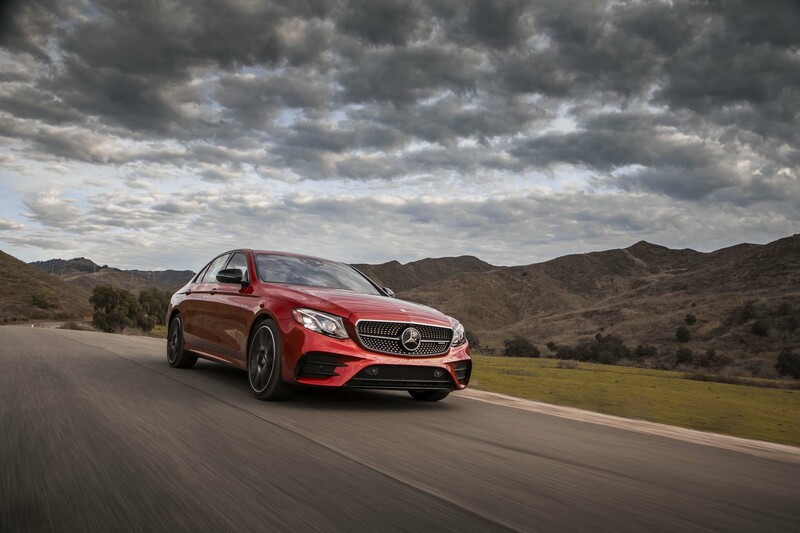 We don’t have any technical details about these other models yet, but previous rumors suggested that the E400 would use a new inline-six engine. 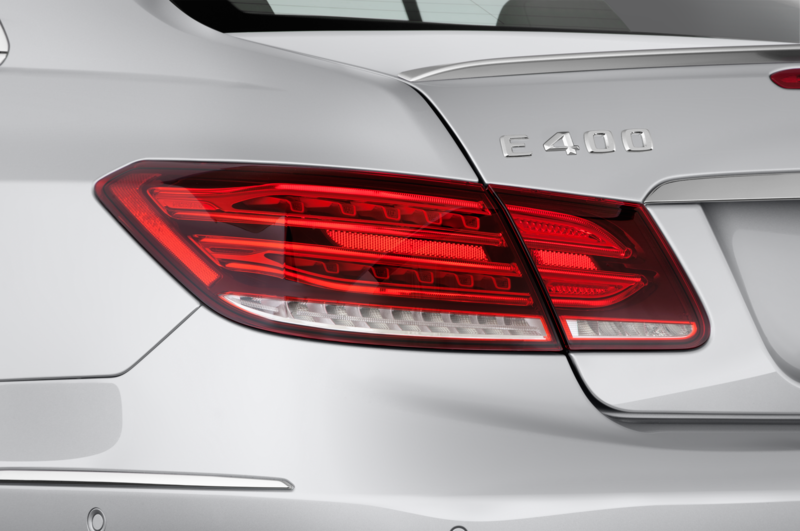 The E220d, meanwhile, will use a four-cylinder turbo diesel, while the E350e should use the same plug-in hybrid drivetrain found in the C350e. 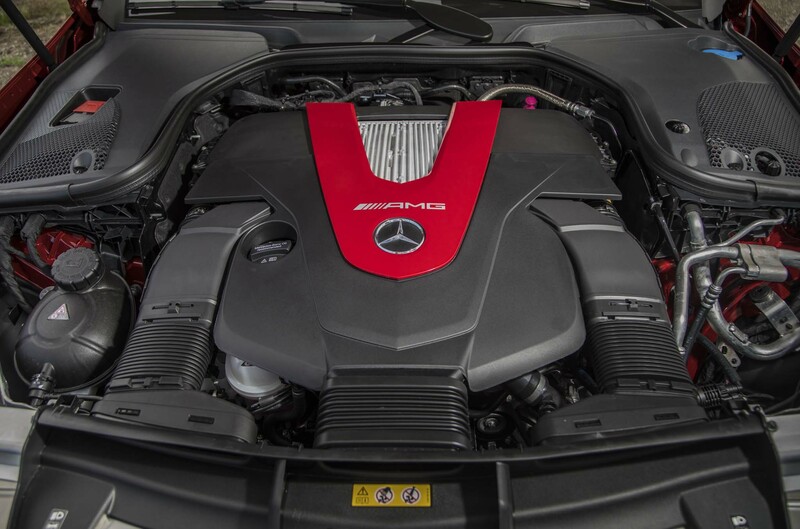 The inevitable AMG variants are a sure bet to use Mercedes-AMG’s potent twin-turbo, 4.0-liter V-8 engine, likely with upwards of 500 hp and 4Matic all-wheel drive. 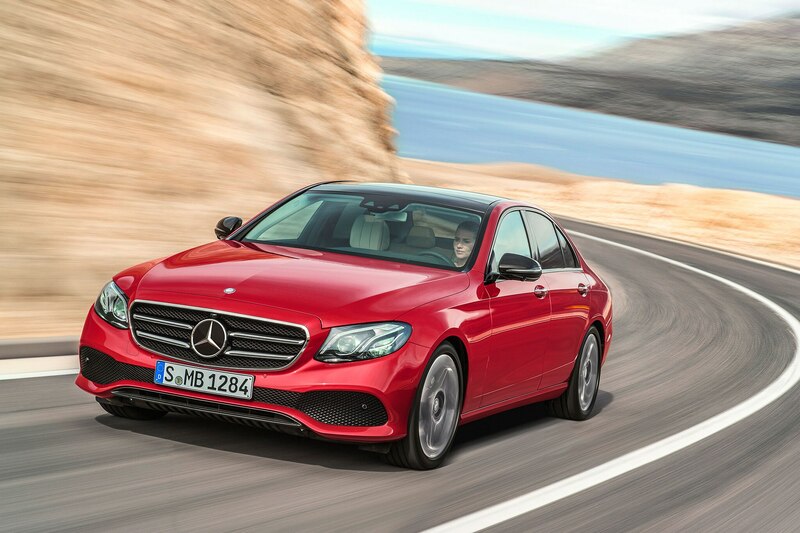 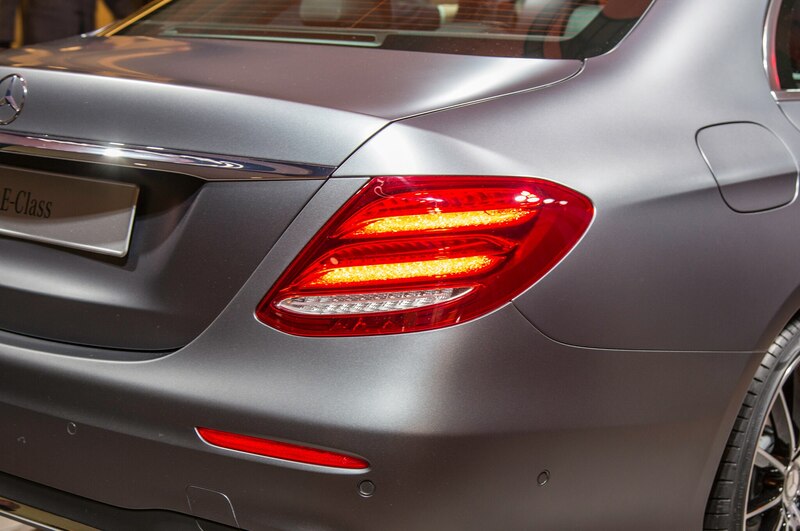 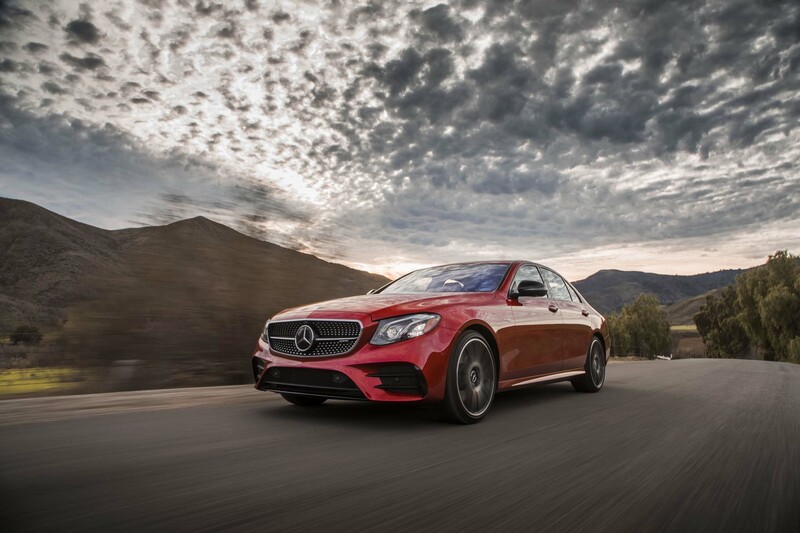 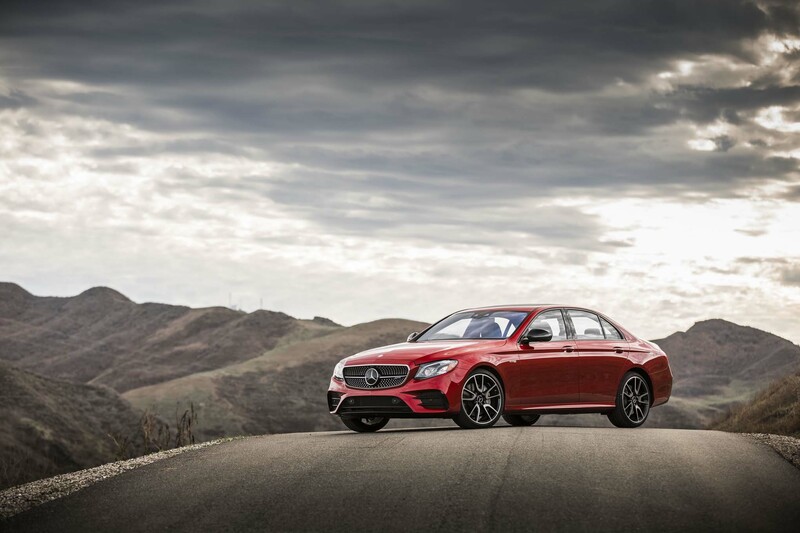 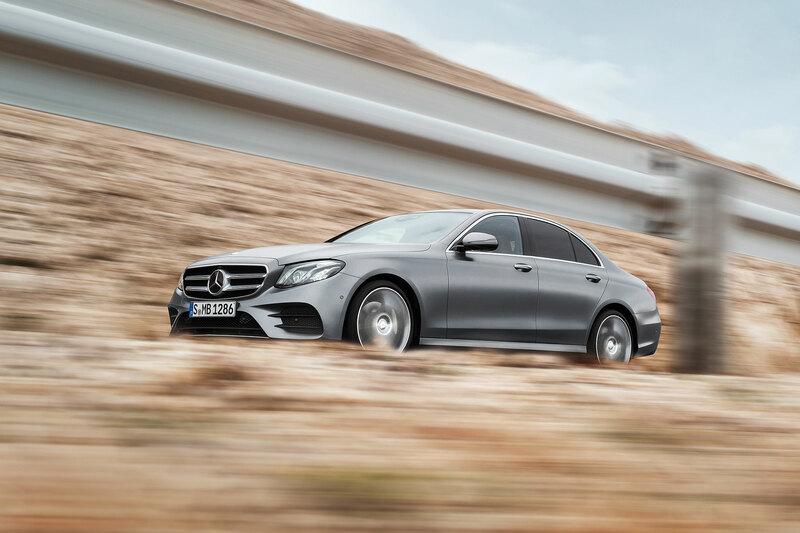 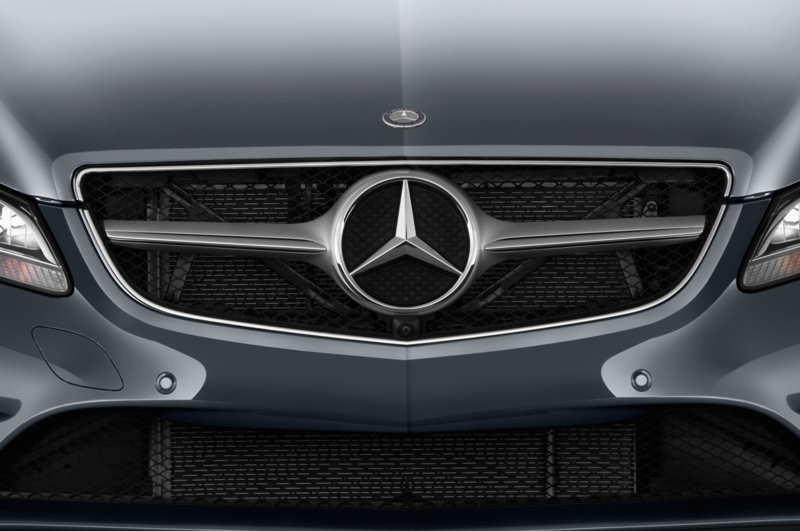 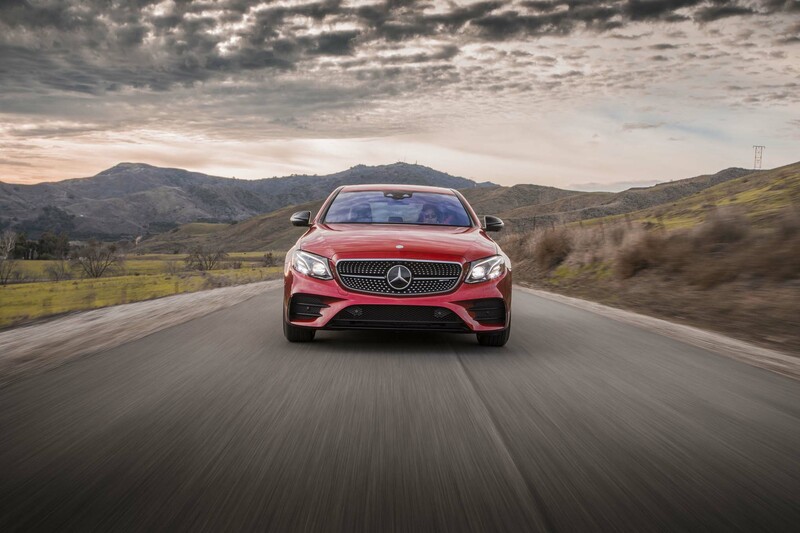 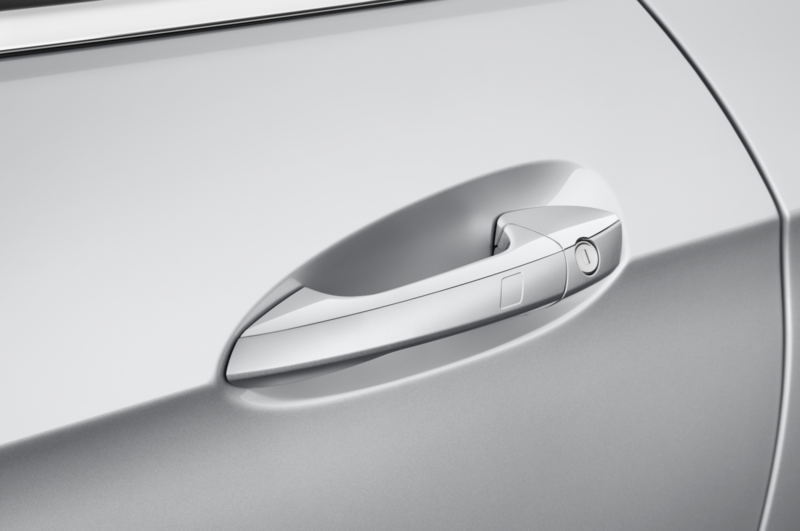 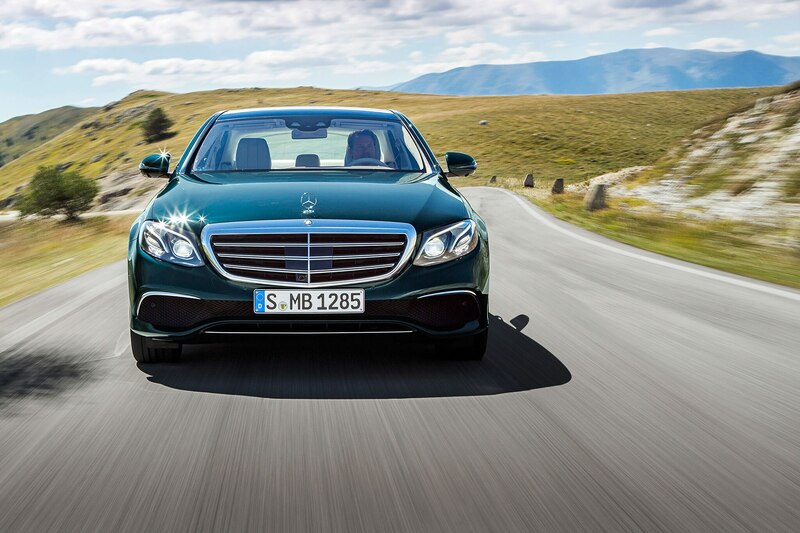 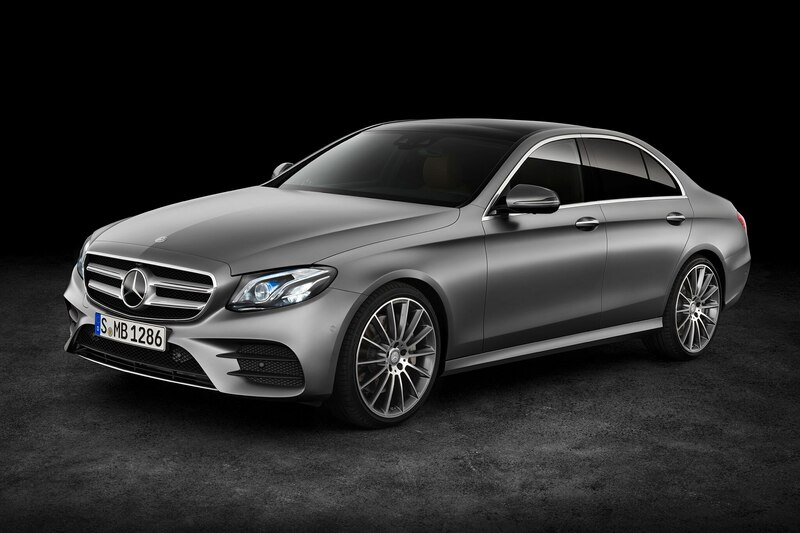 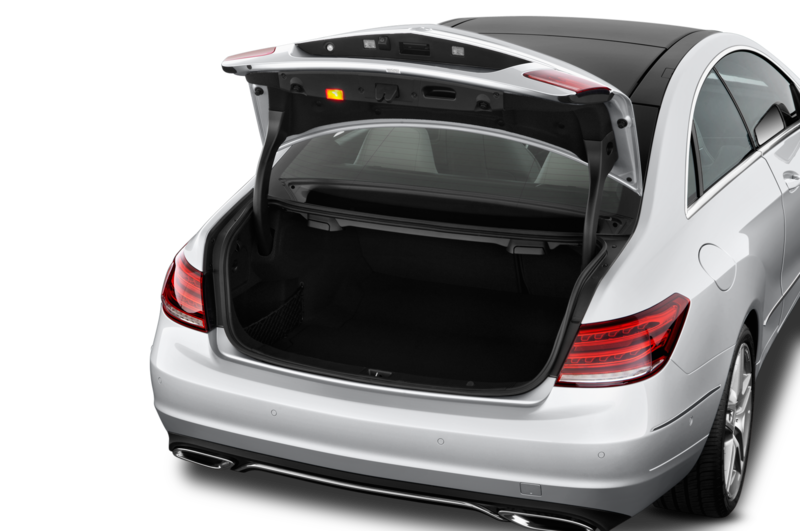 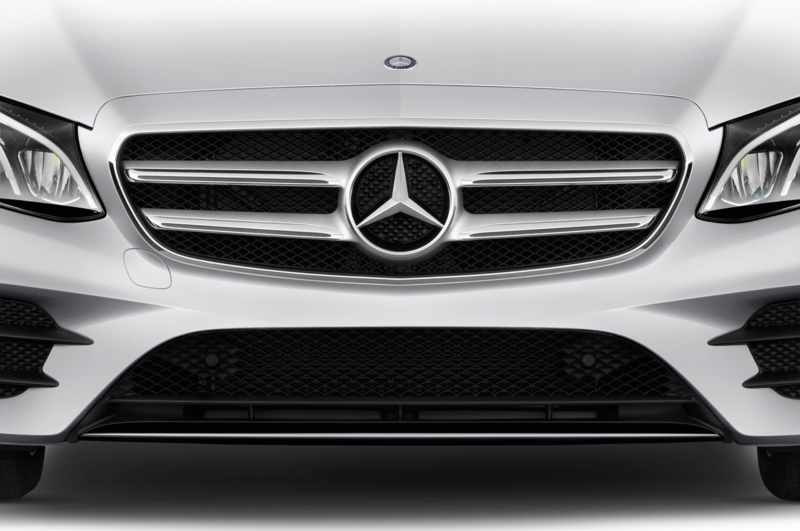 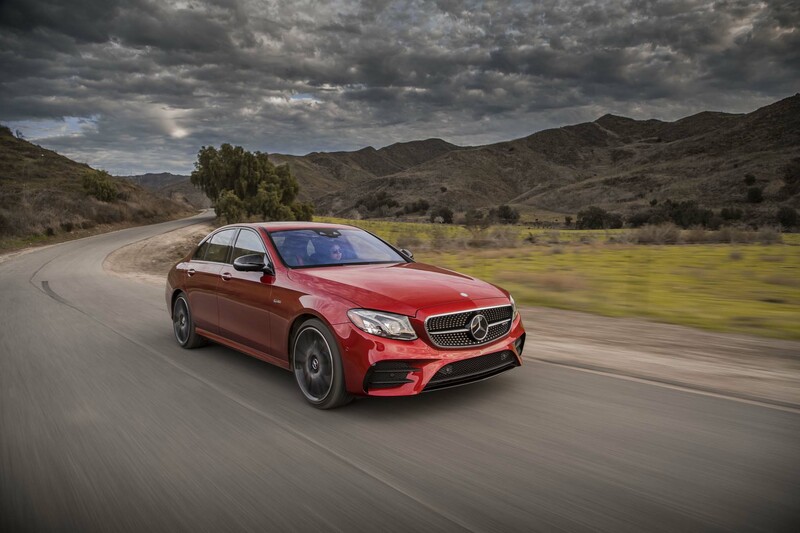 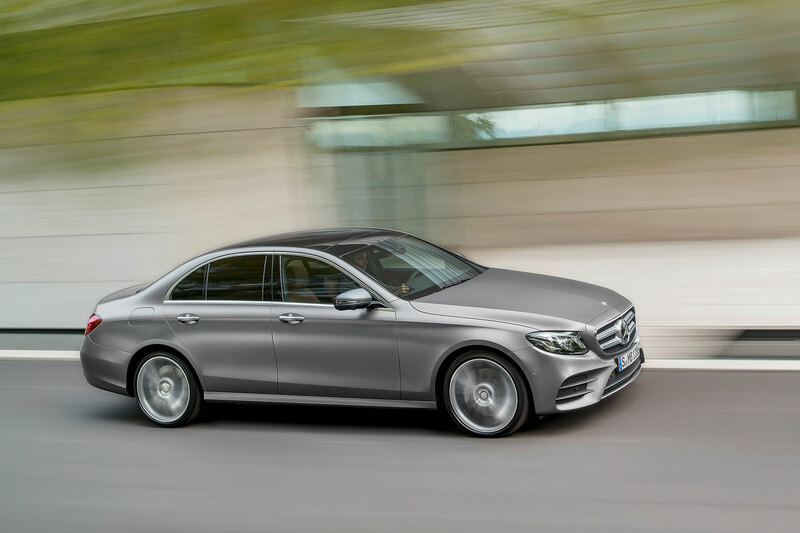 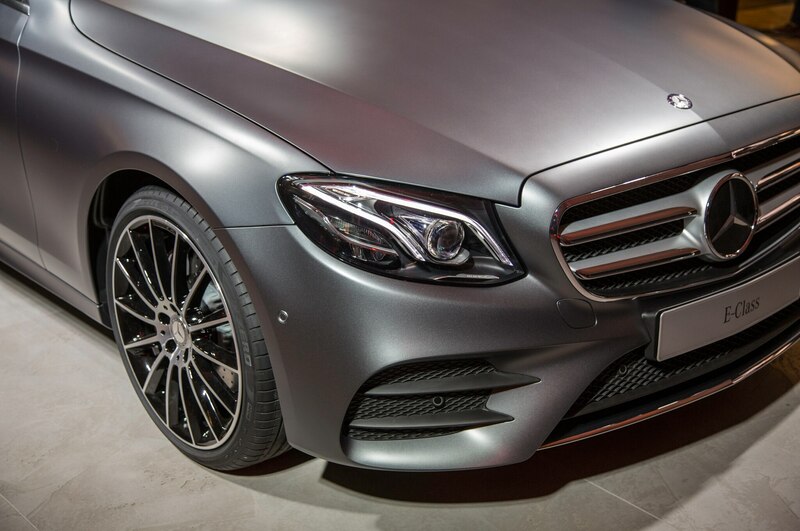 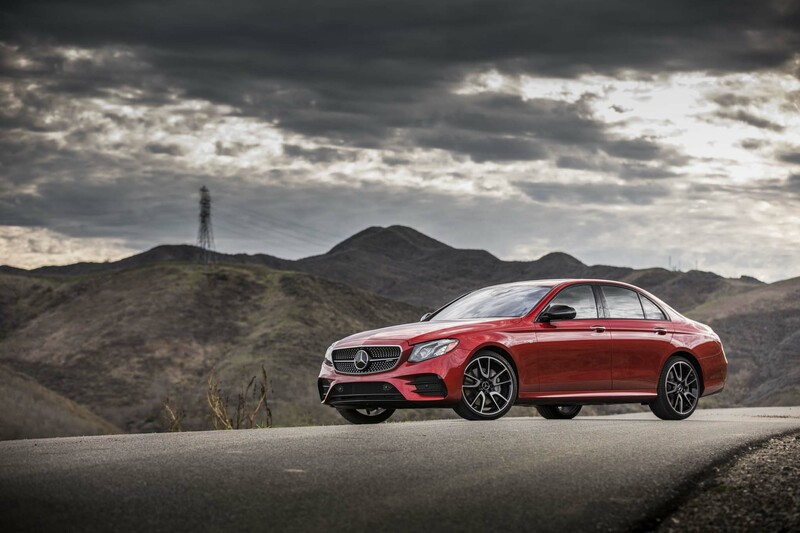 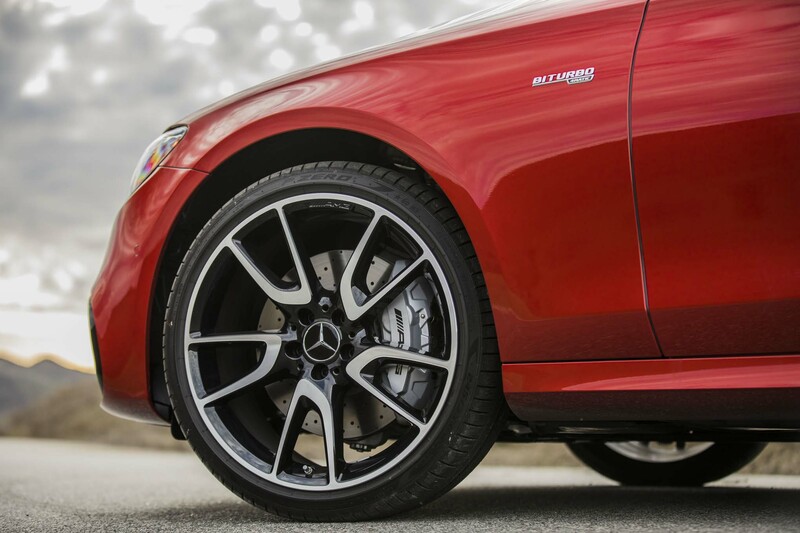 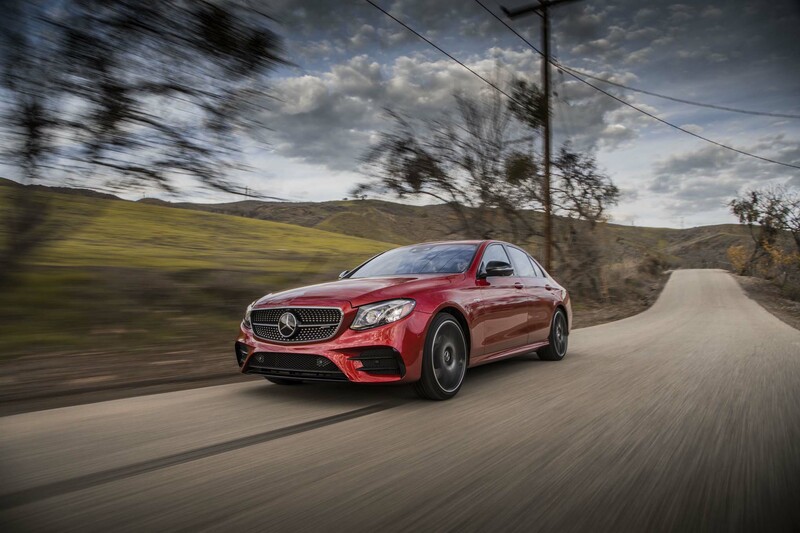 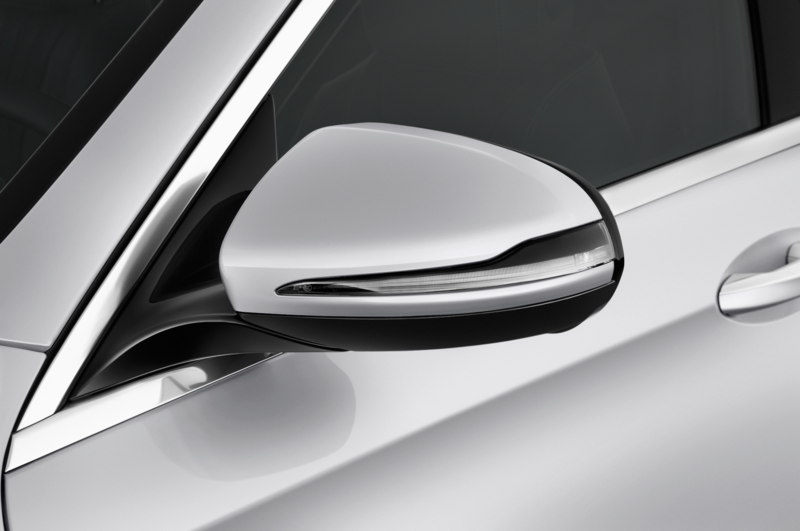 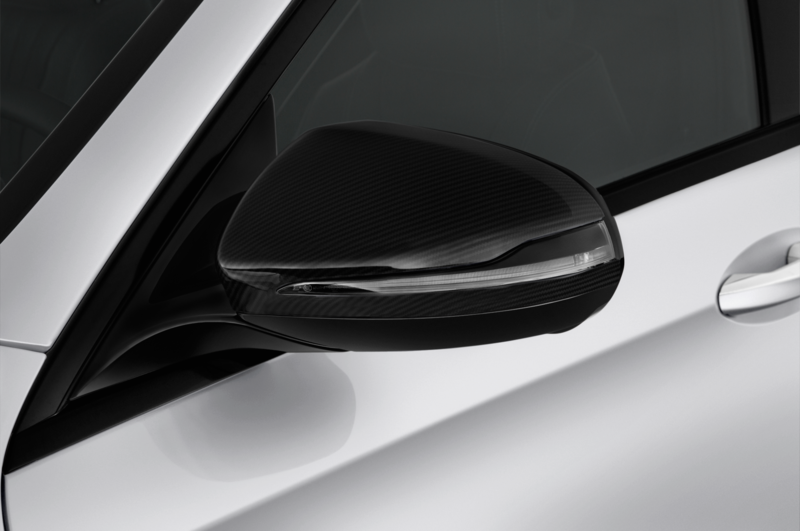 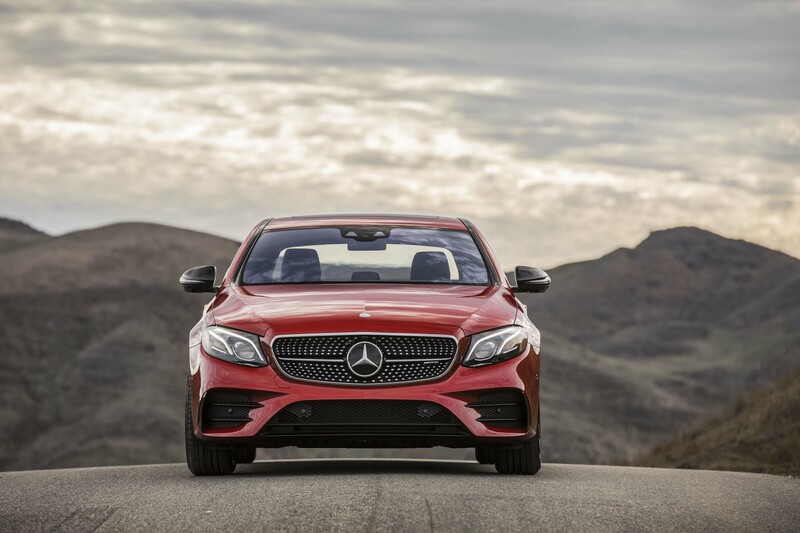 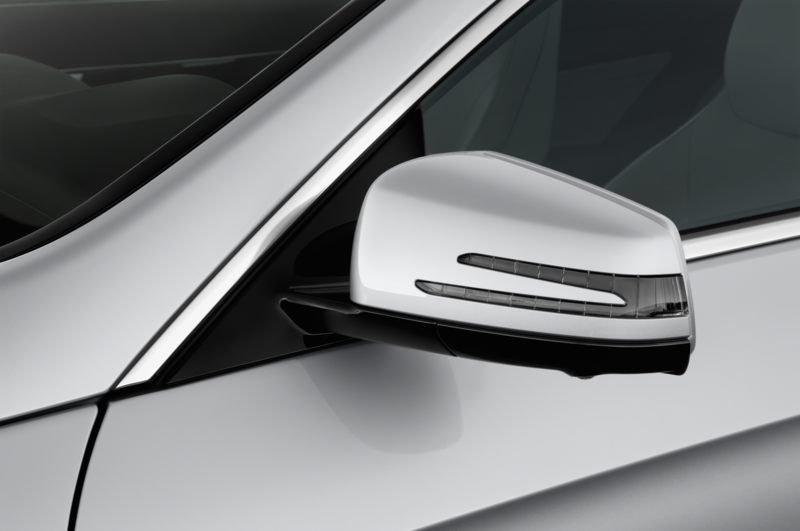 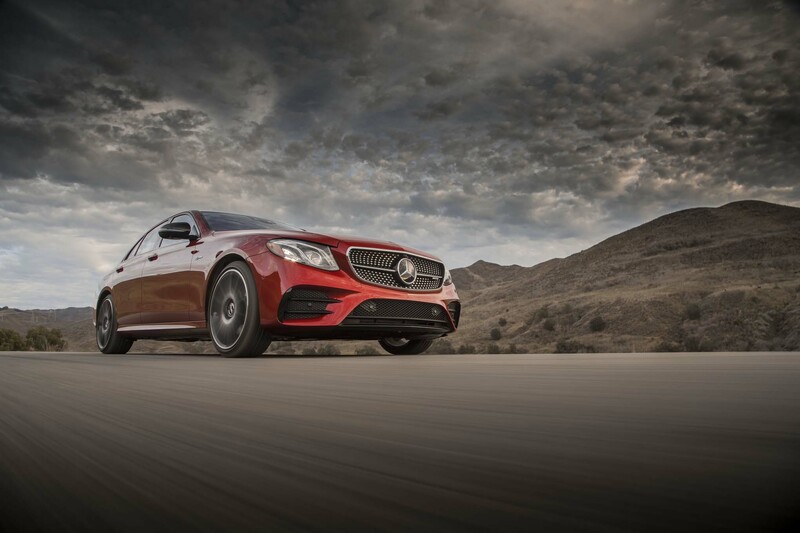 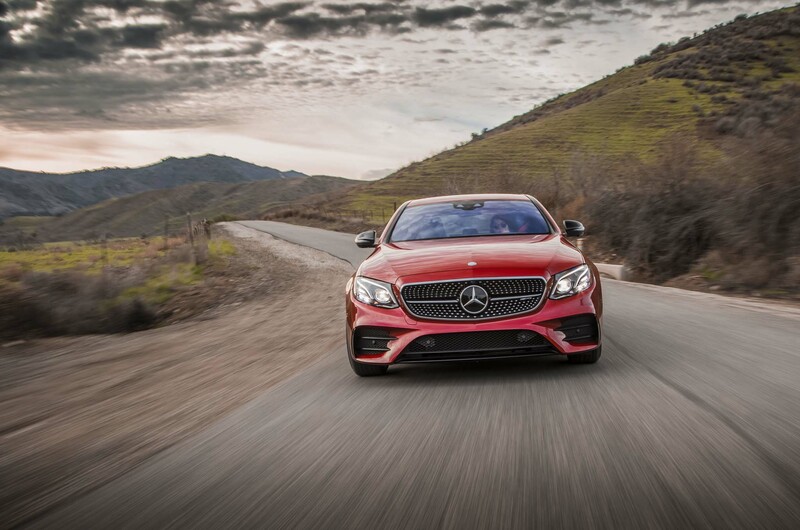 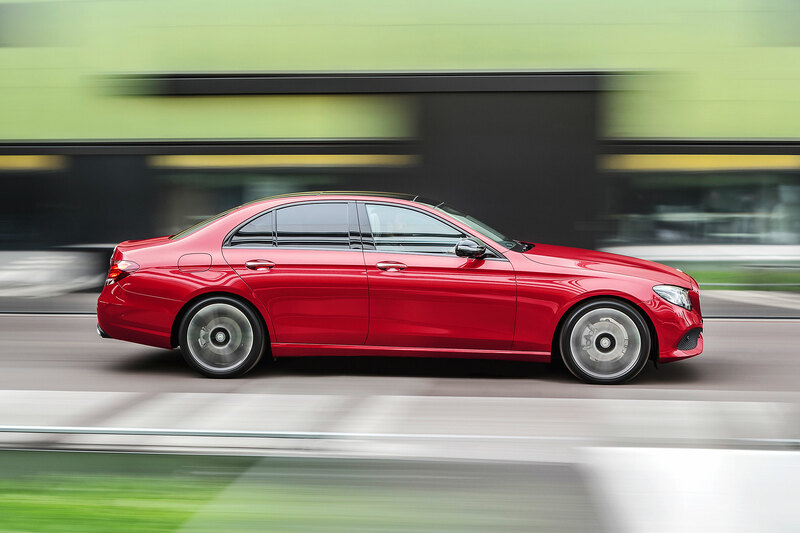 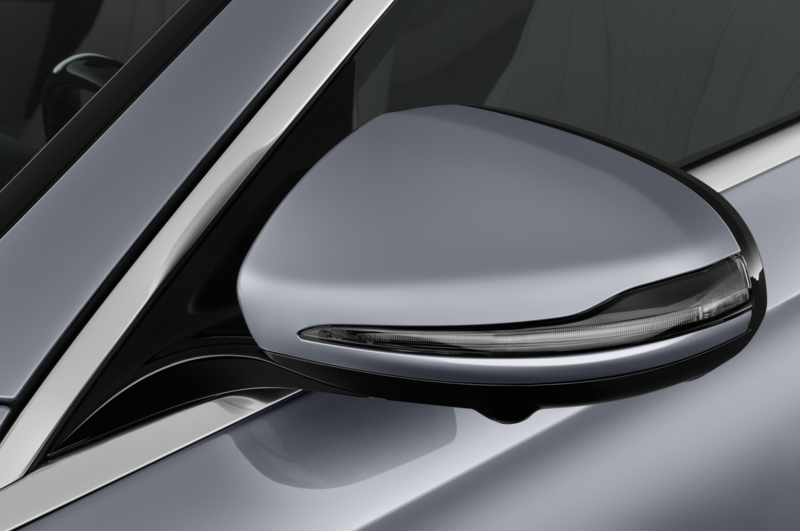 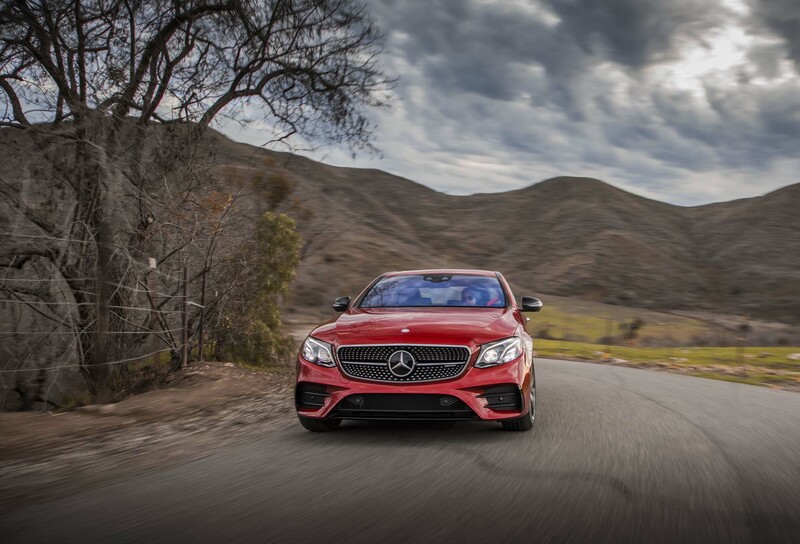 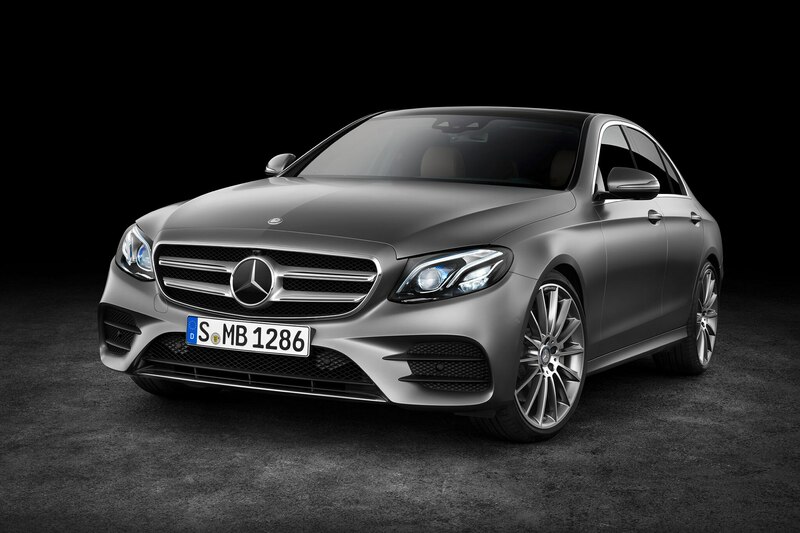 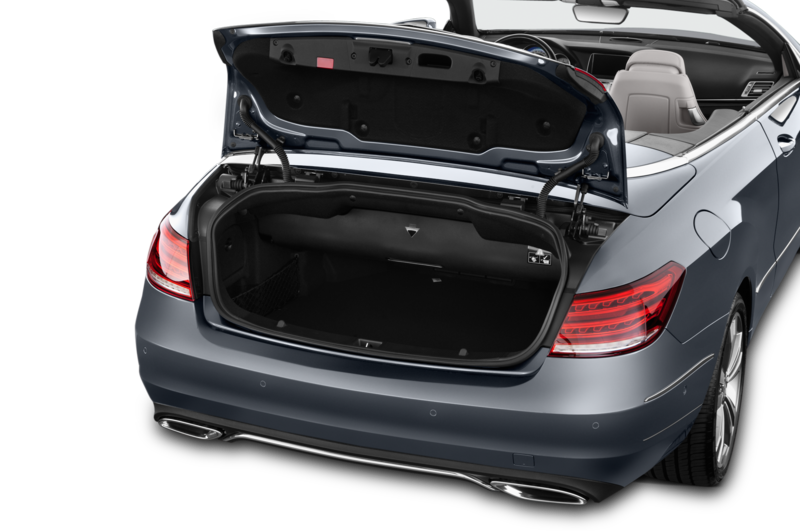 Other E-Class bodystyles, including the coupe, the wagon, and the convertible, are also expected to return. 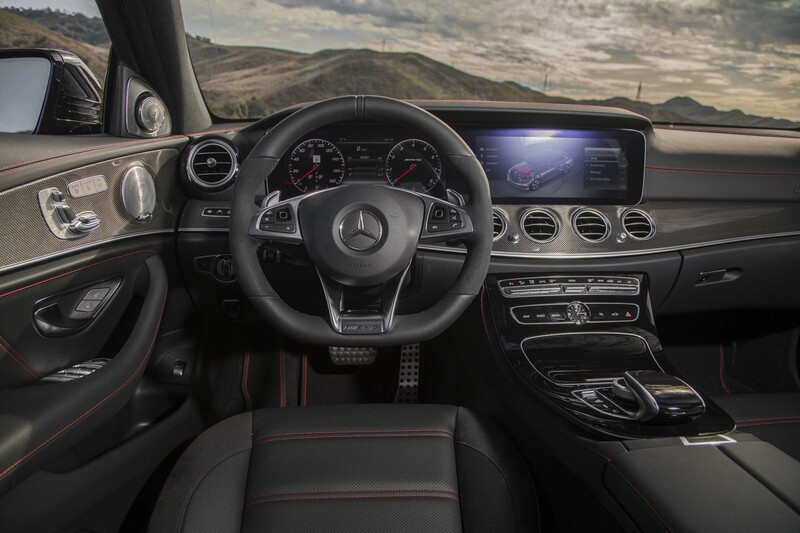 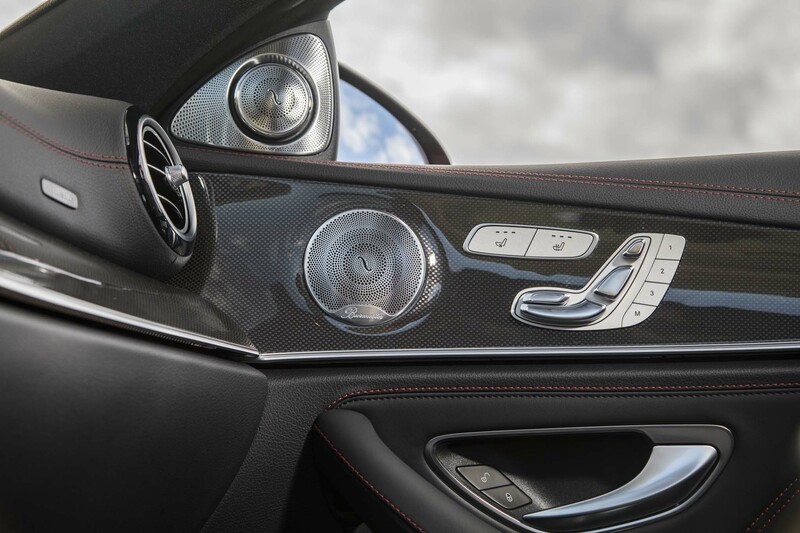 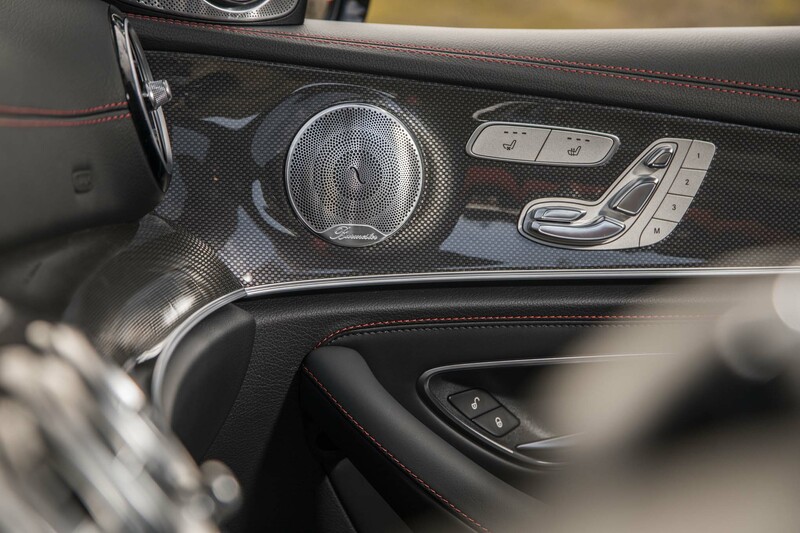 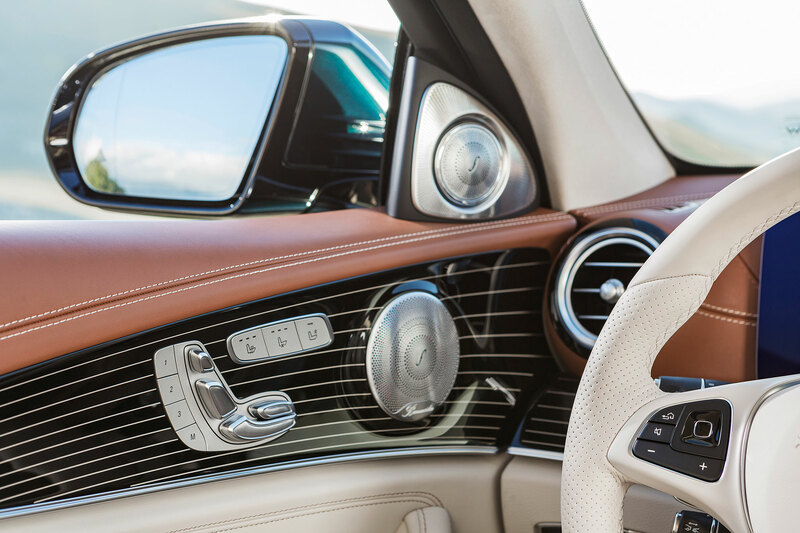 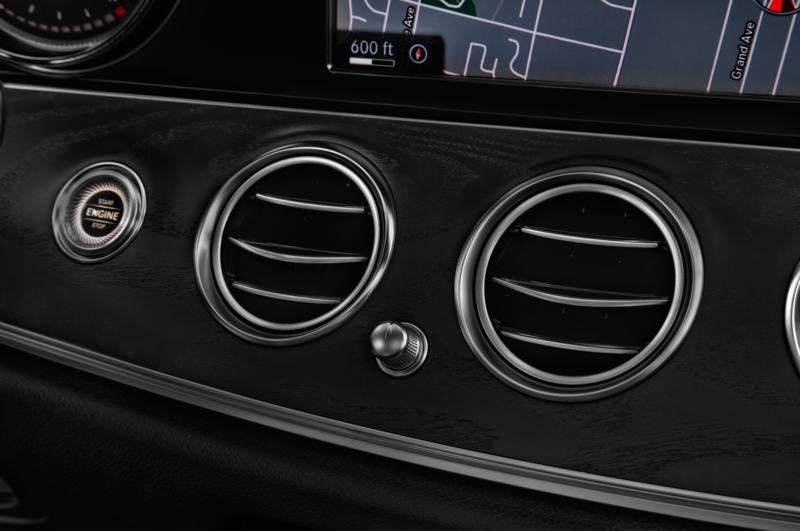 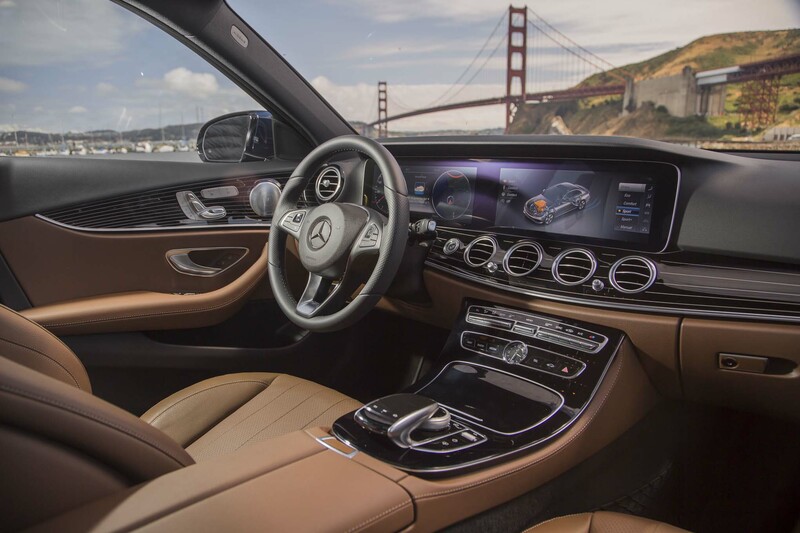 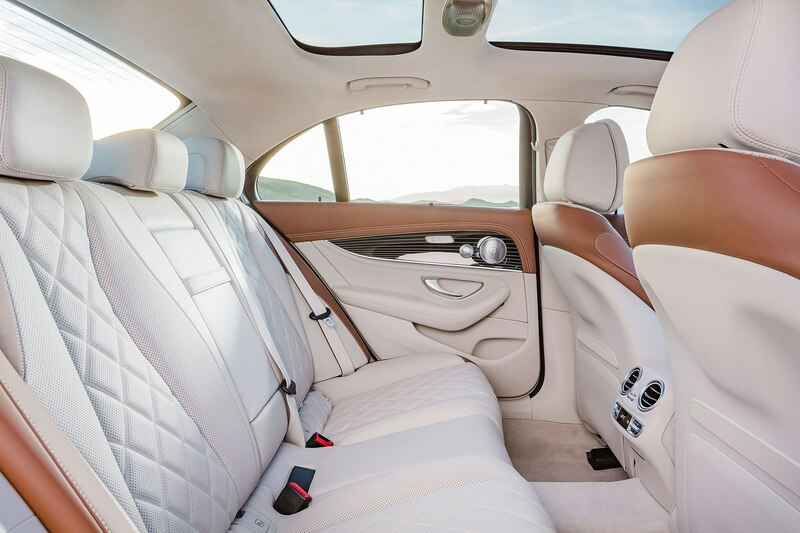 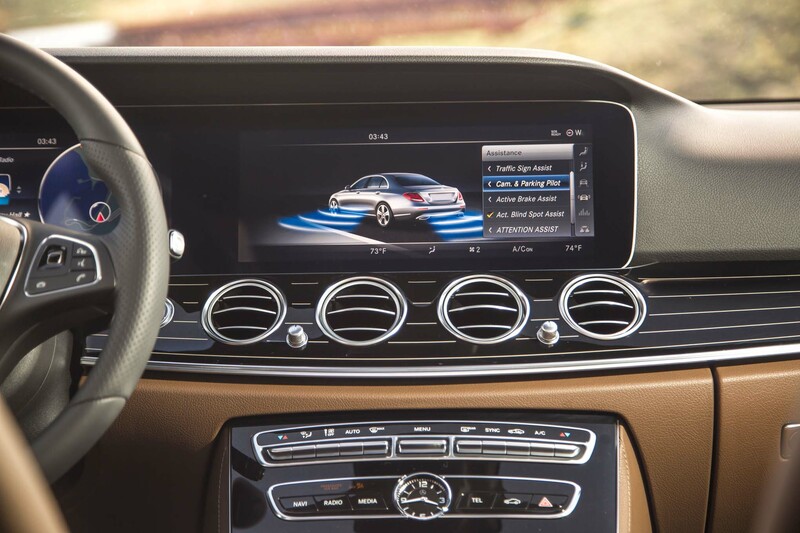 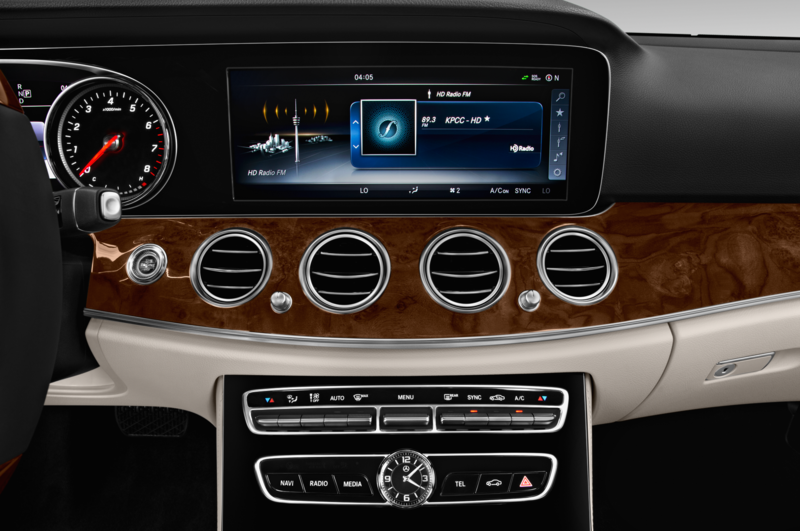 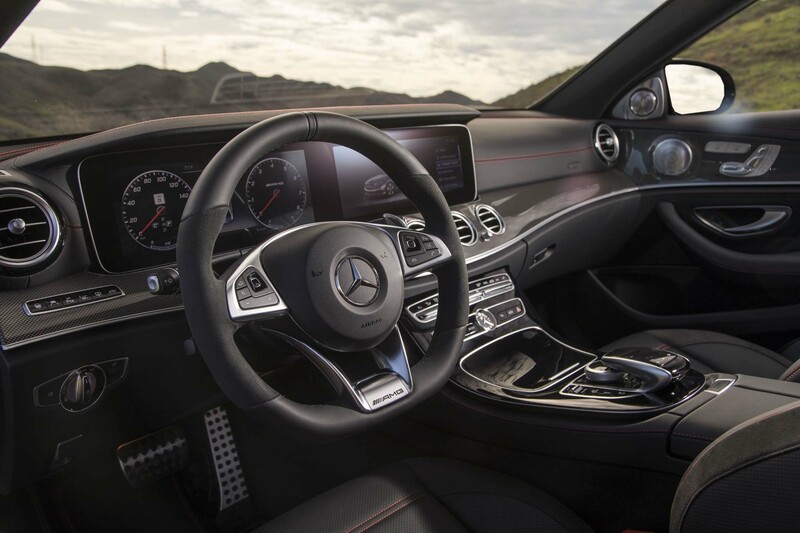 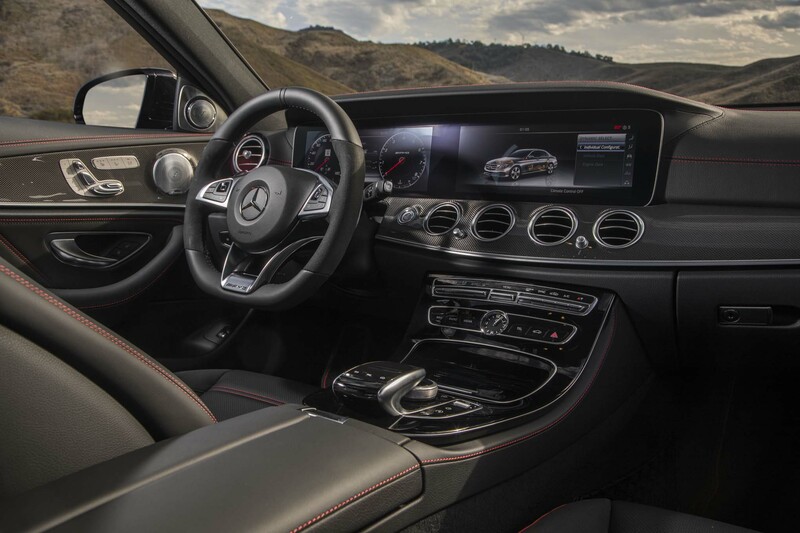 The plush interior is a significant step up from the previous E-Class, and promises to integrate a comprehensive array of infotainment features. 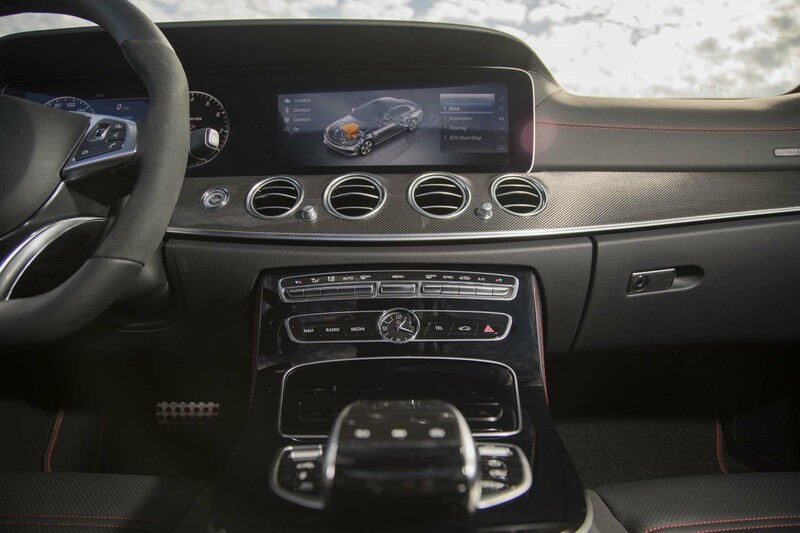 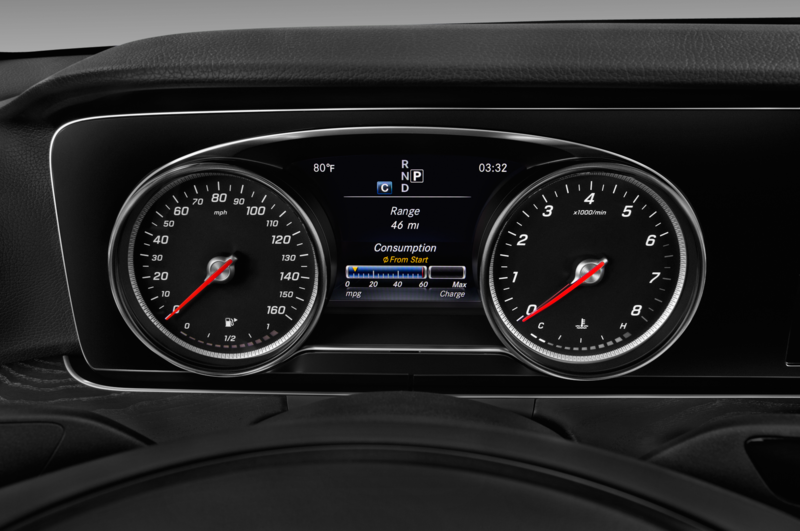 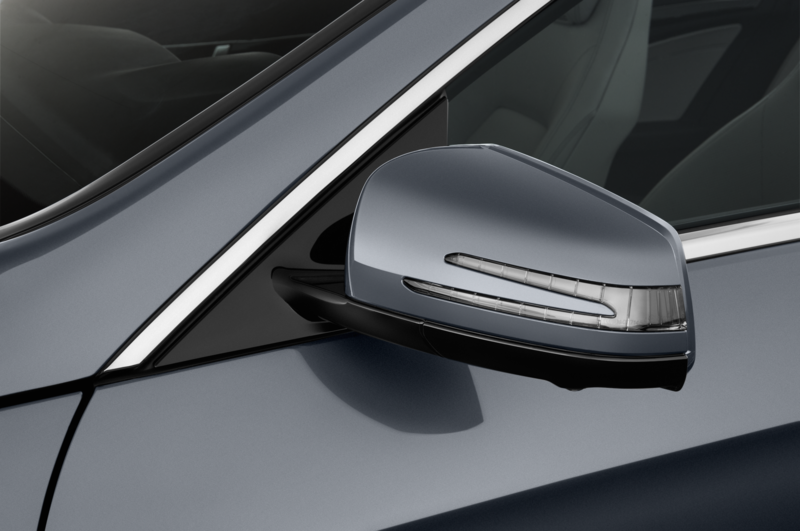 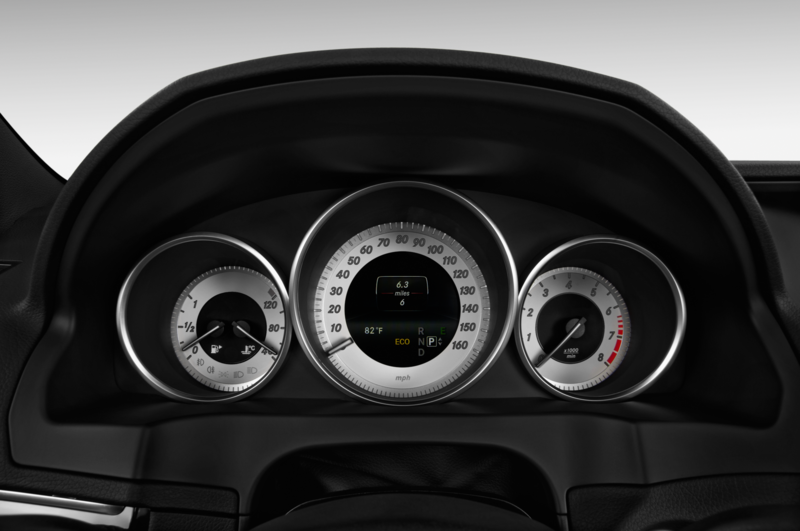 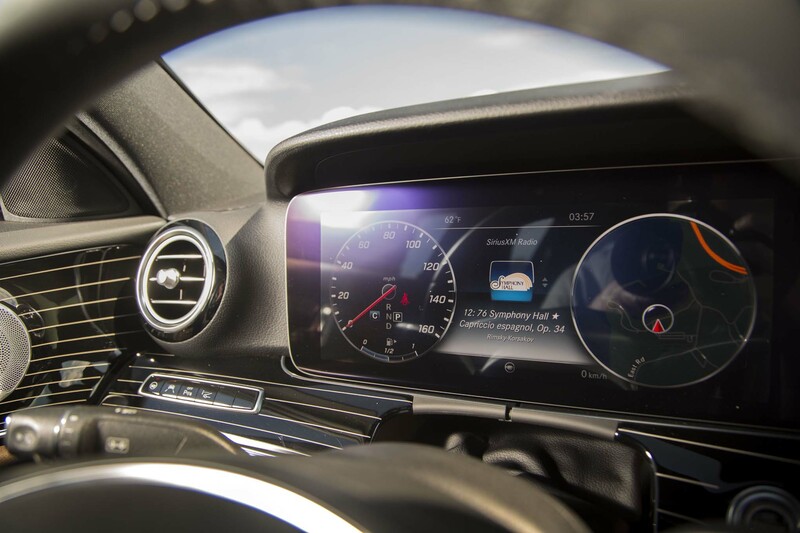 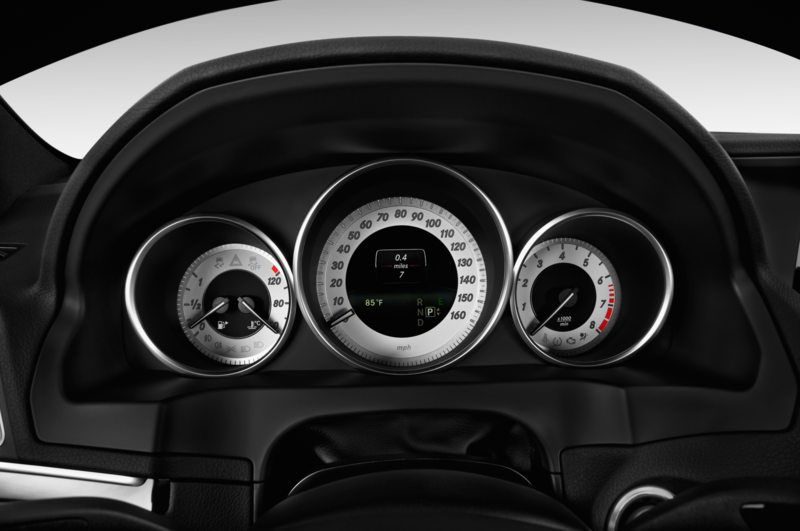 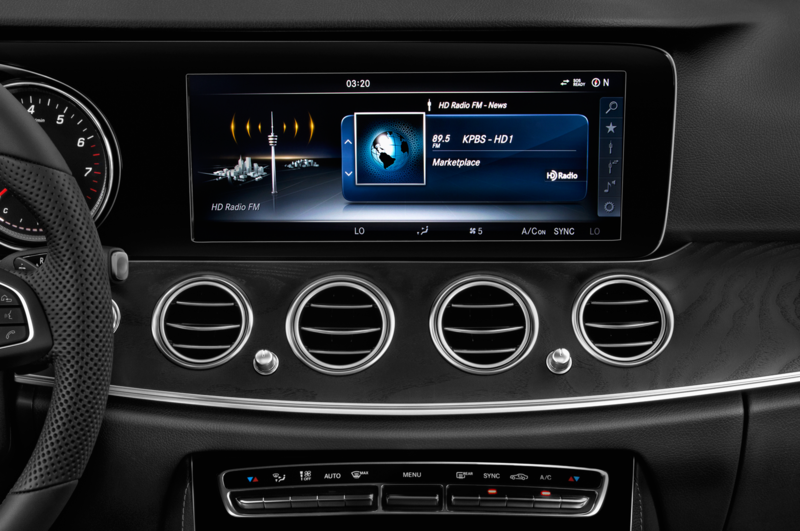 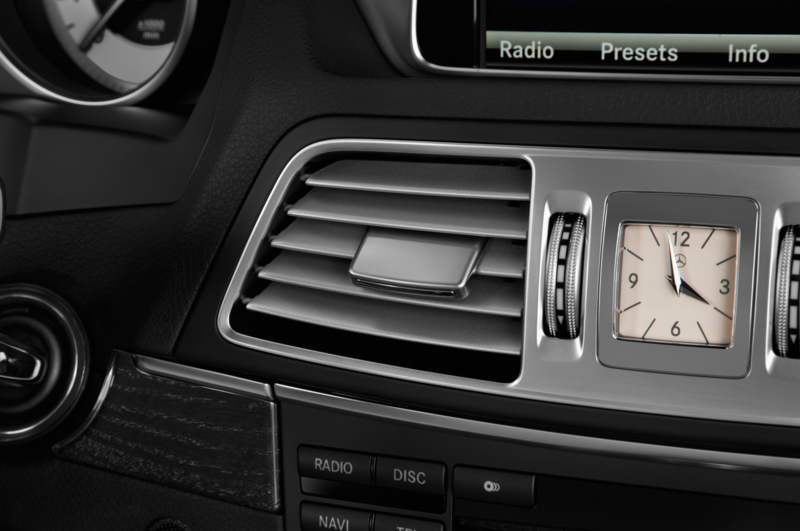 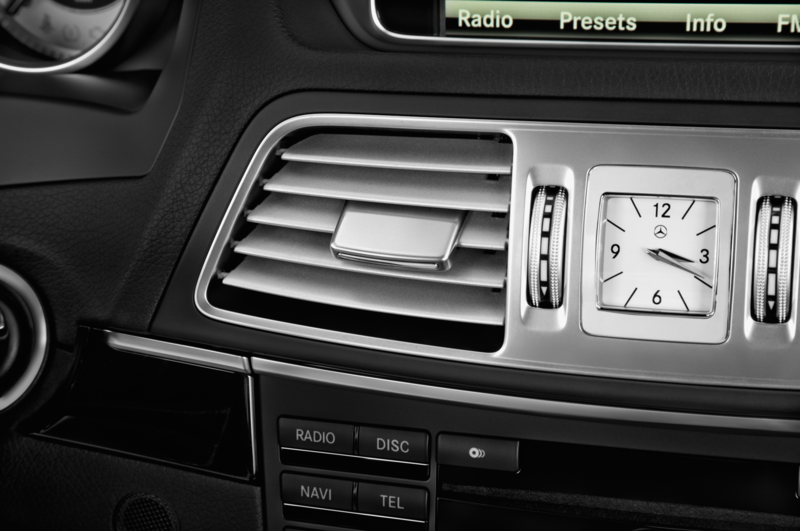 Two 12.3-inch widescreen displays, one in front of the driver and one atop the center stack, can show all sorts of different information provided by the latest generation of the Comand infotainment interface. 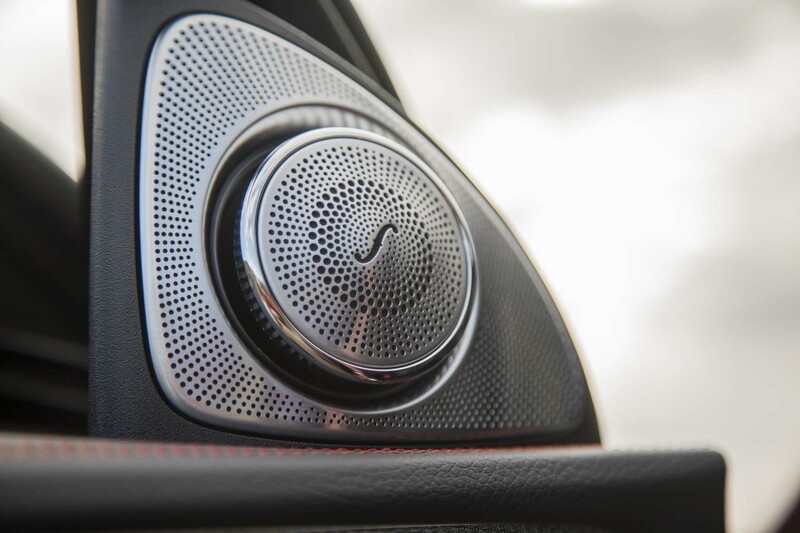 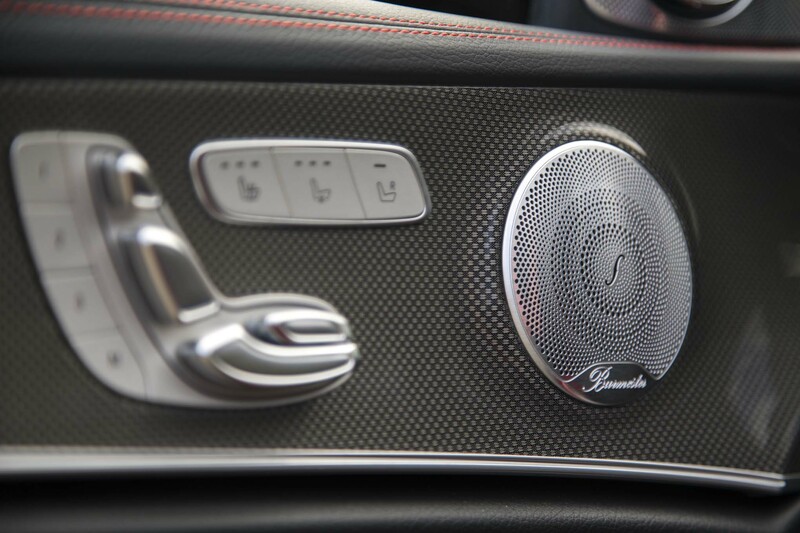 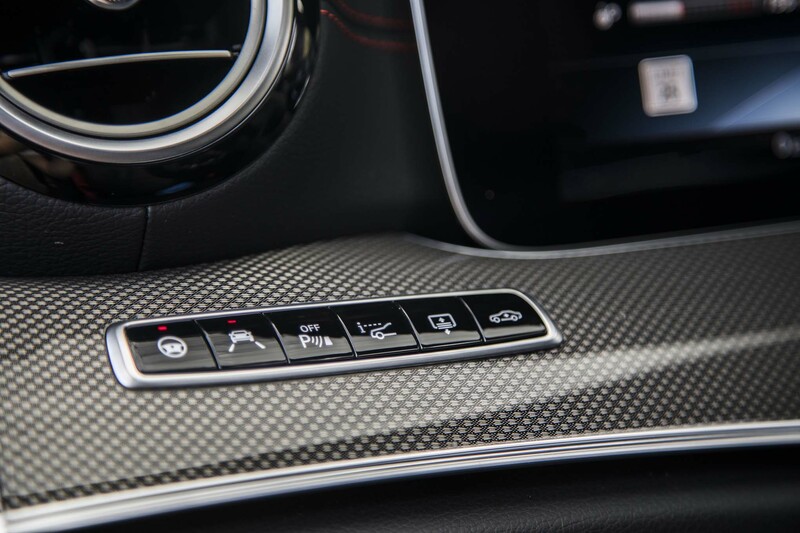 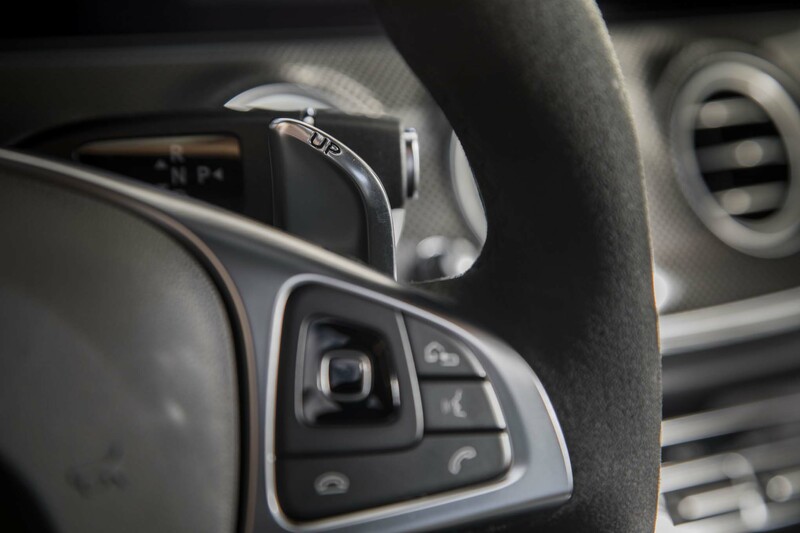 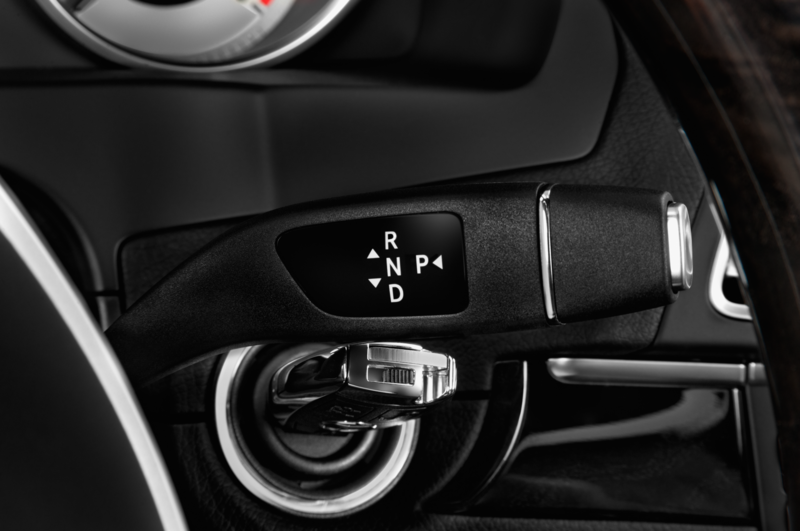 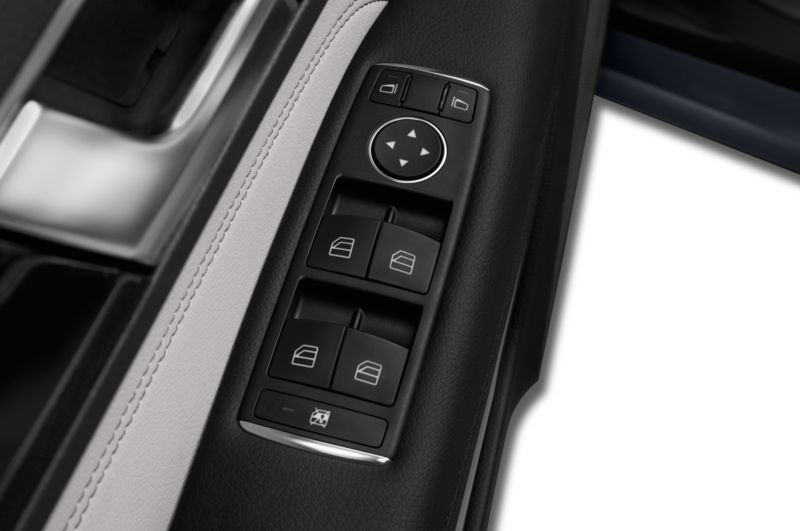 Along with the central control knob and voice commands, new touch-sensitive controls on the steering wheel respond to smartphone-like swipes to call up various menus. 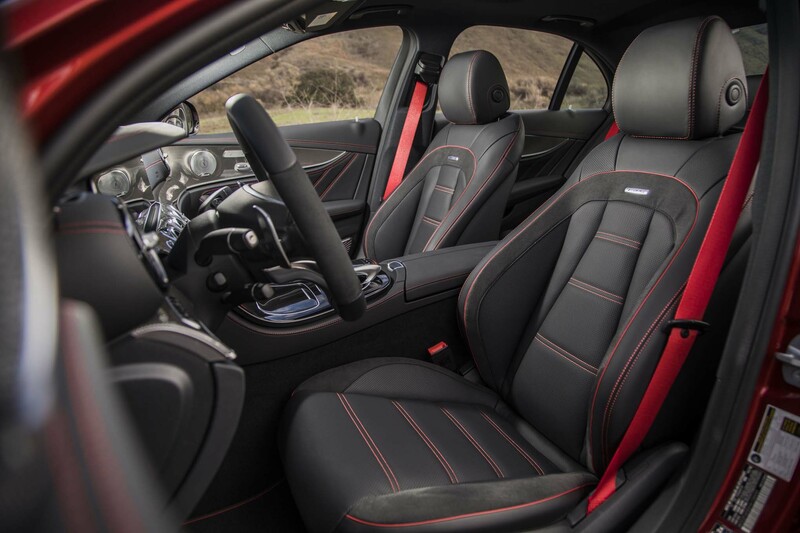 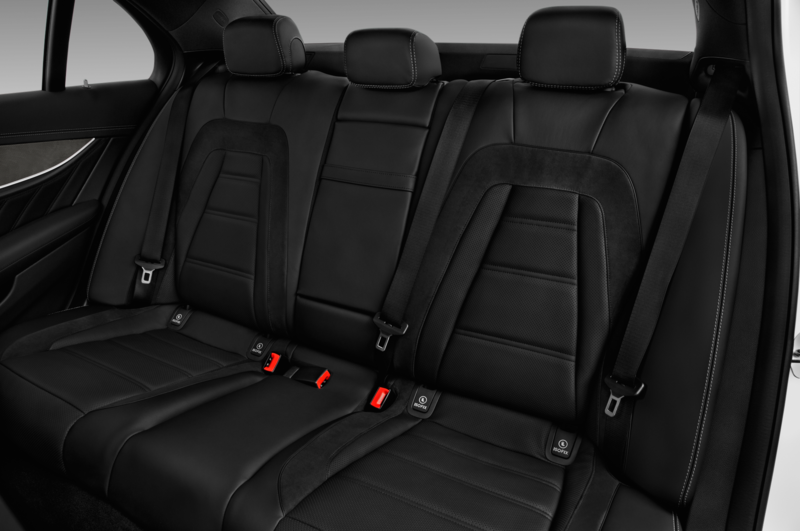 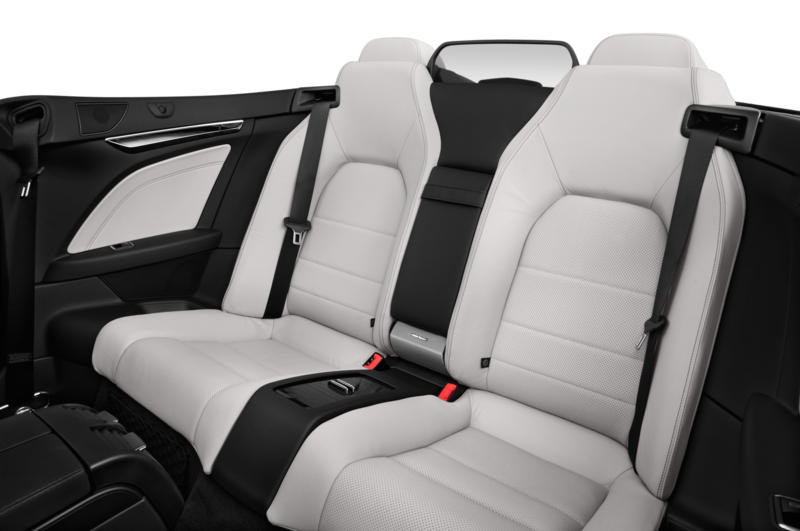 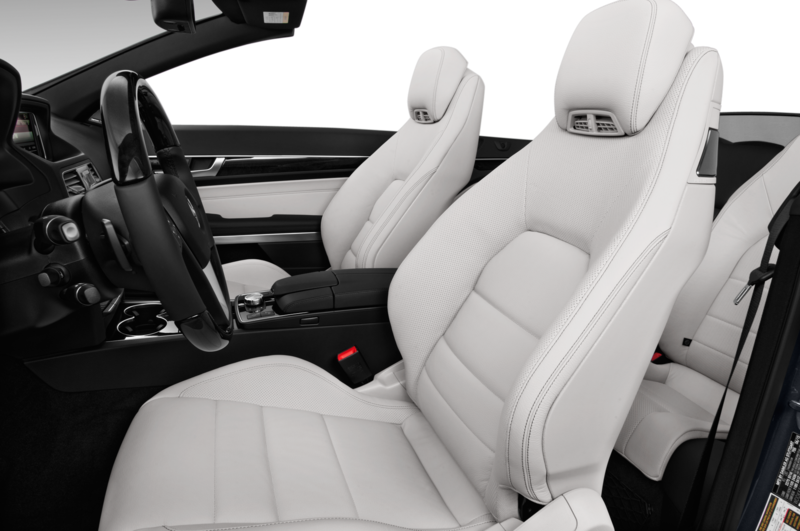 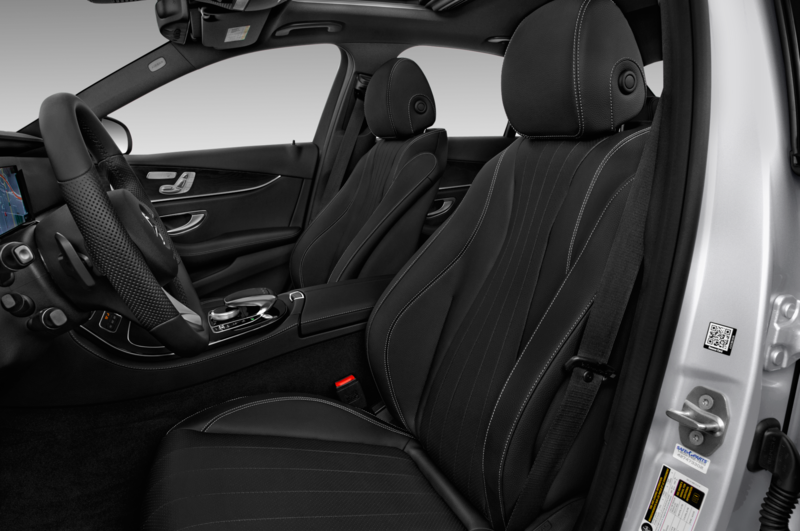 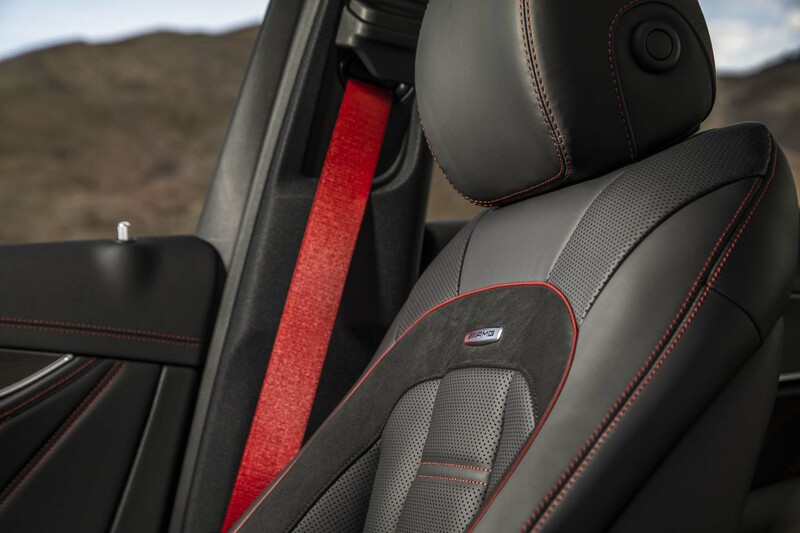 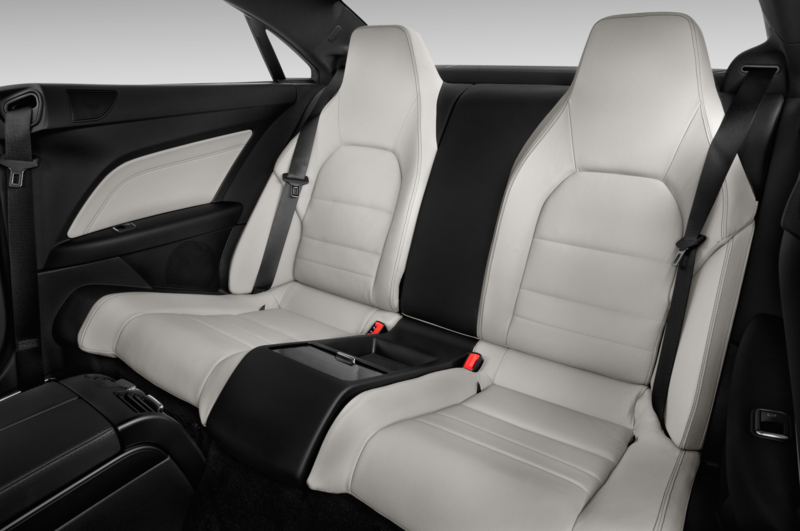 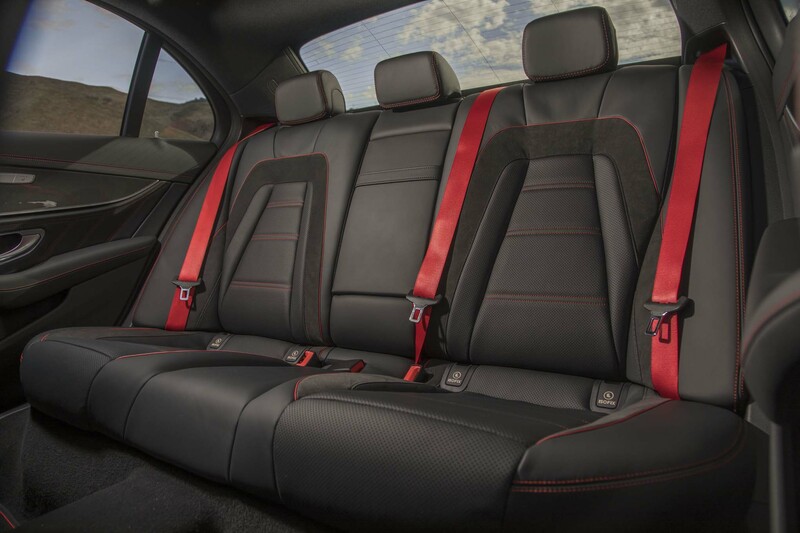 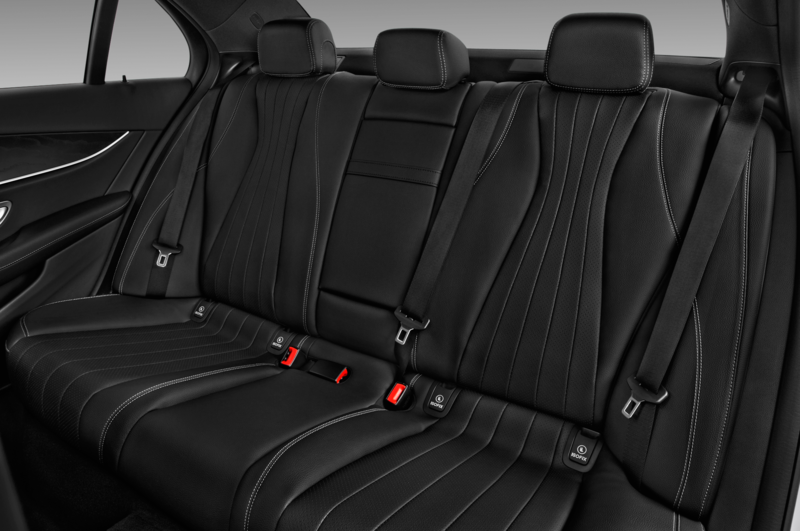 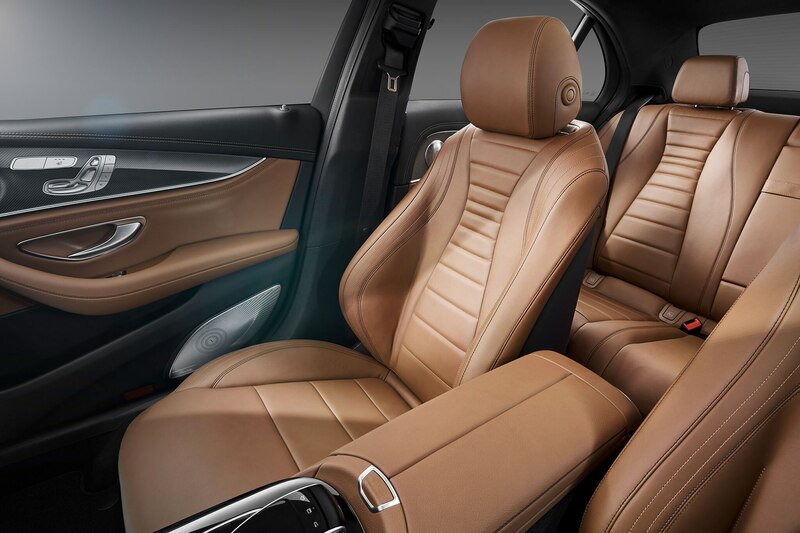 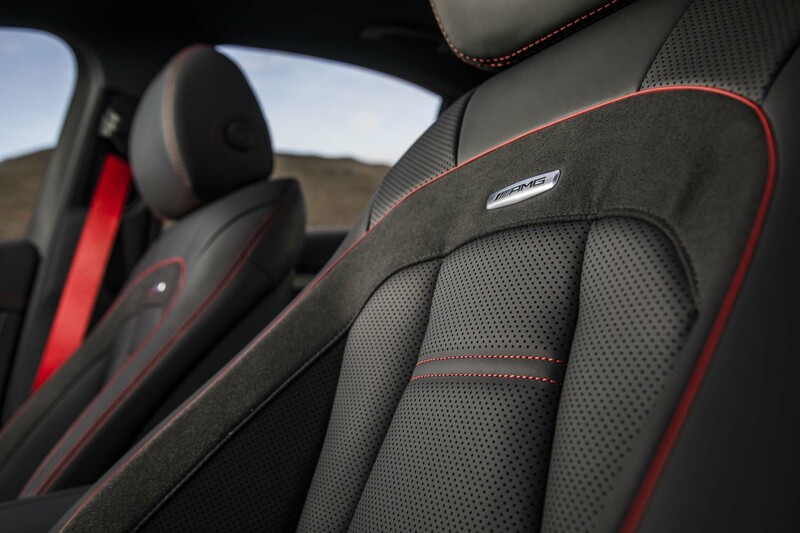 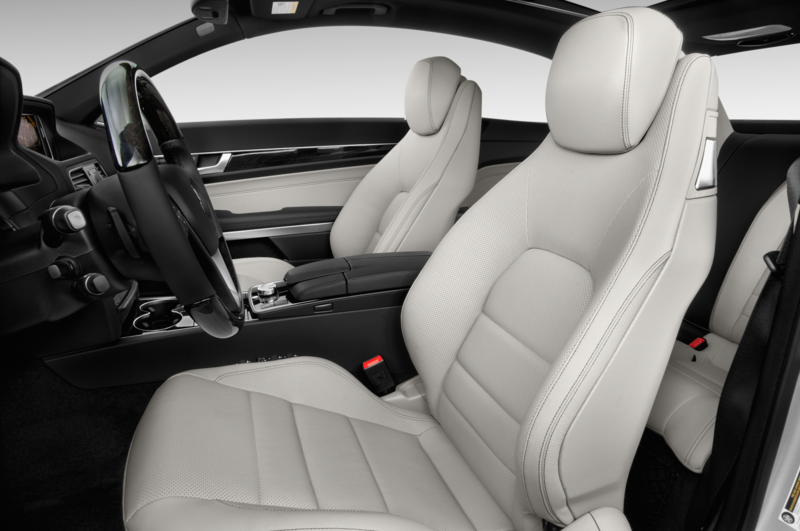 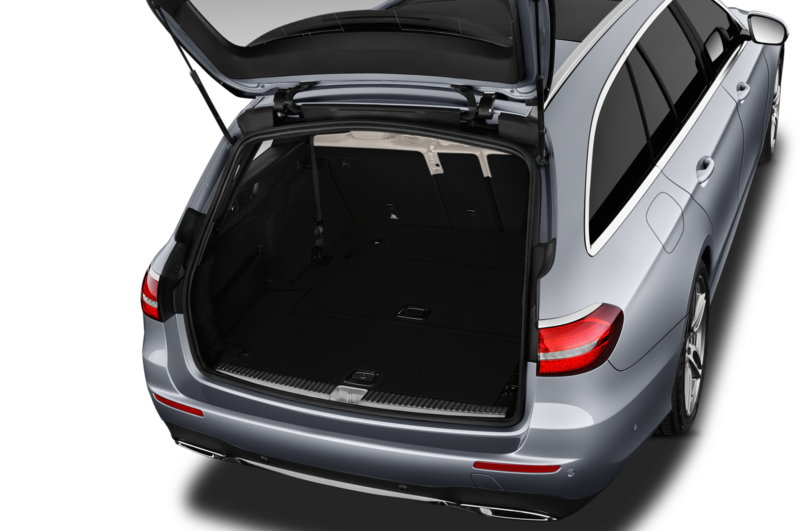 The expected high-end leather, aluminum, and wood trims will be offered, and a 2.6-inch wheelbase stretch should result in a more spacious rear seat. 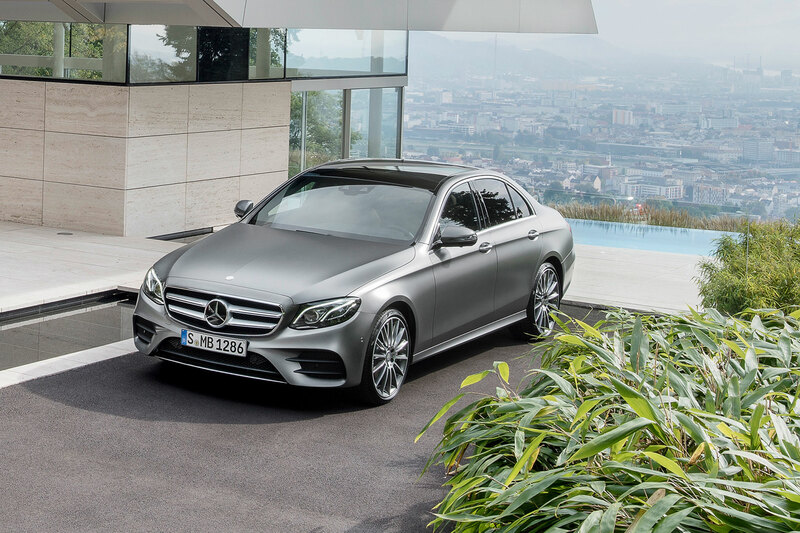 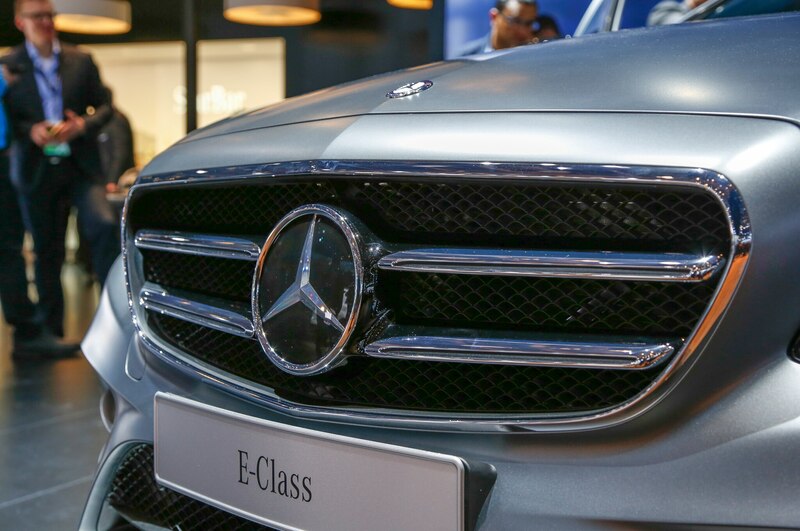 No longer content to sit in the shadow of the flagship S-Class, the new E-Class introduces plenty of new tech innovations of its own. 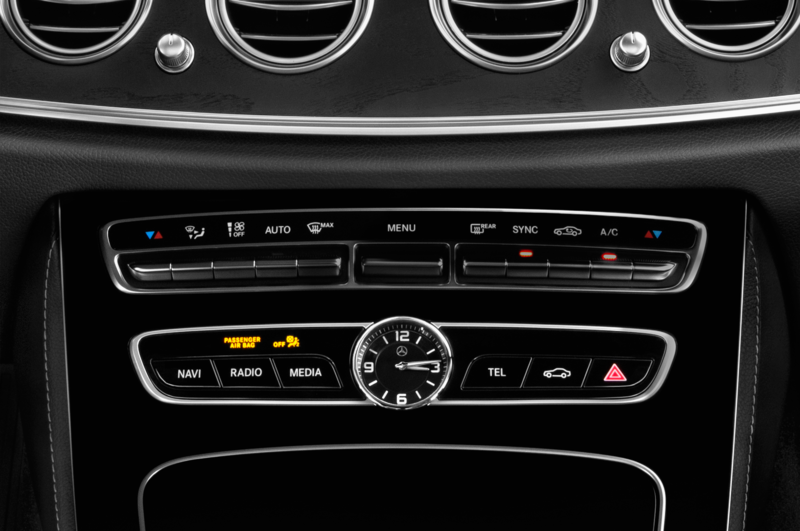 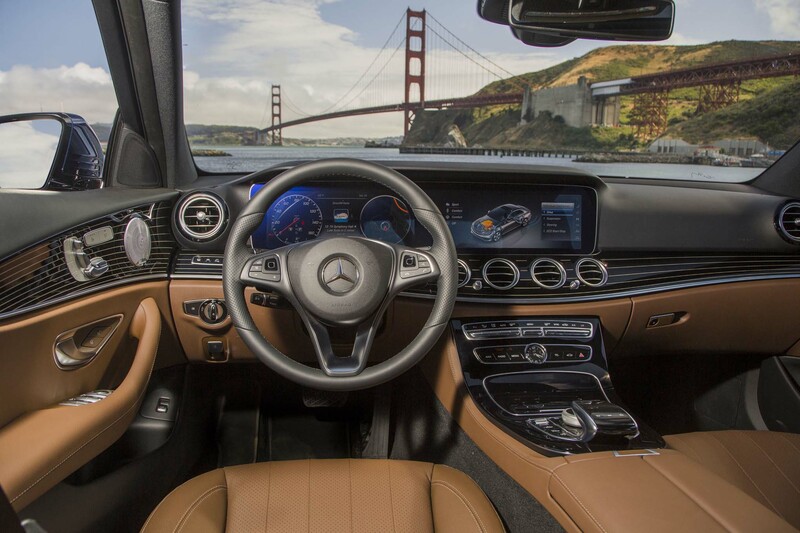 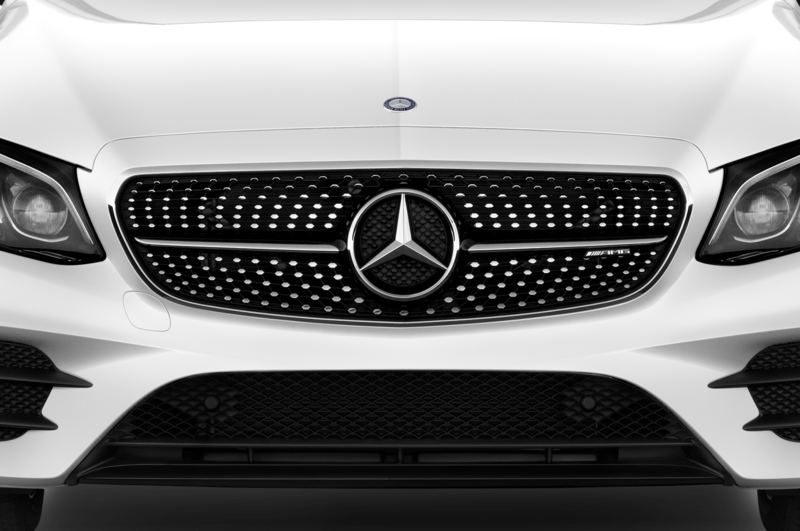 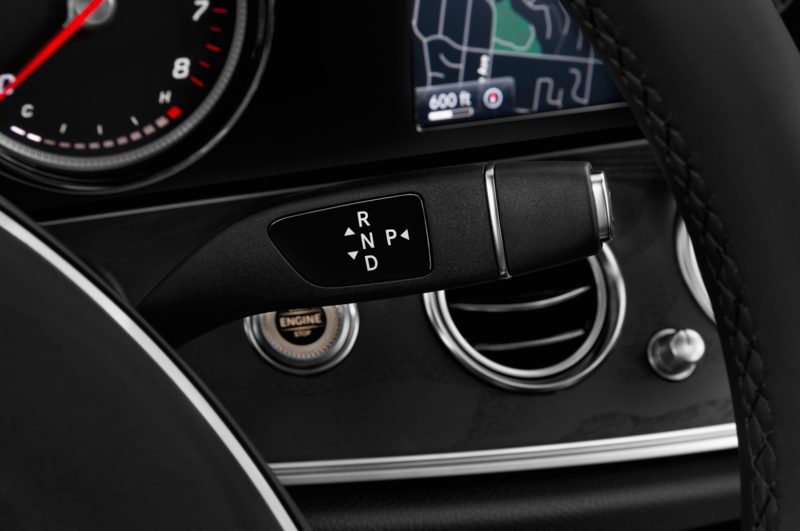 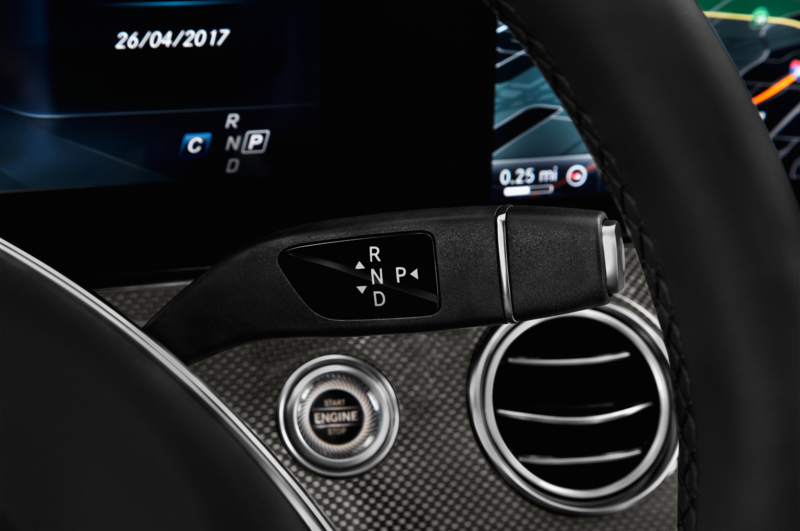 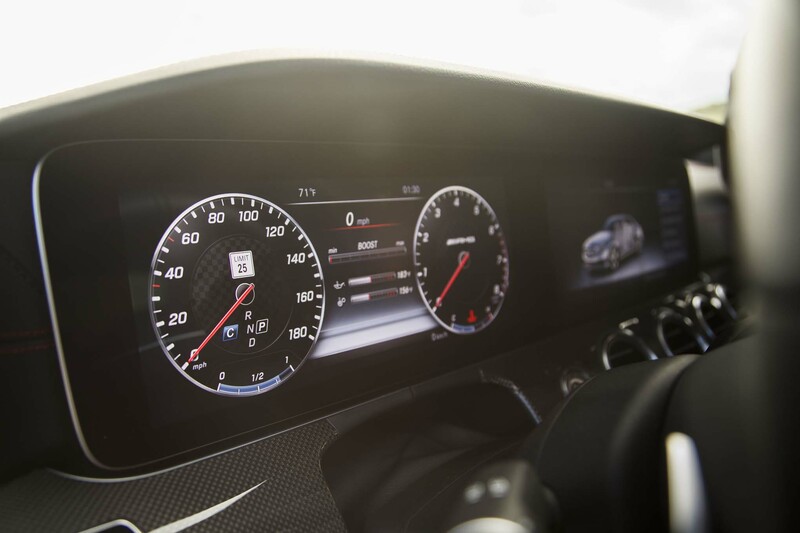 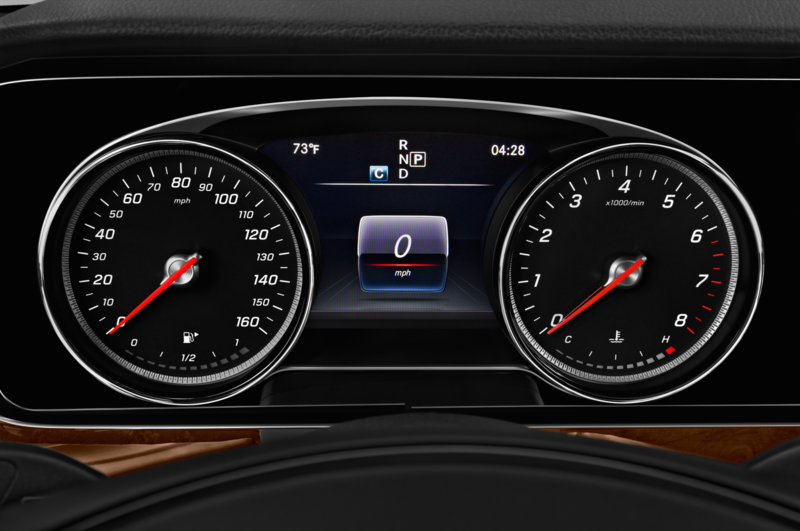 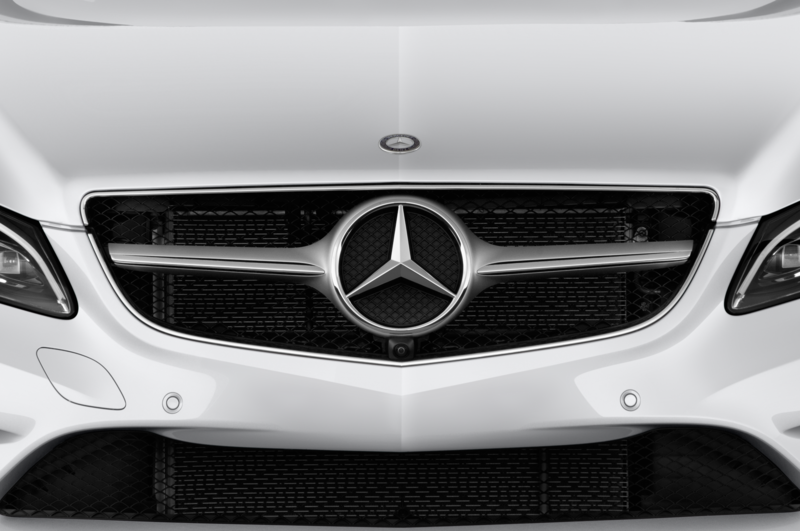 An available “Drive Pilot” suite of semi-autonomous driving features now includes active lane-change assist for overtaking maneuvers and a “follow” function that locks onto a vehicle in front and autonomously controls the accelerator, brakes, and steering of the E-Class to maintain a set distance at speeds up to 130 mph. 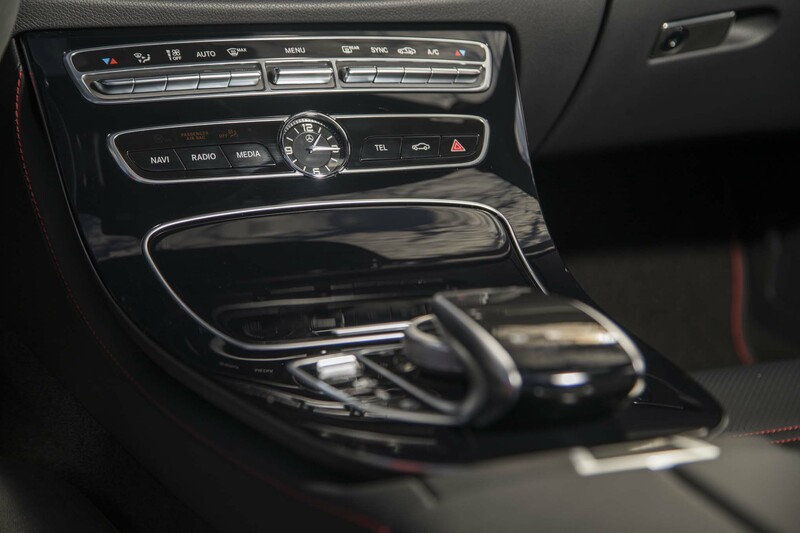 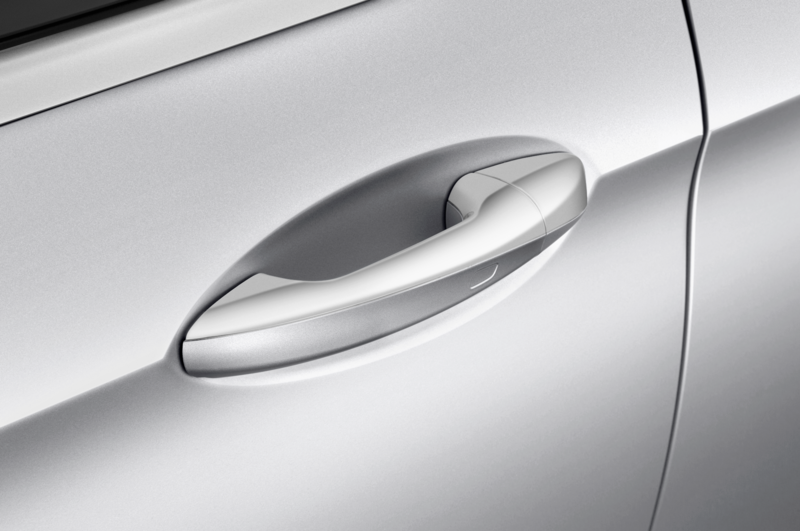 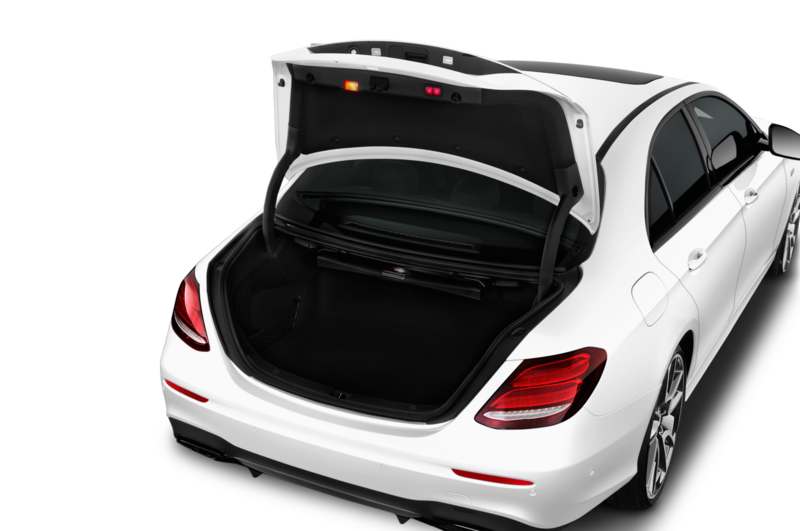 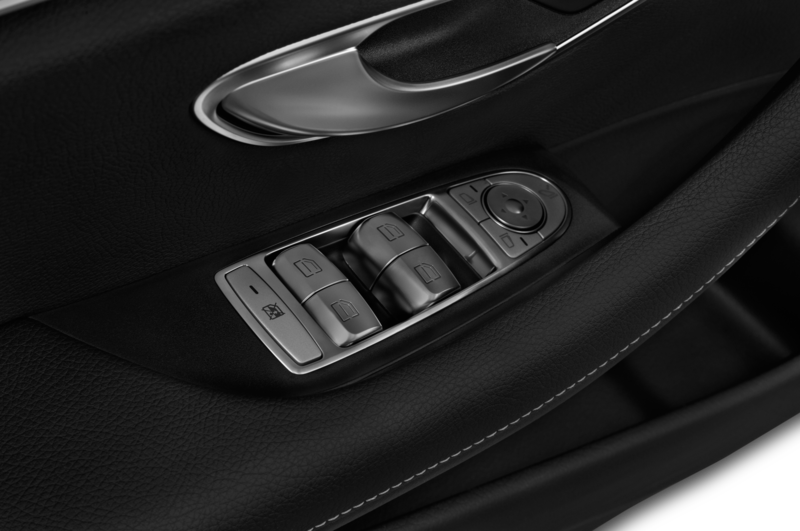 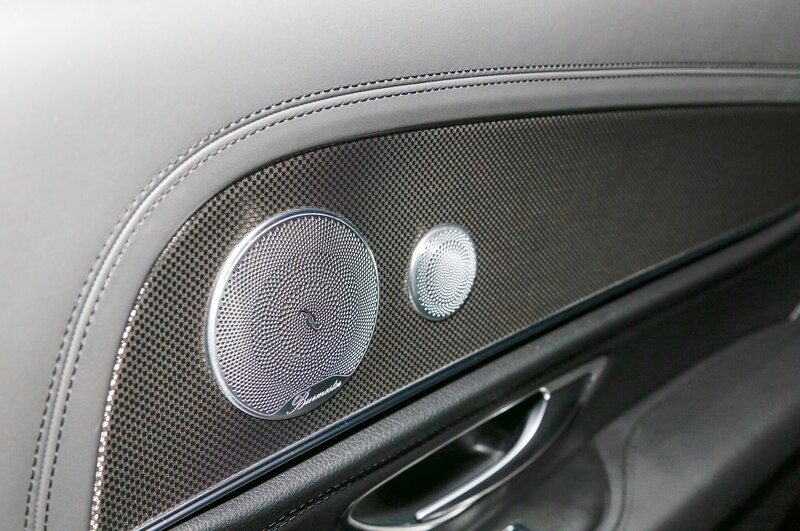 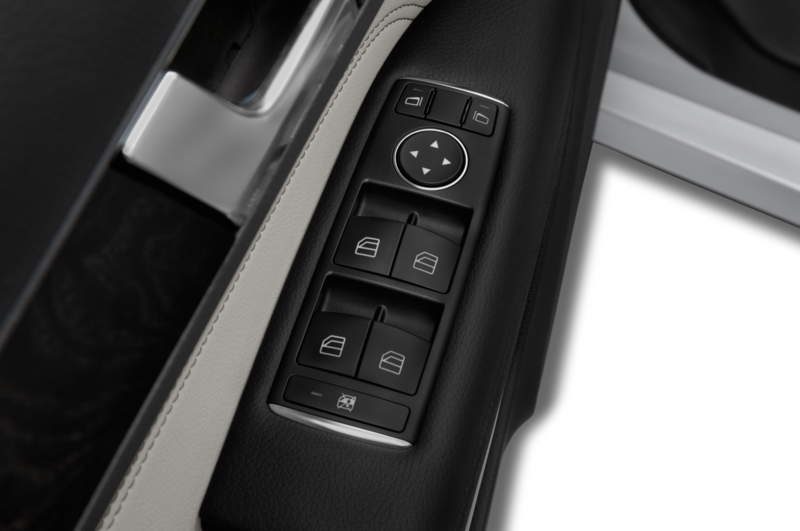 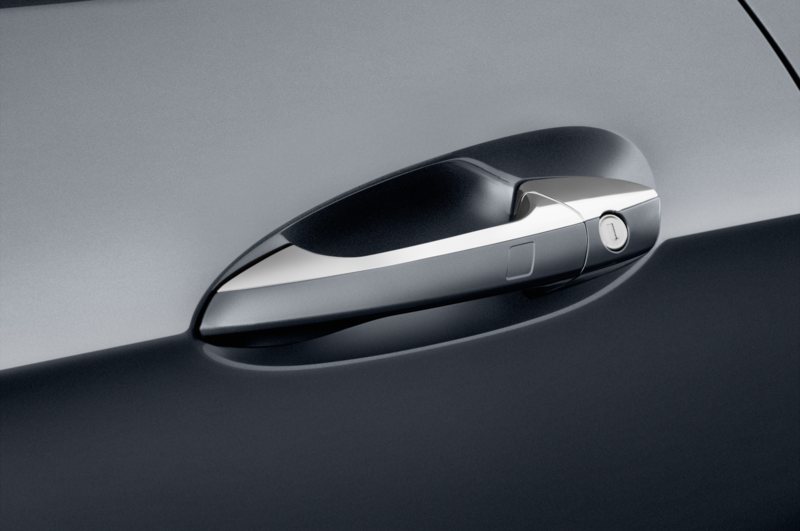 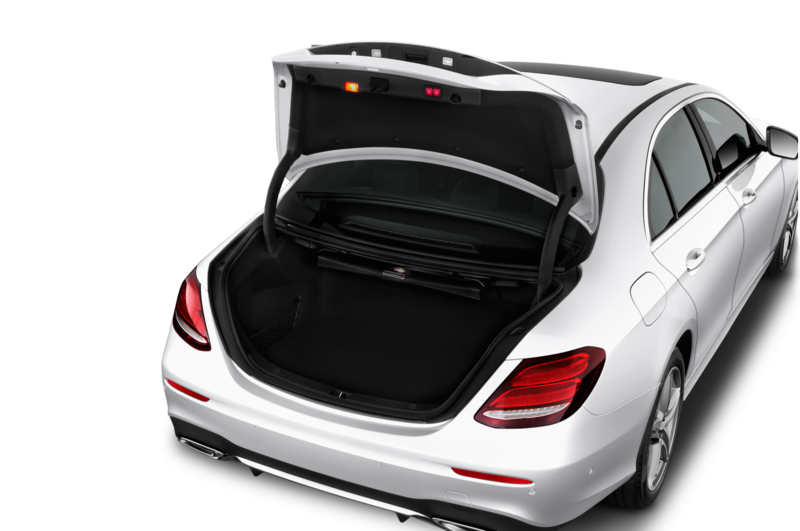 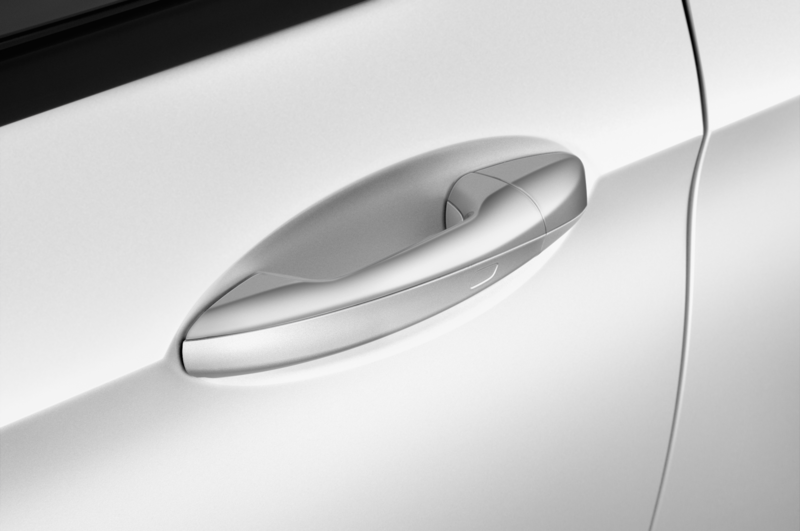 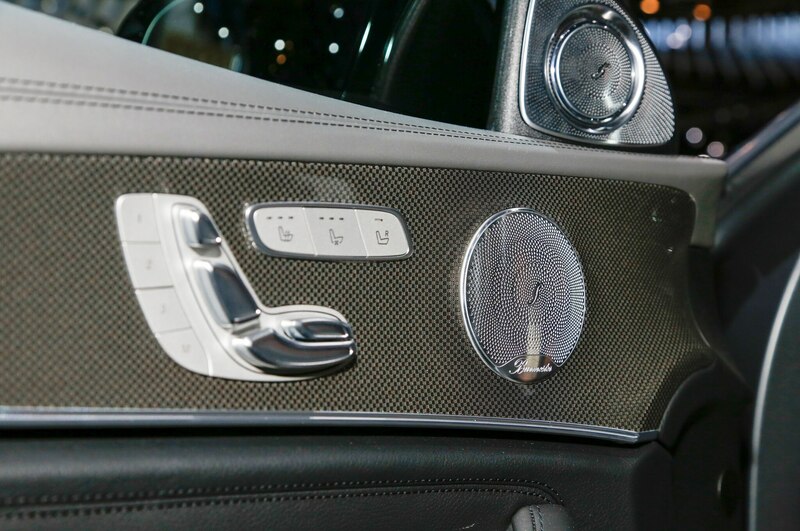 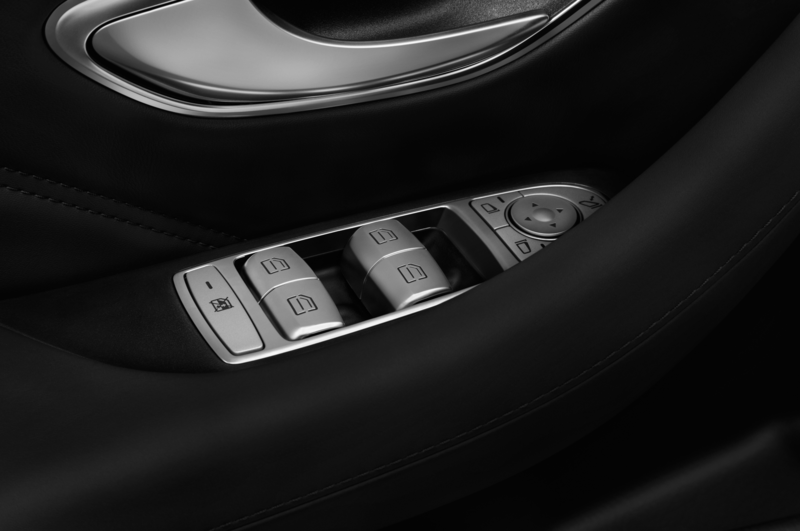 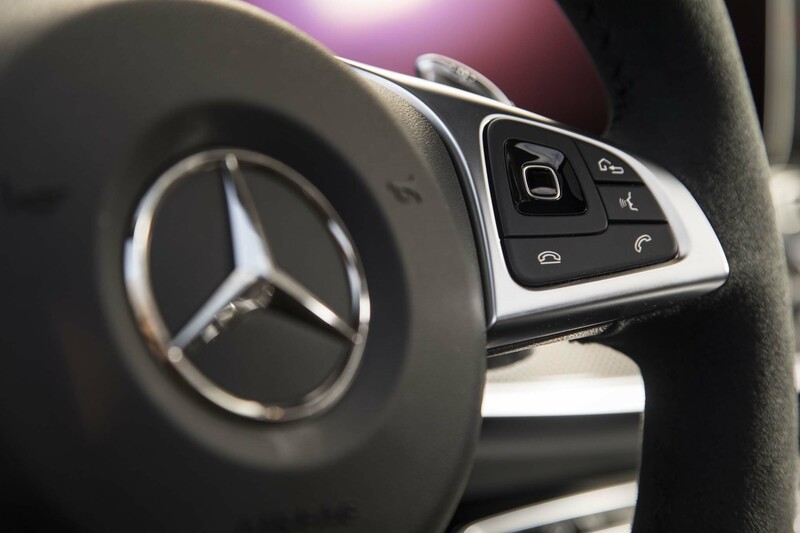 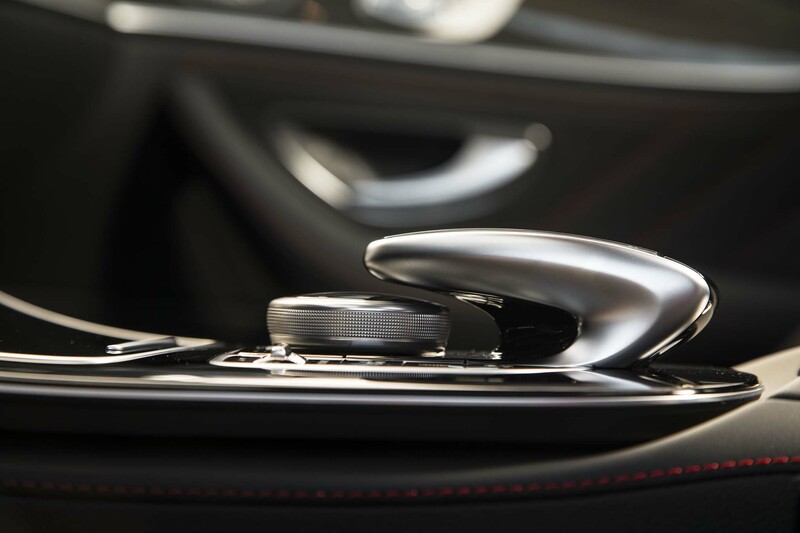 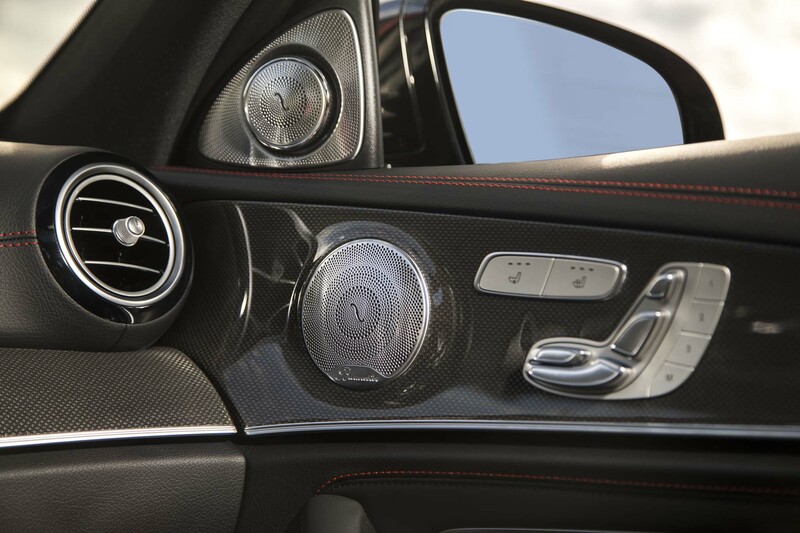 A remote parking system is enabled through a smartphone, allowing drivers to exit the E-Class and then remote move the car into a garage or a tight parking space, and this smartphone integration will also allow drivers to use a smartphone as a proximity key. 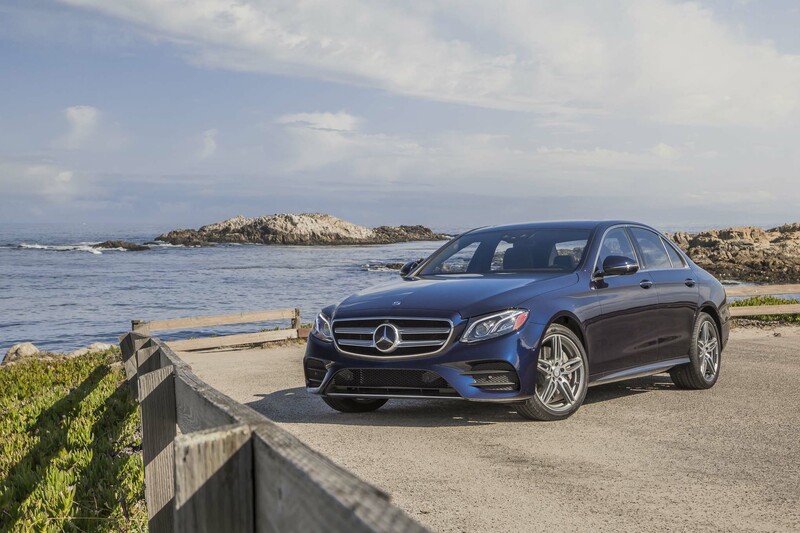 Expect to hear plenty more details about the 2017 Mercedes-Benz E-Class, including pricing figures and information on its barrage of new tech, closer to the car’s launch this summer.